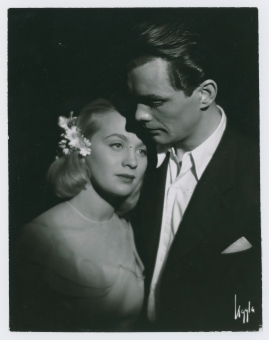 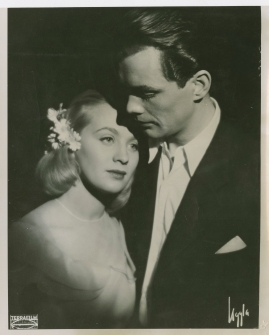 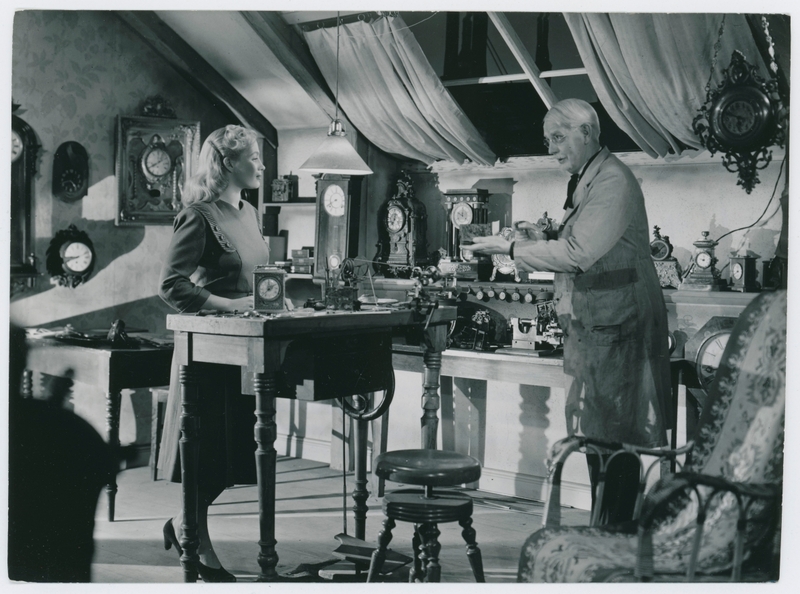 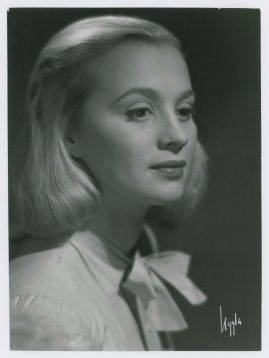 With her 1964 feature debut Loving Couples (Älskande par), Mai Zetterling established herself as an individualist and iconoclast who had more in common with filmmakers such as Luis Buñuel, Alf Sjöberg and Ingmar Bergman than with the political realists of the 1960s and 1970s. 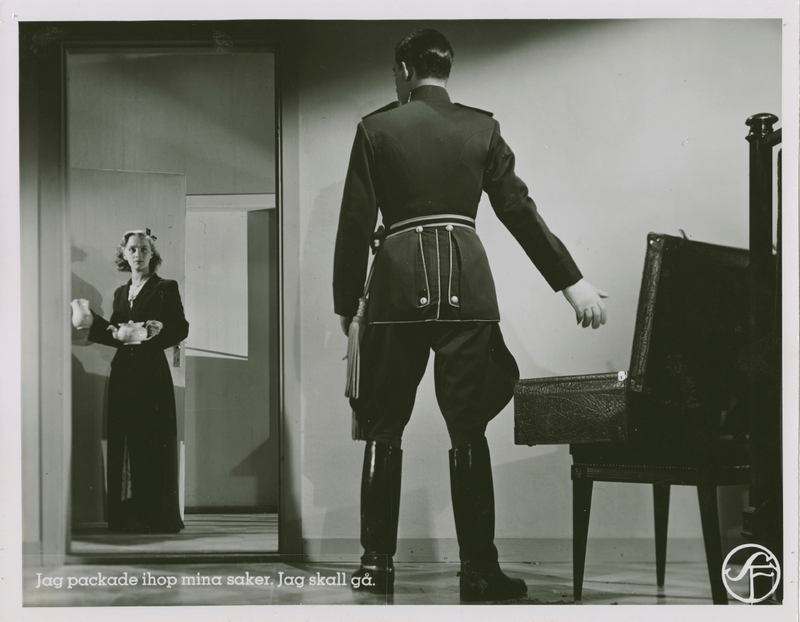 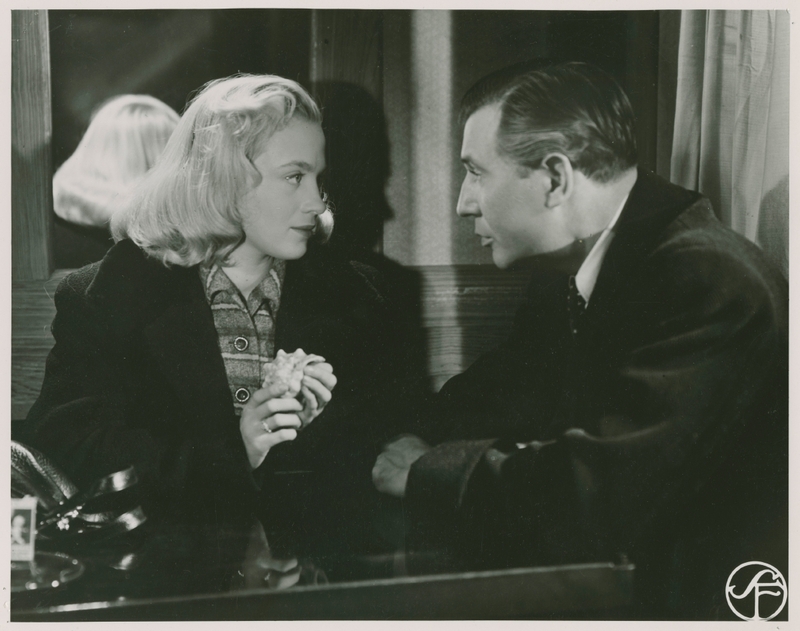 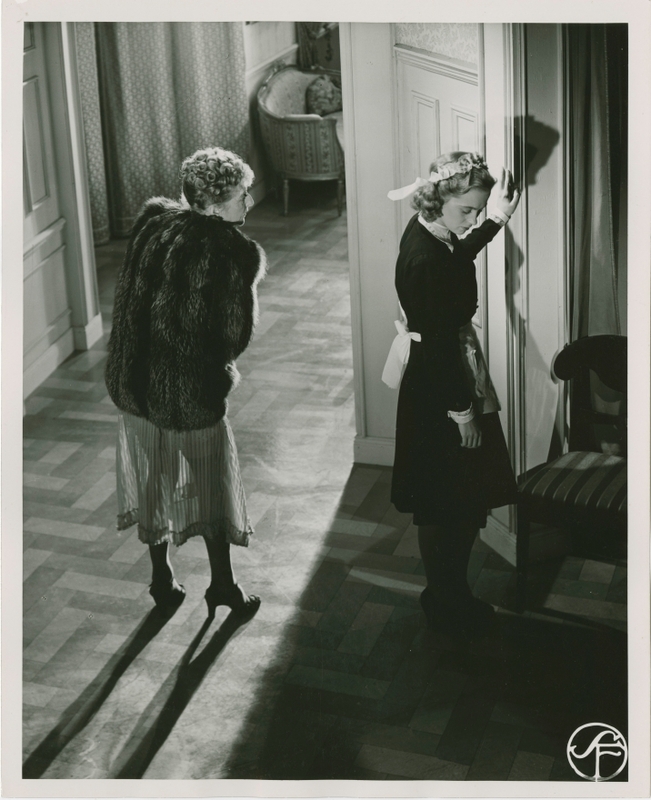 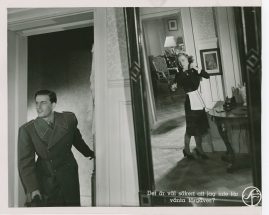 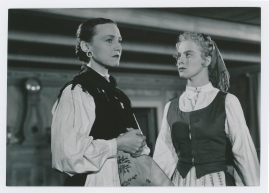 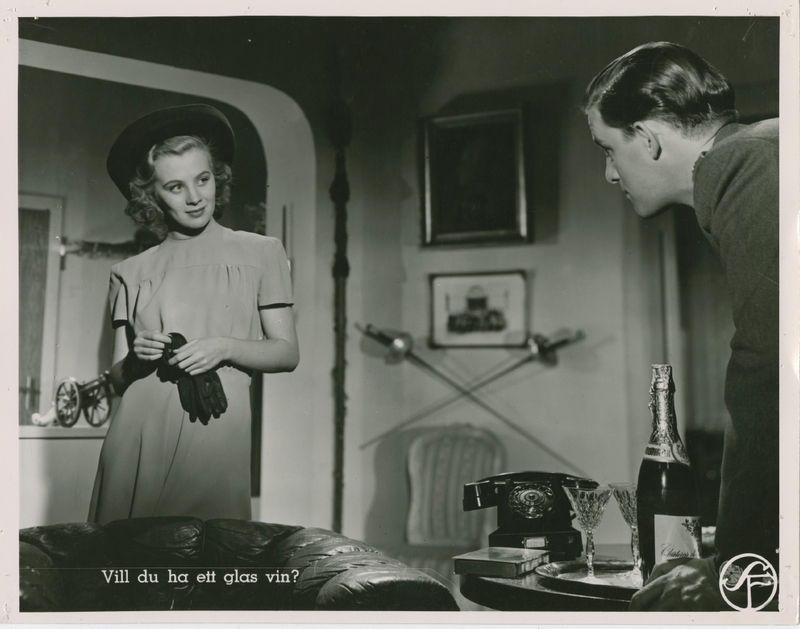 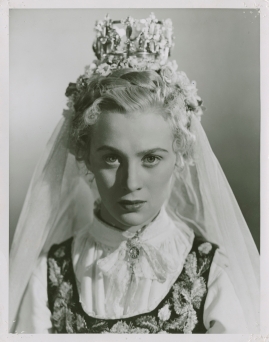 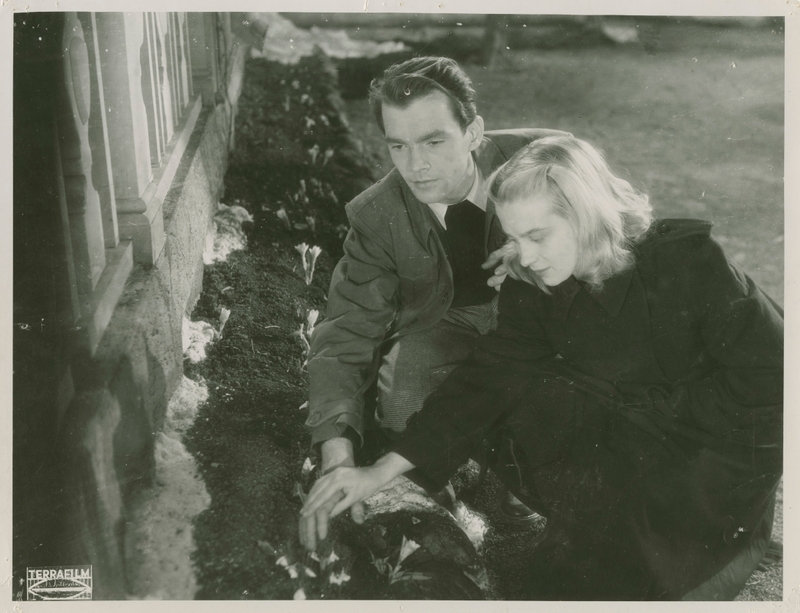 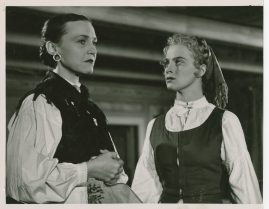 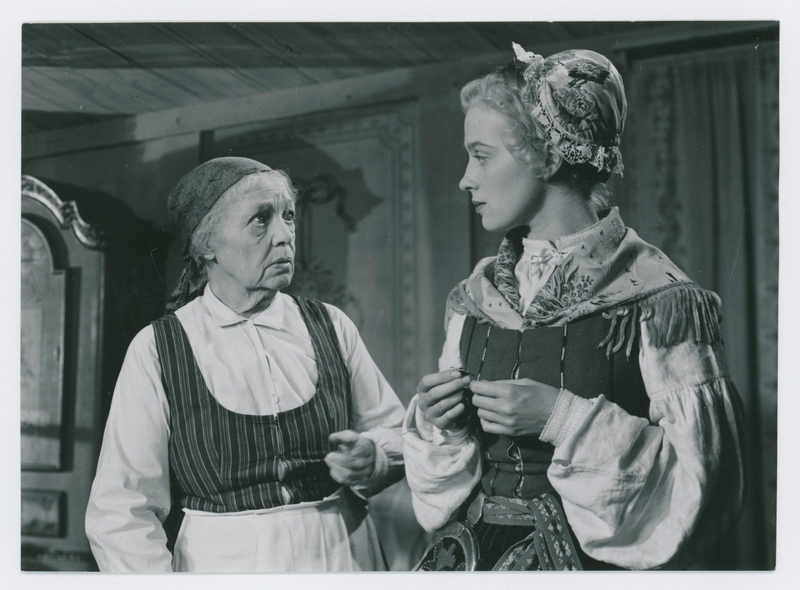 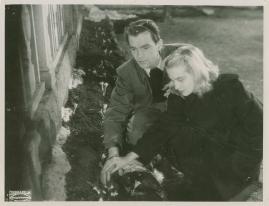 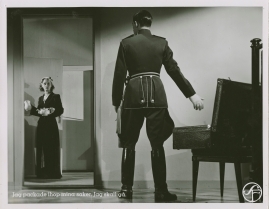 It was in Sjöberg's Torment (Hets, 1944; US title: Frenzy) with its screenplay by Bergman, that Zetterling achieved her acting breakthrough. 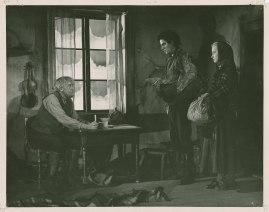 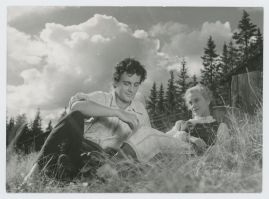 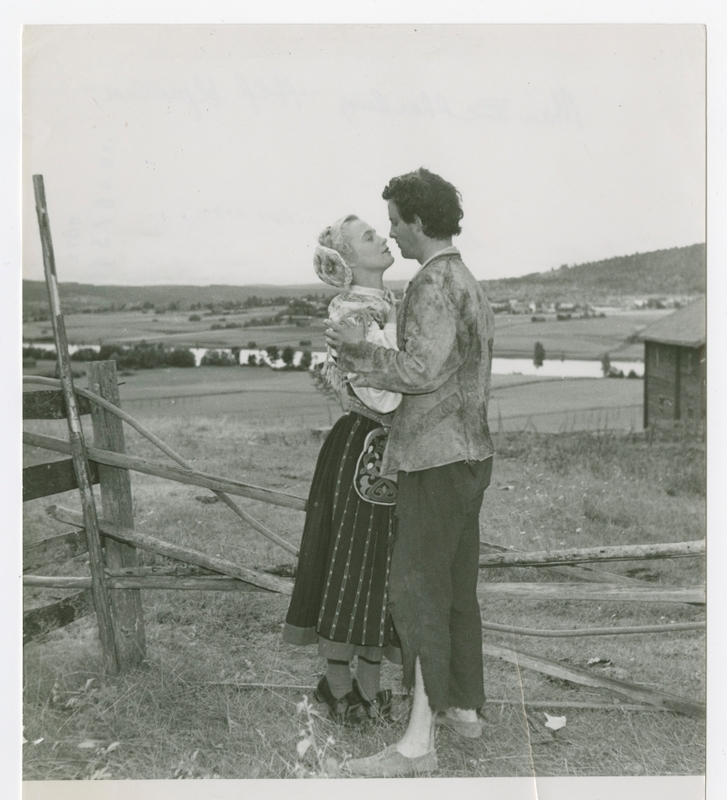 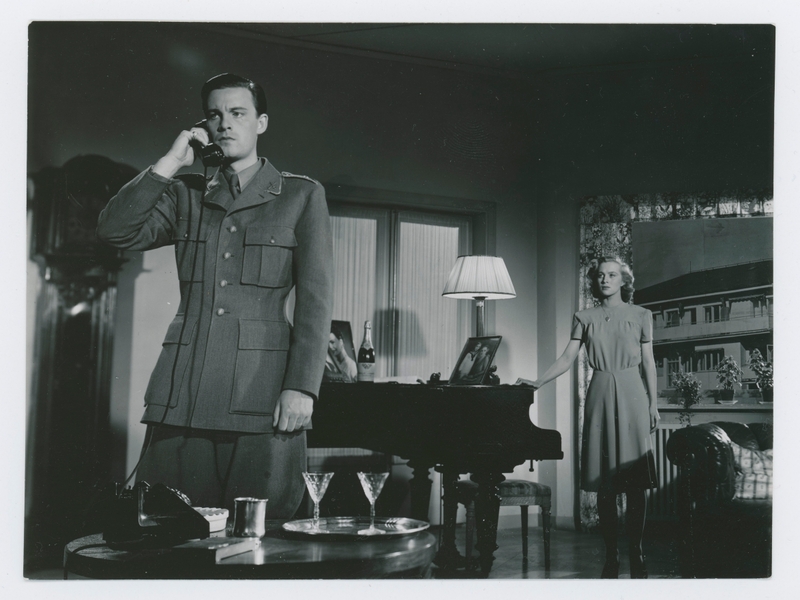 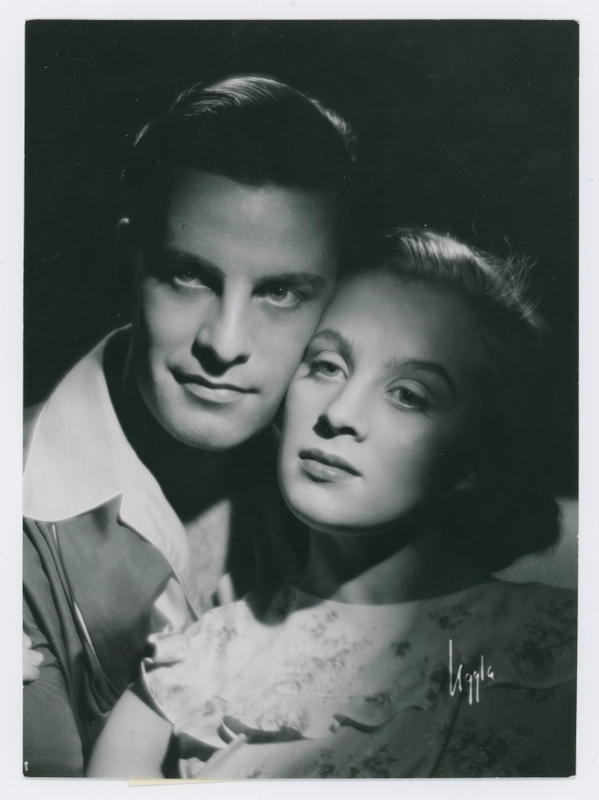 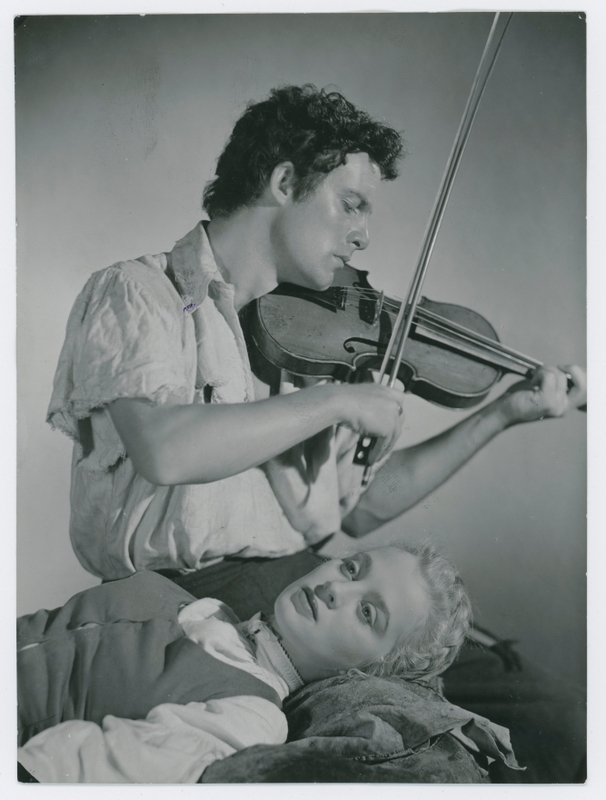 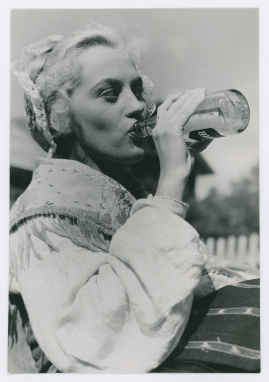 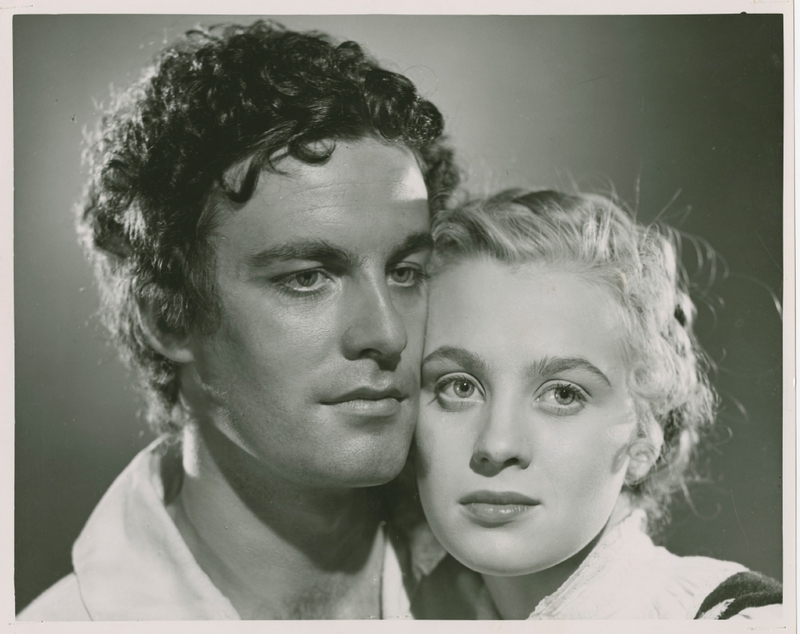 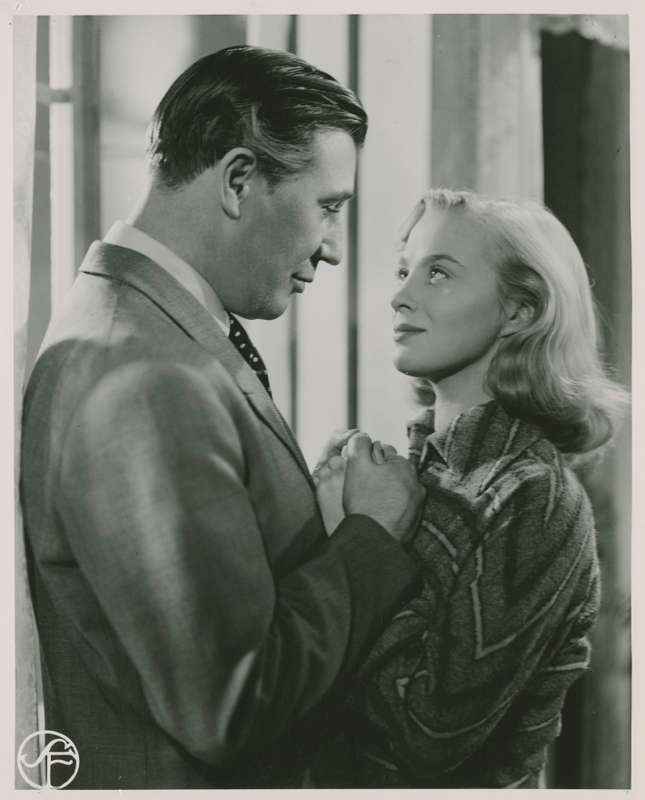 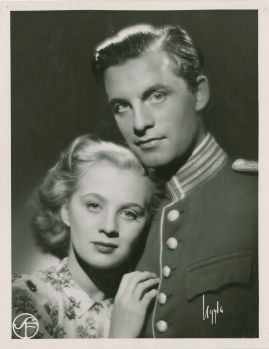 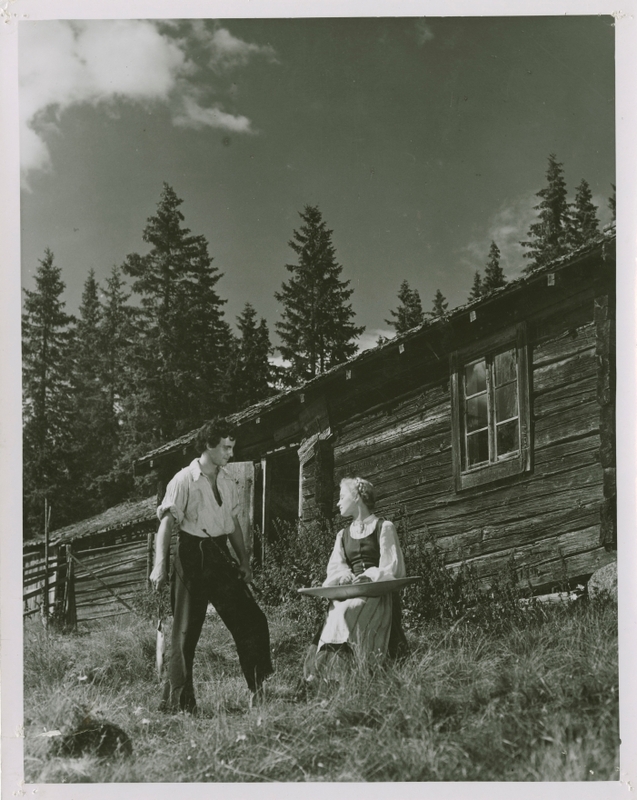 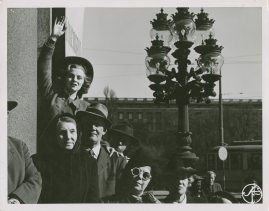 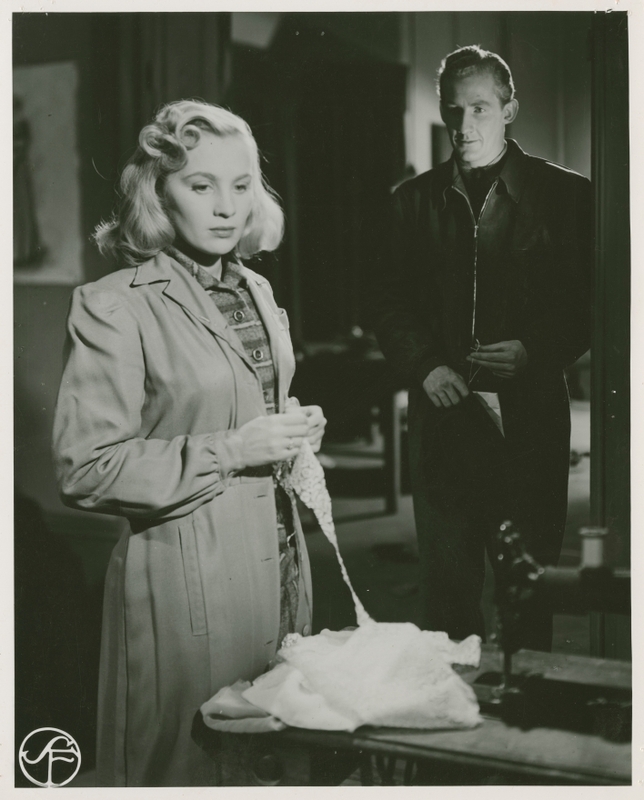 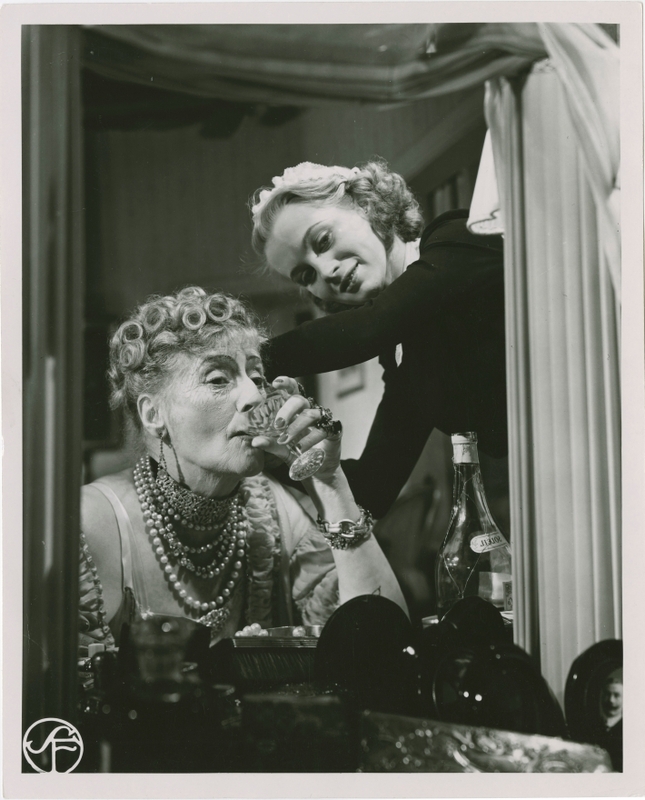 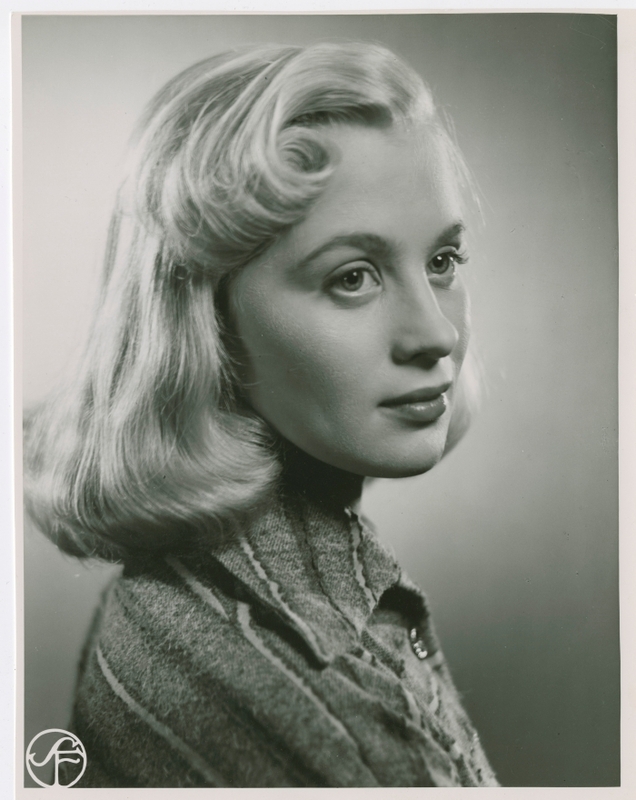 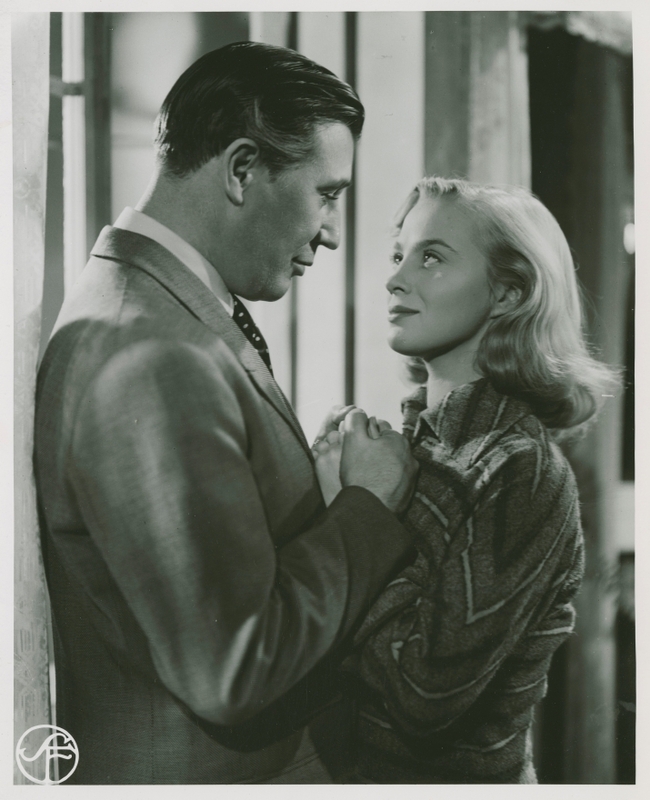 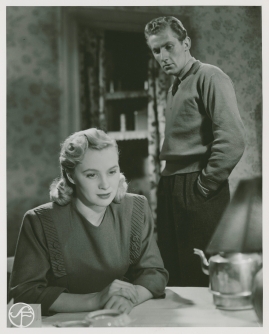 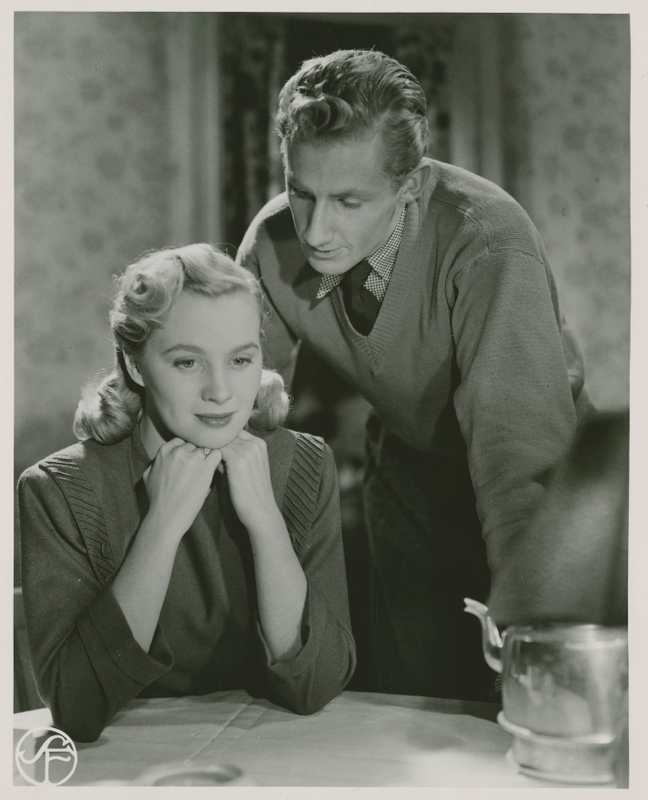 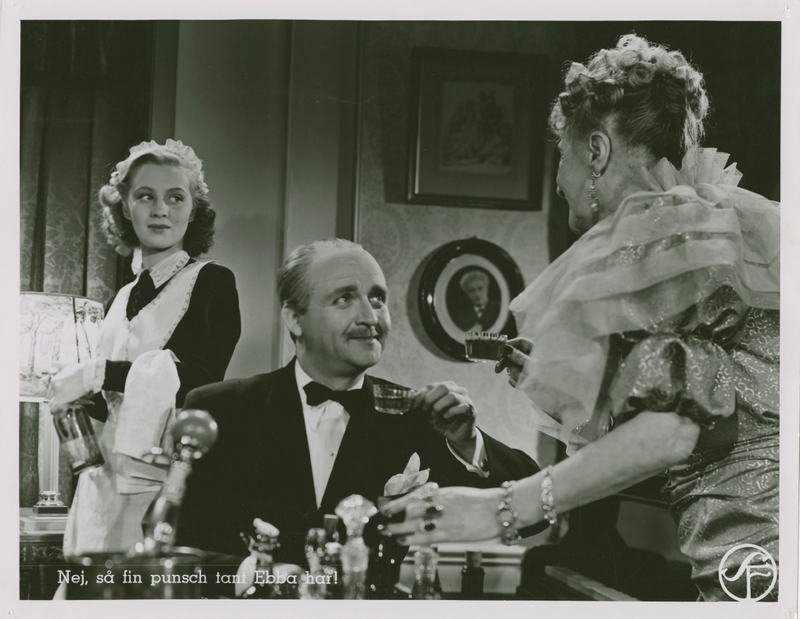 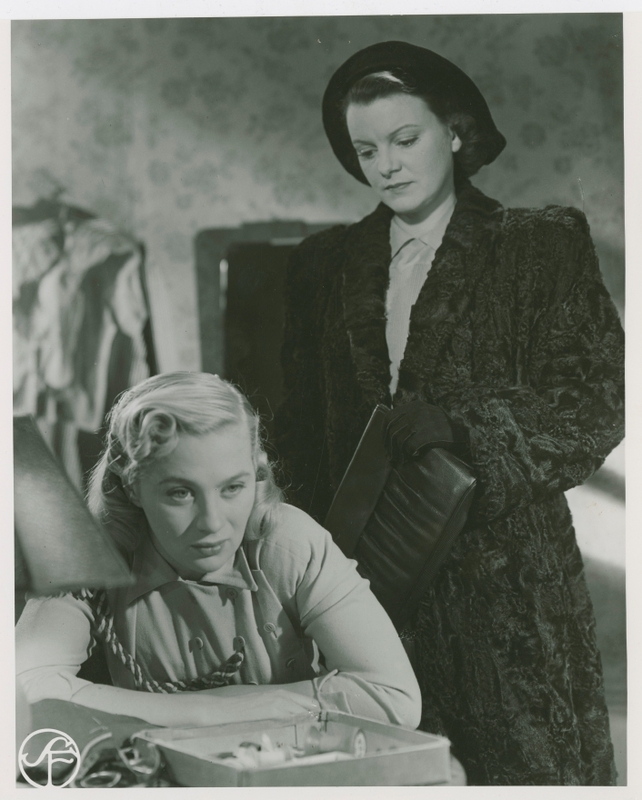 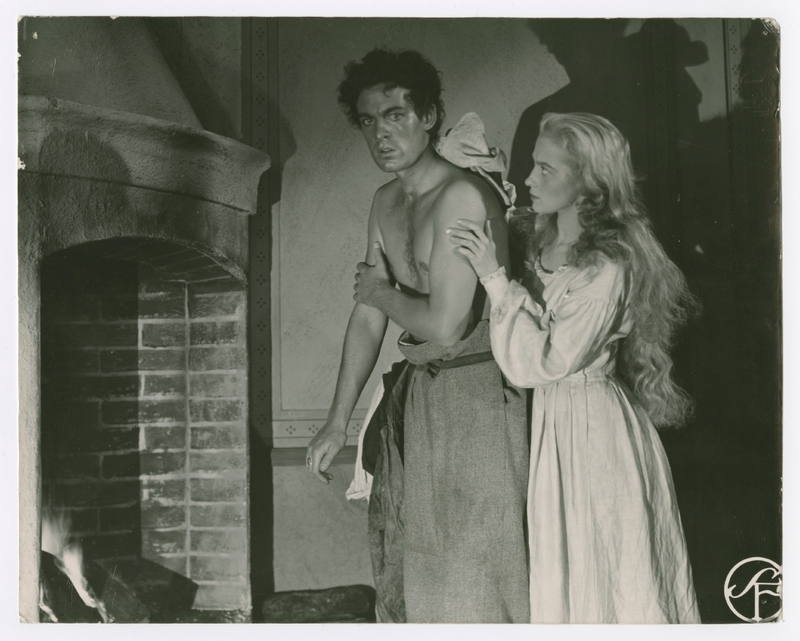 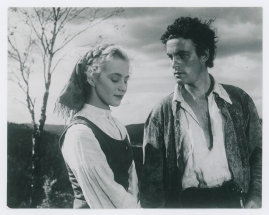 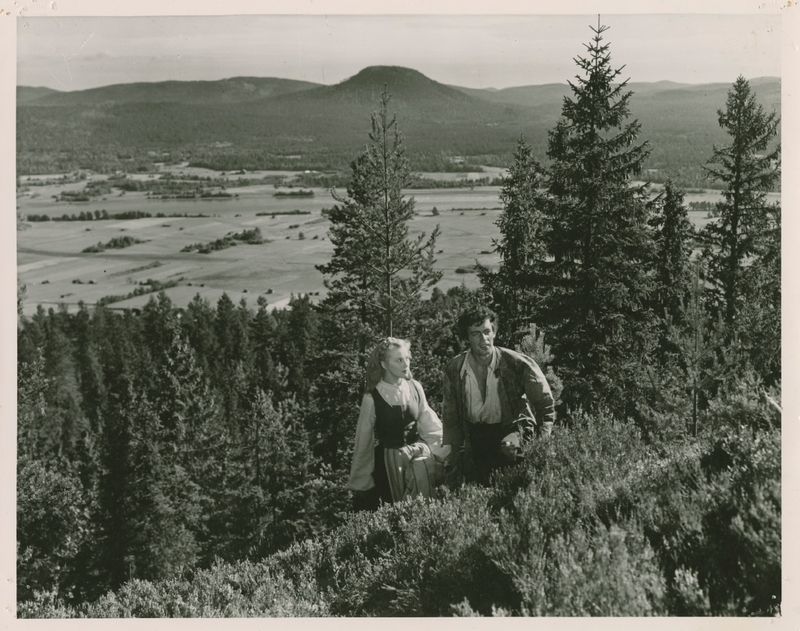 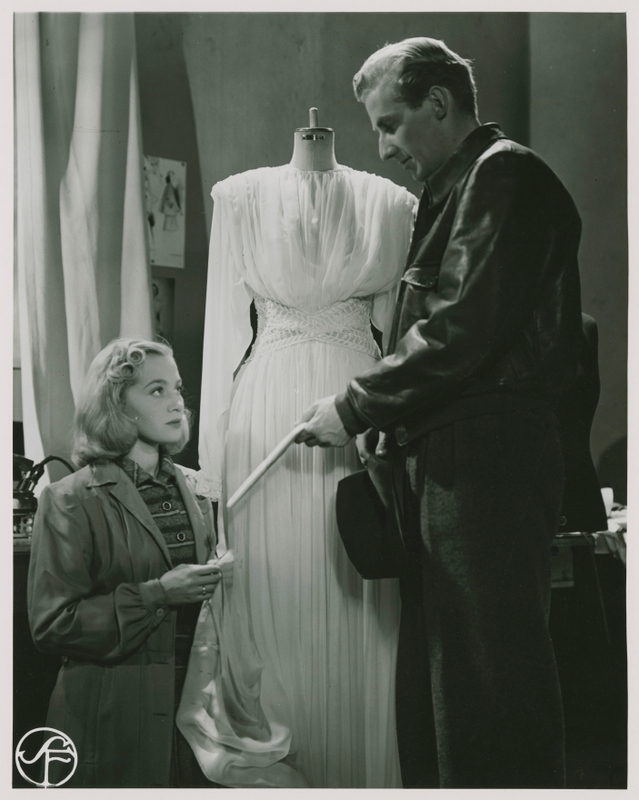 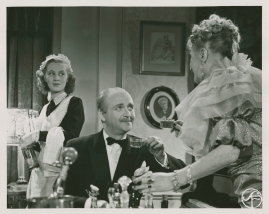 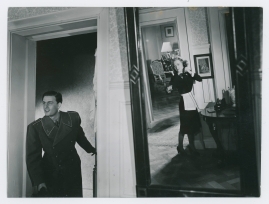 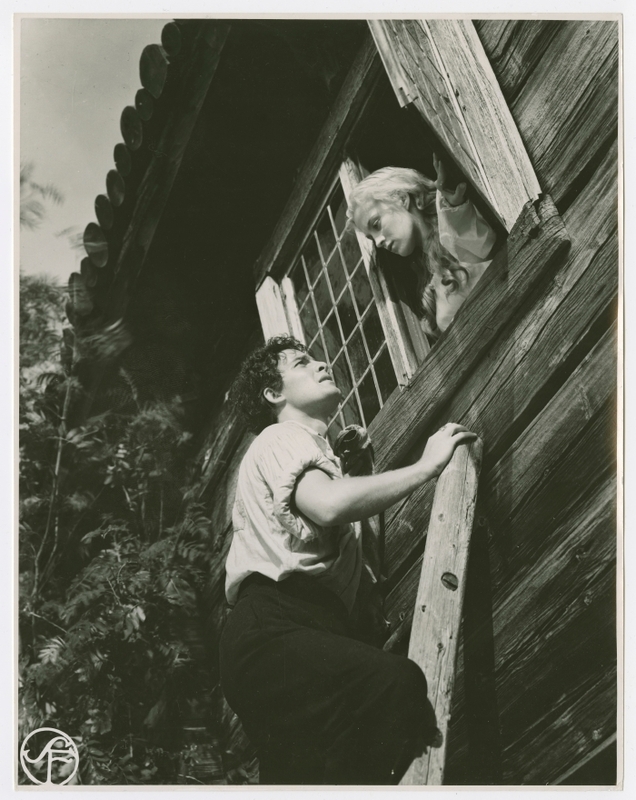 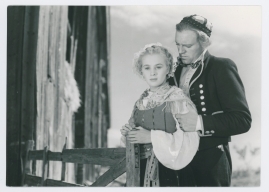 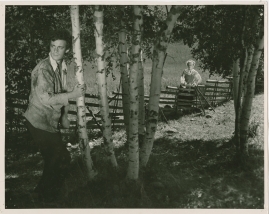 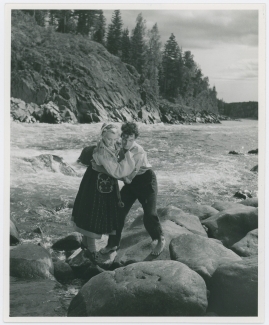 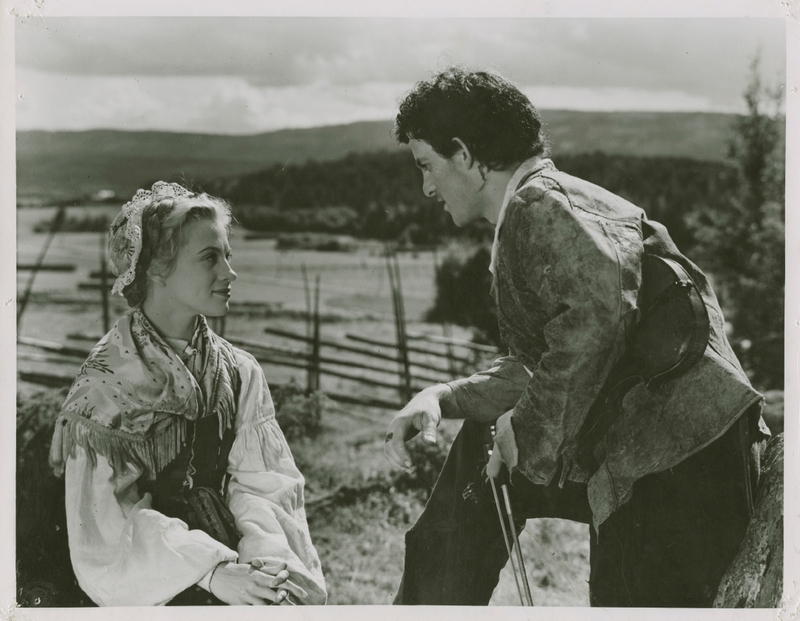 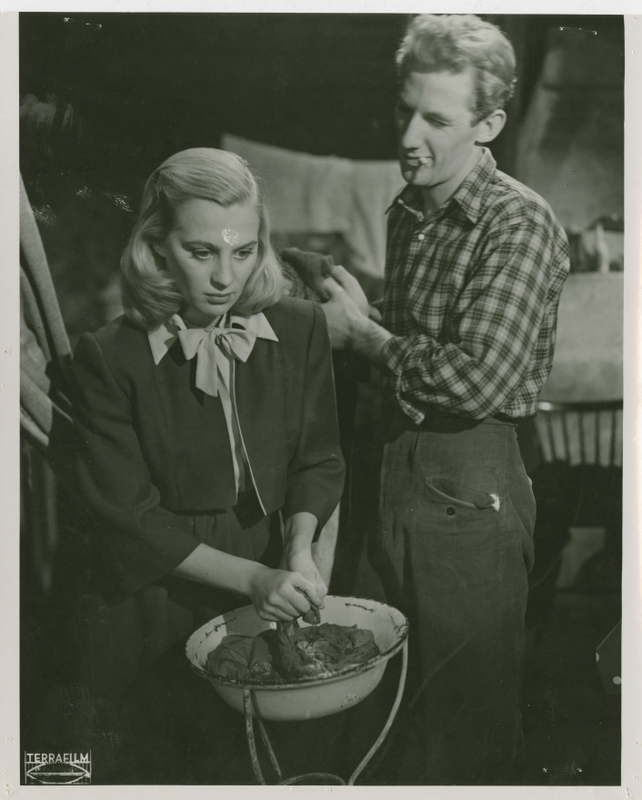 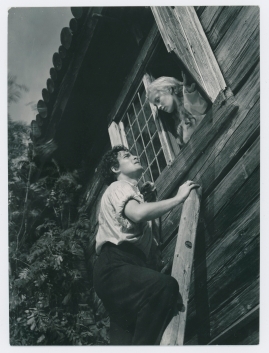 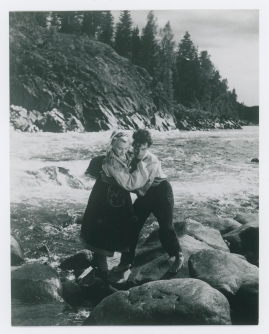 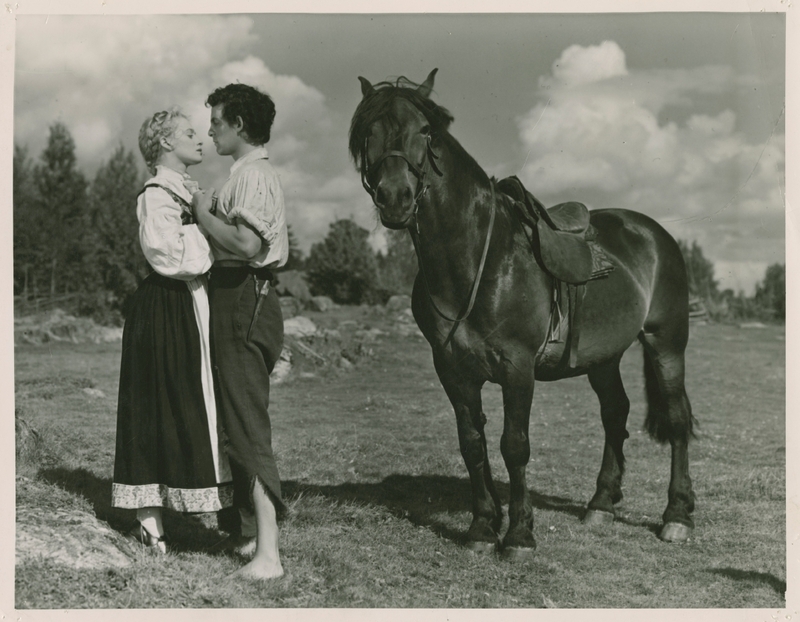 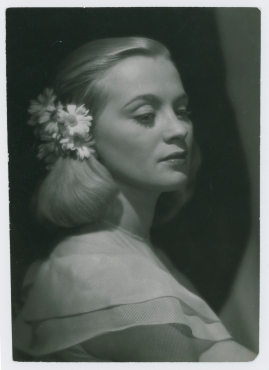 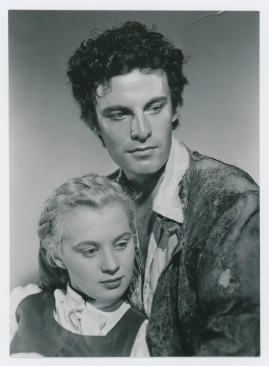 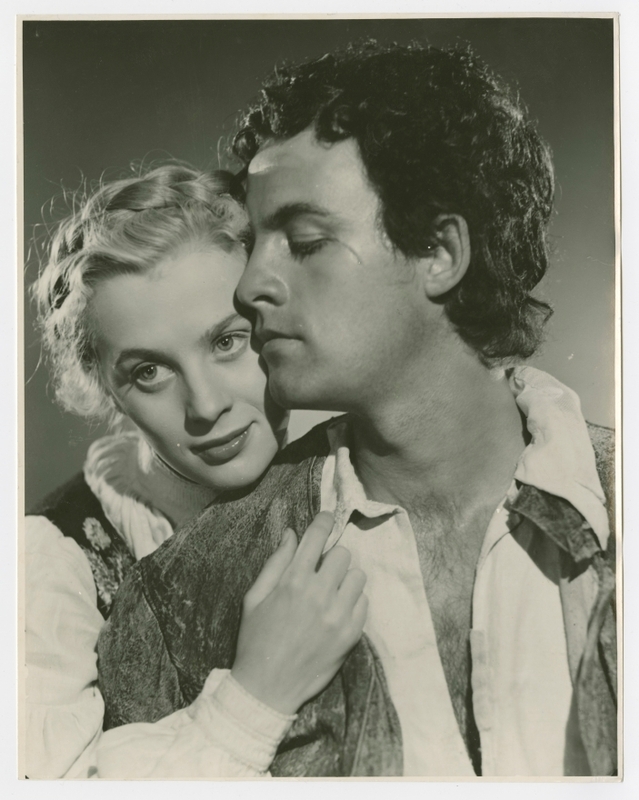 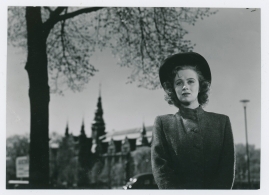 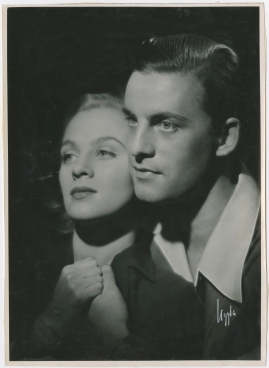 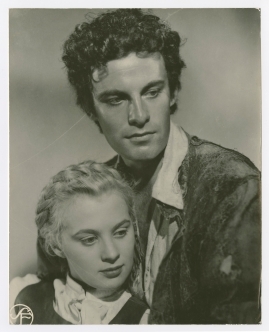 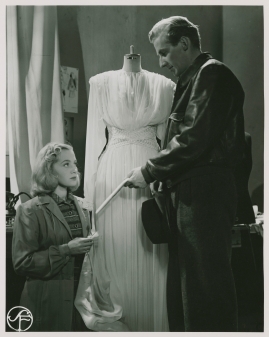 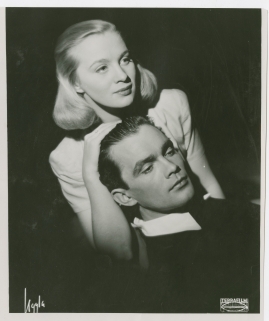 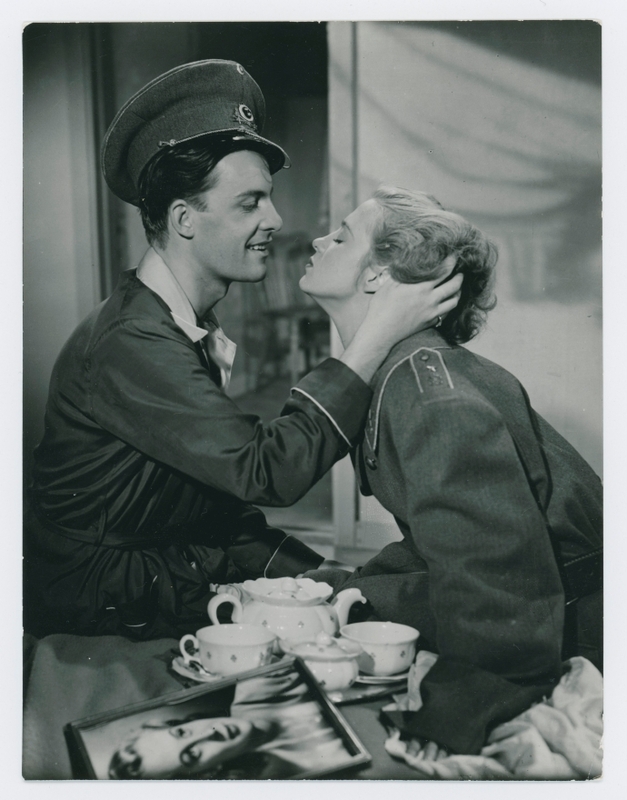 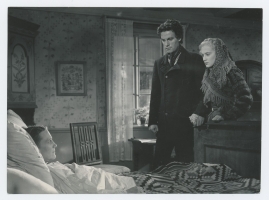 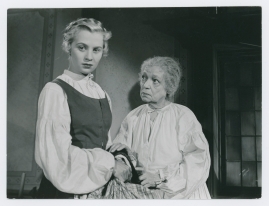 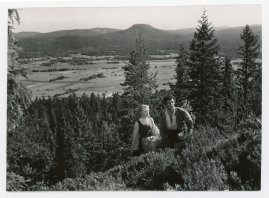 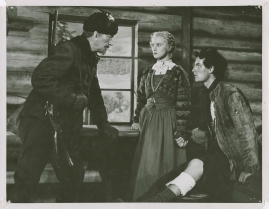 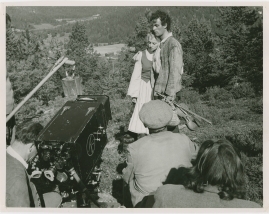 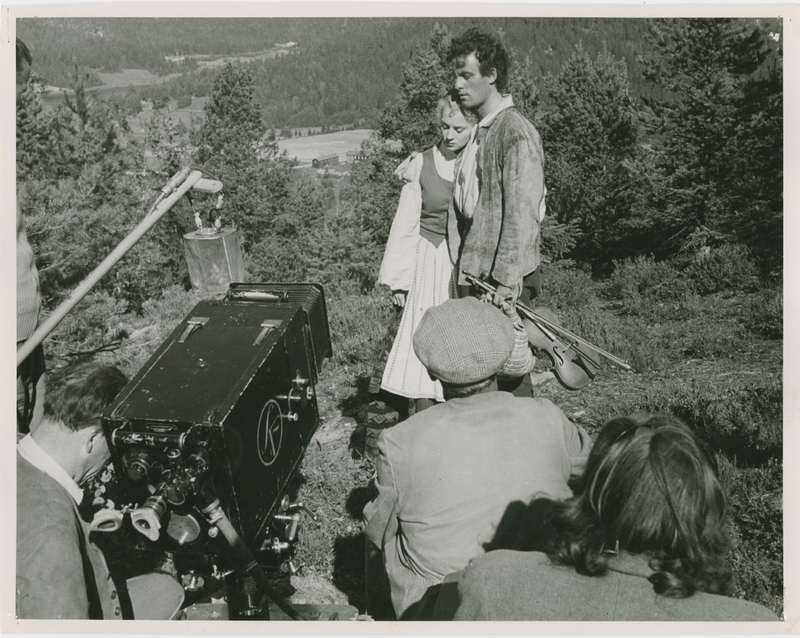 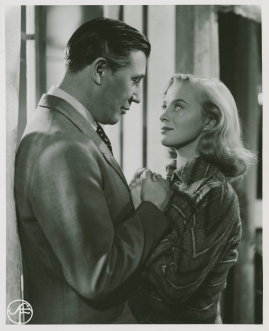 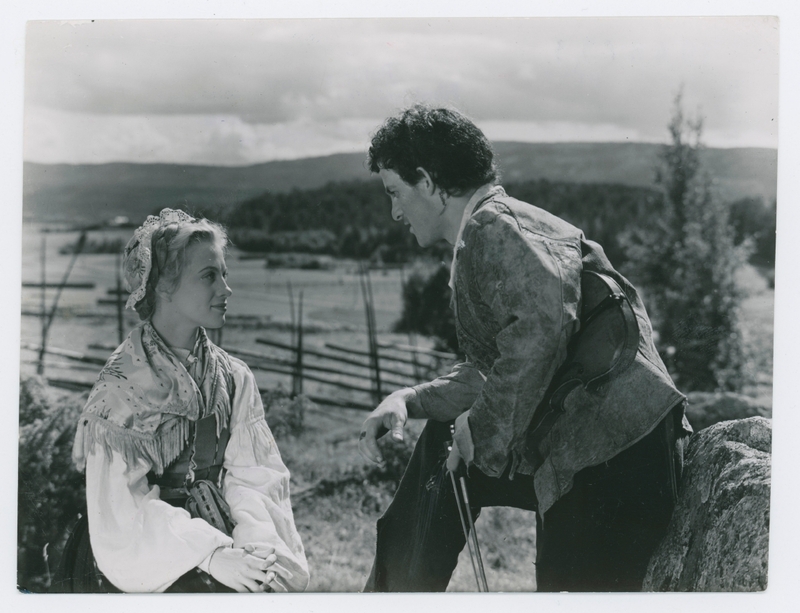 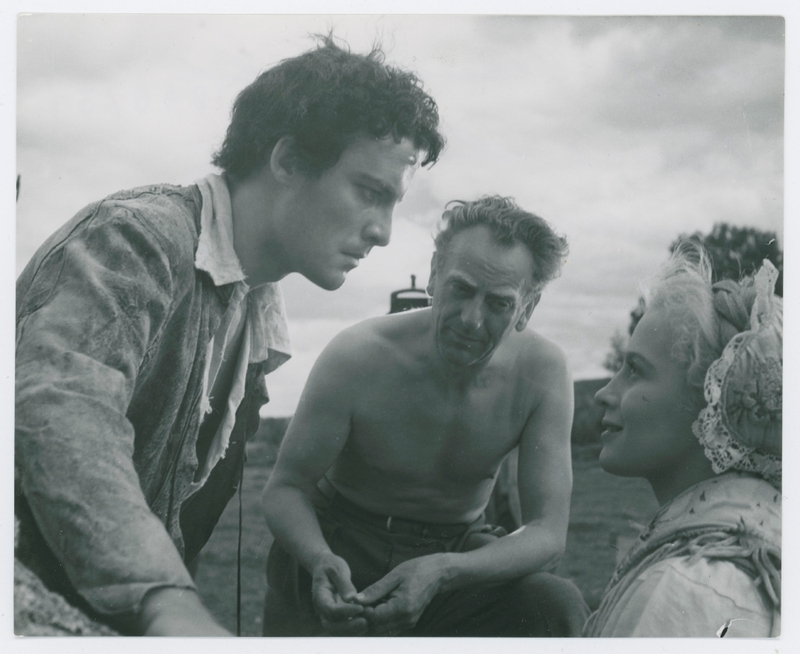 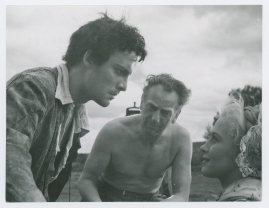 She also enjoyed considerable success in the countryside drama Rain Follows the Dew (Driver dagg, faller regn, Gustaf Edgren, 1946; US title: Sunshine Follows Rain) before she was offered film parts in the UK and began her international acting and directing career. 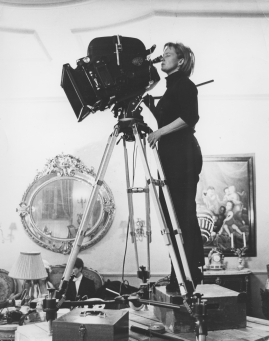 She often served as creative producer for her own films and wrote her own screenplays. 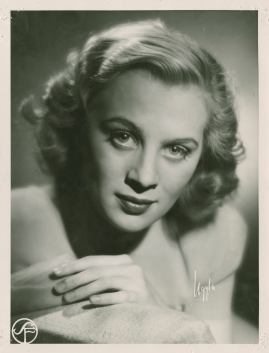 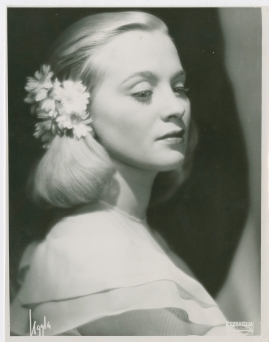 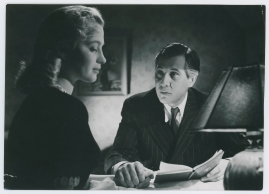 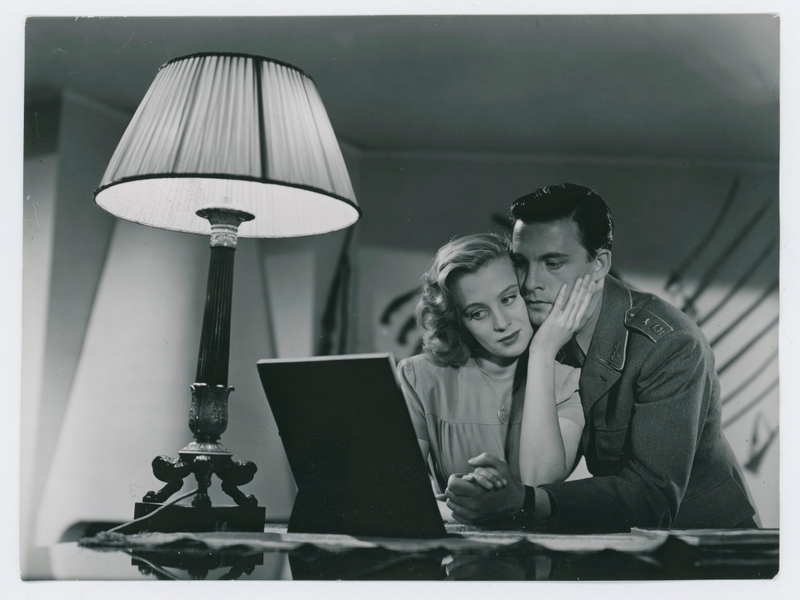 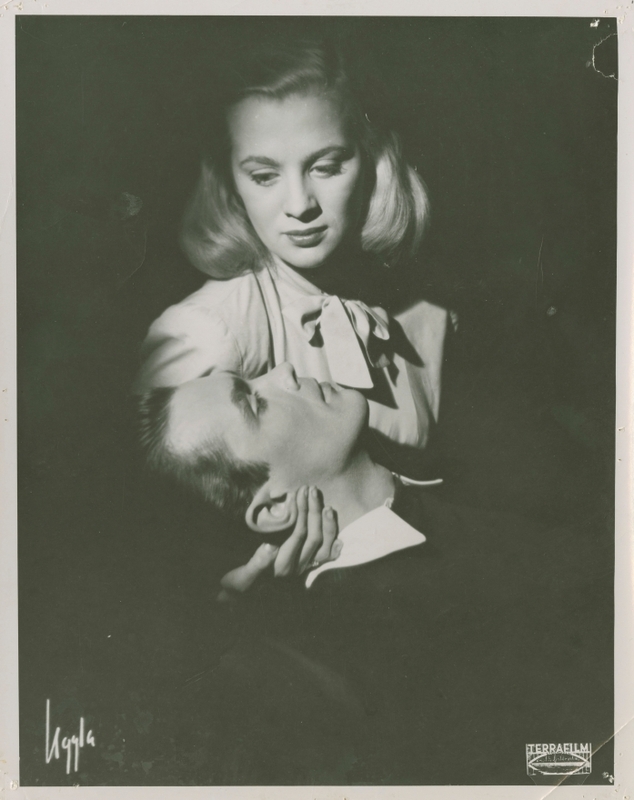 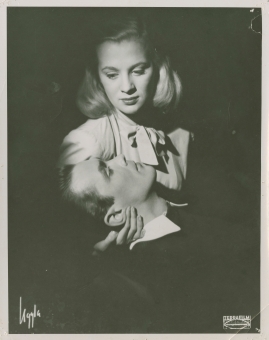 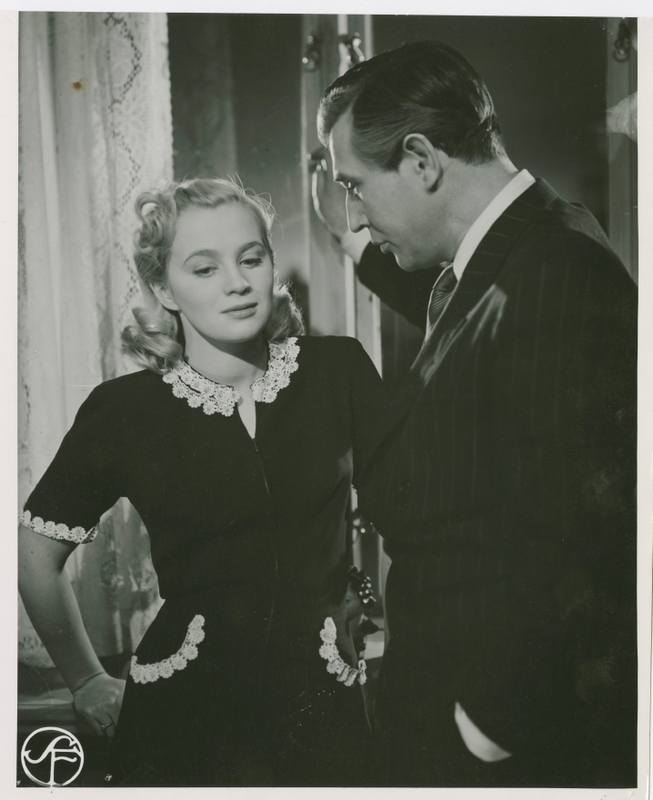 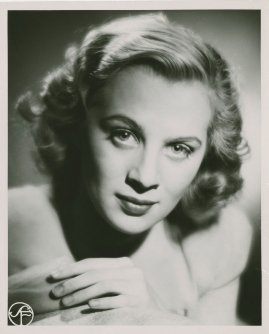 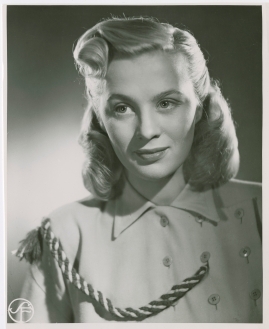 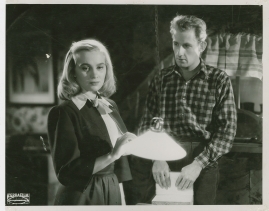 Never a feminist in the conventional sense, Zetterling nonetheless became, somewhat against her will, a role model for future generations of female directors. 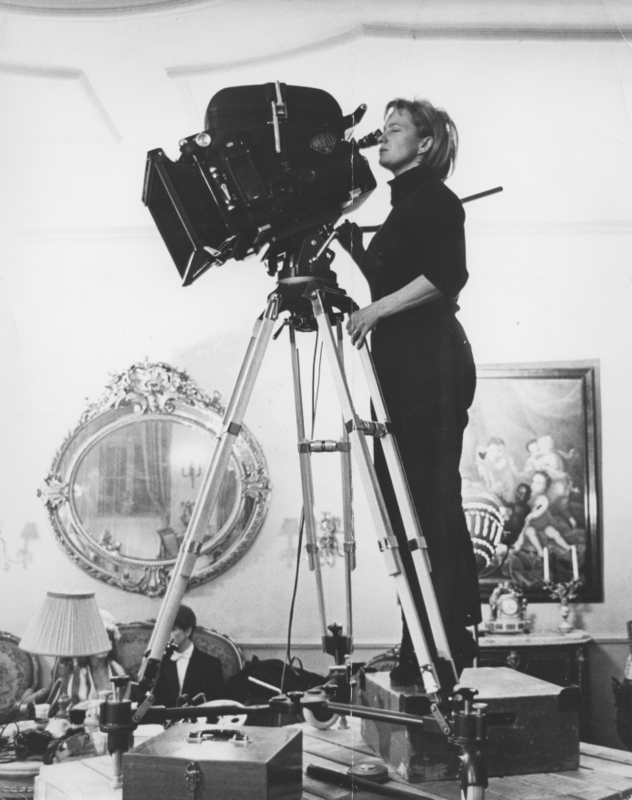 In total she directed six feature films, a dozen or so shorts and a handful of episodes for various British and American television series. 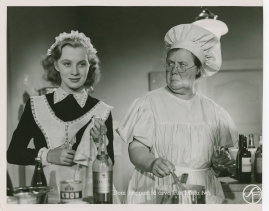 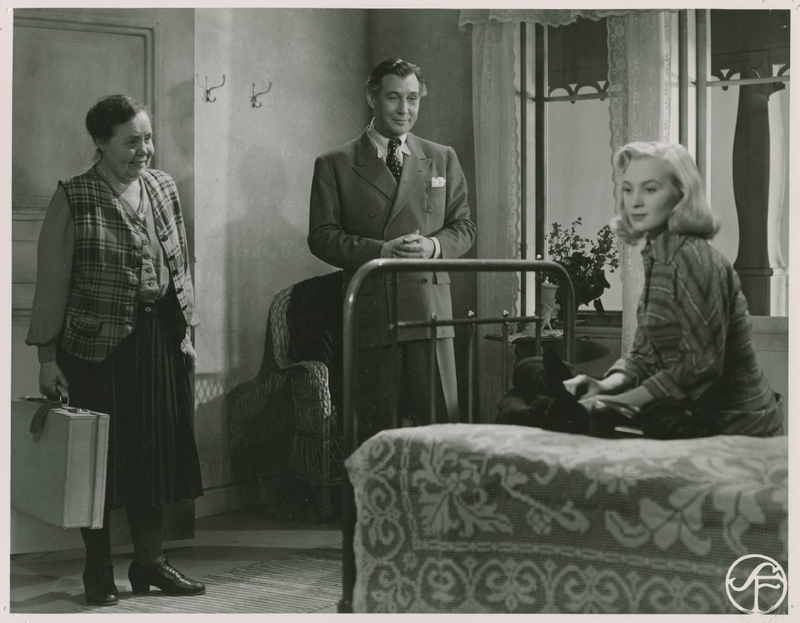 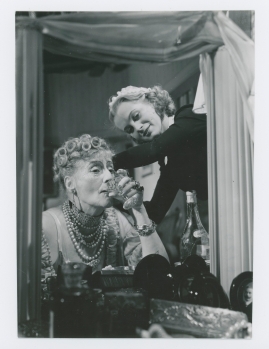 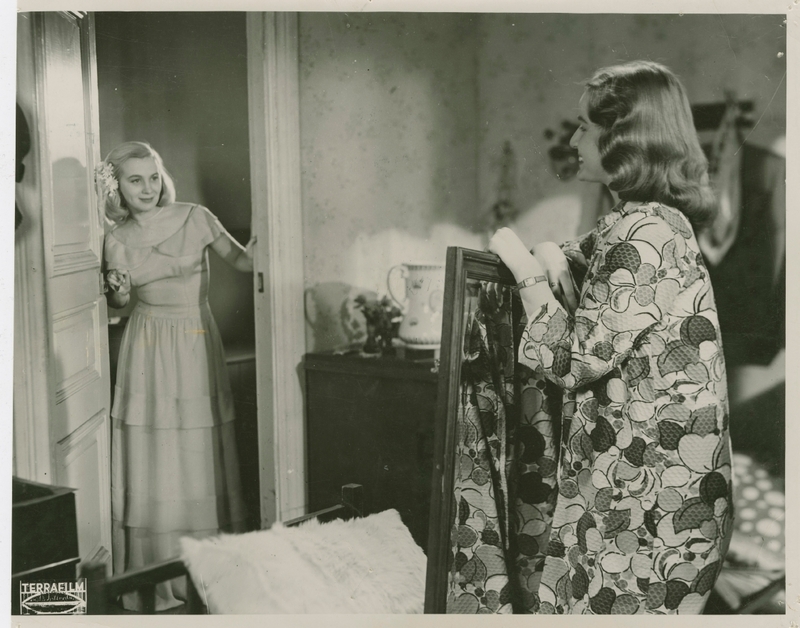 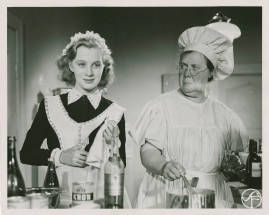 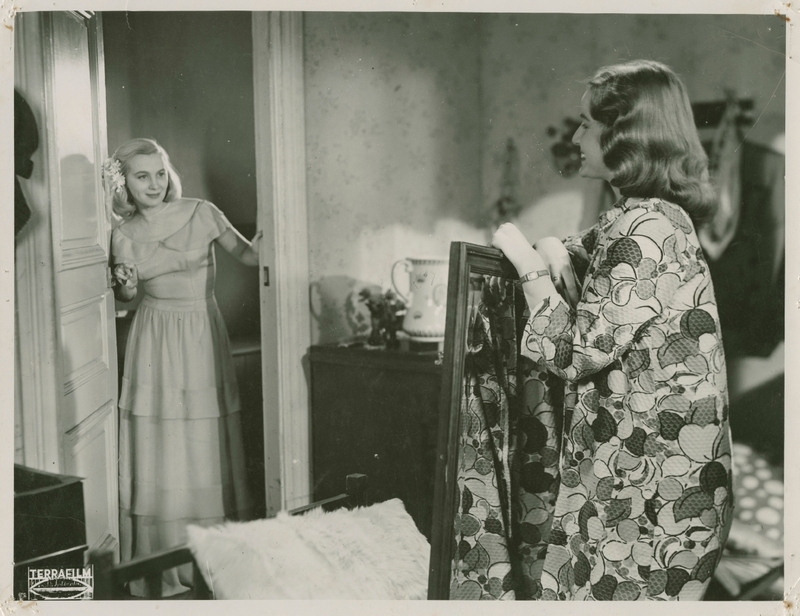 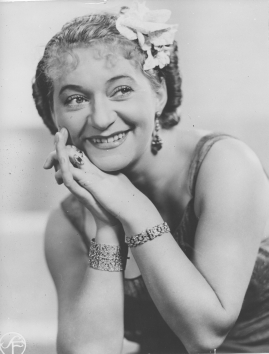 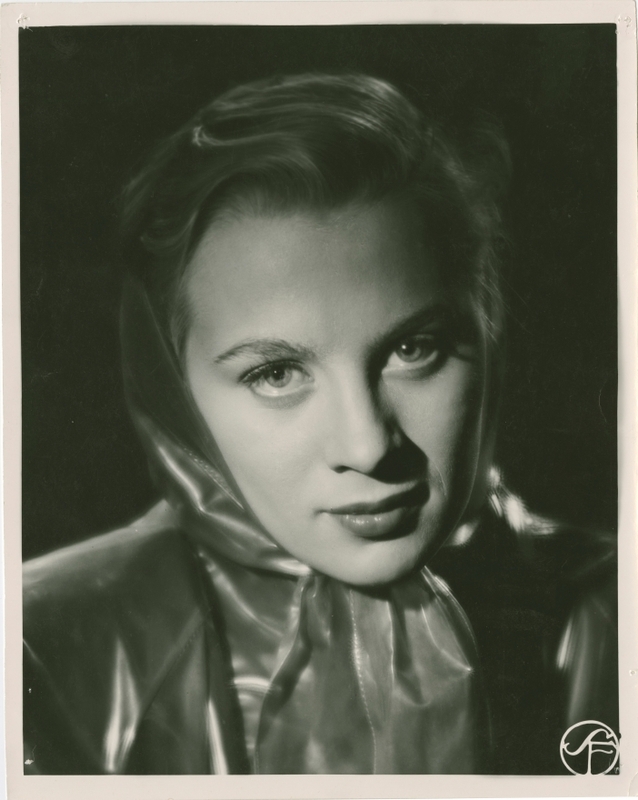 Prior to her feature debut, Zetterling had made five shorts produced in the UK, where she was living. 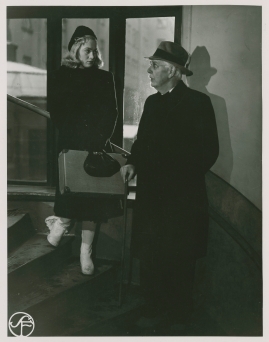 She wrote screenplays and directed films together with her husband at the time, David Hughes. 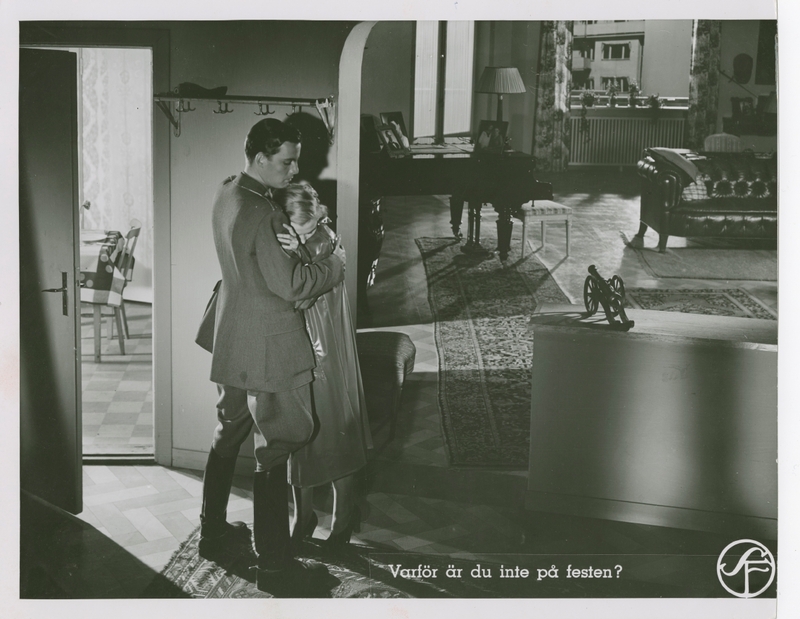 The last of these shorts, The War Game (1963), shot by the up-and-coming cinematographer Chris Menges, won a Golden Lion at the Venice Film Festival. 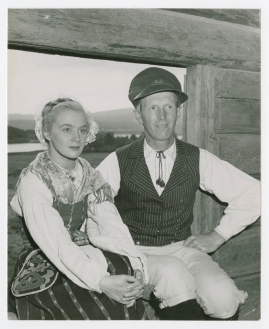 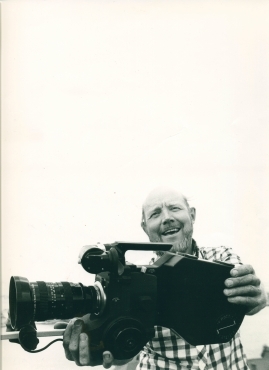 David Hughes came with Zetterling to Sweden where they continued to work together up until their television documentary about Vincent van Gogh, Vincent the Dutchman (in the Omnibus series, 1971). 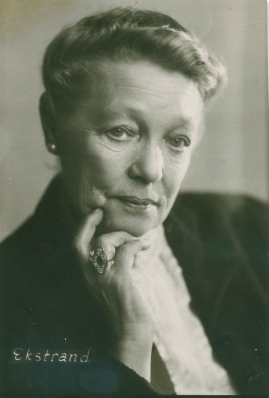 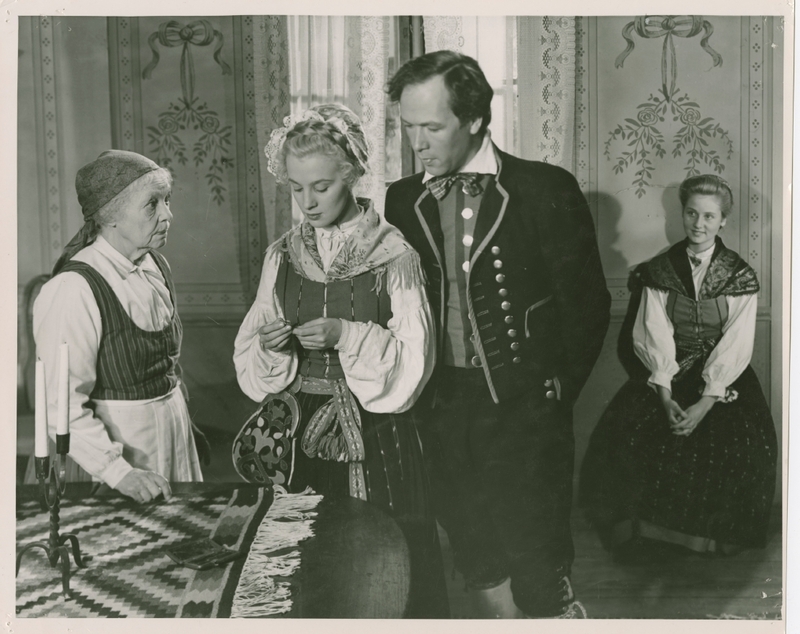 Loving Couples was a personal adaptation of one part of Agnes von Krusenstjerna's series of novels "Fröknarna von Pahlen". 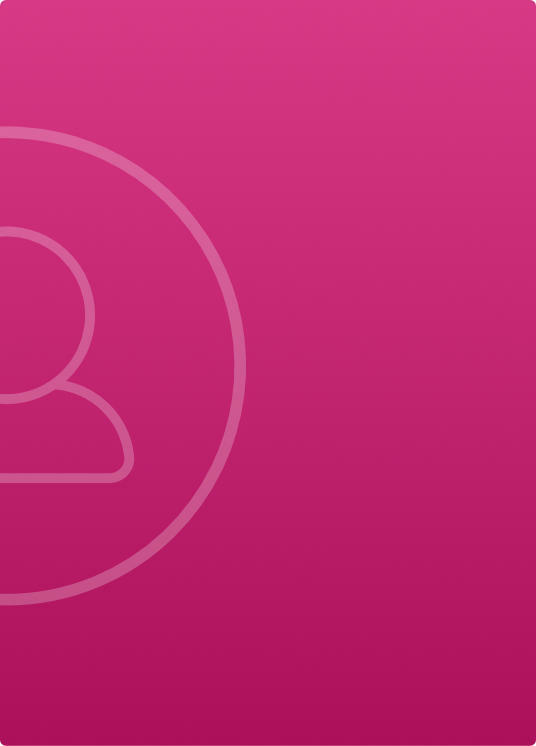 Produced by Sandrews and Rune Waldekranz, this lavishly funded work was met with a mixture of praise and raised eyebrows. 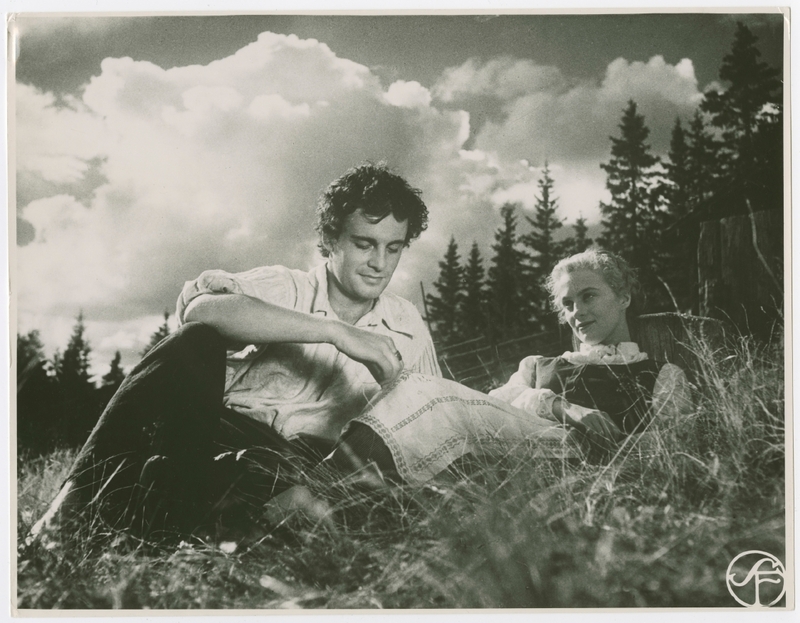 The Swedish critic Olof Lagercrantz, who was an expert on von Krusenstjerna, accused Zetterling of having misinterpreted the author's intentions. 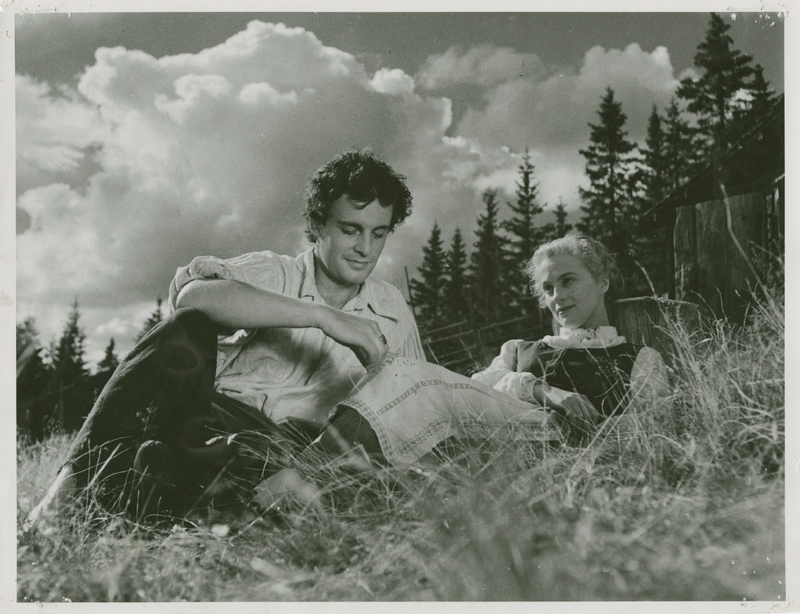 In his view, the film was far too concrete and not sufficiently dreamlike. 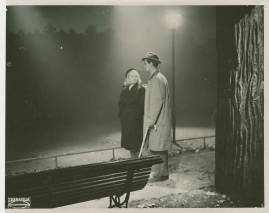 Critics in other countries were more willing to see the film's good points. 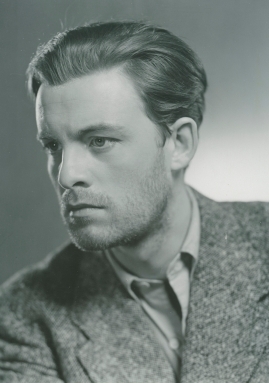 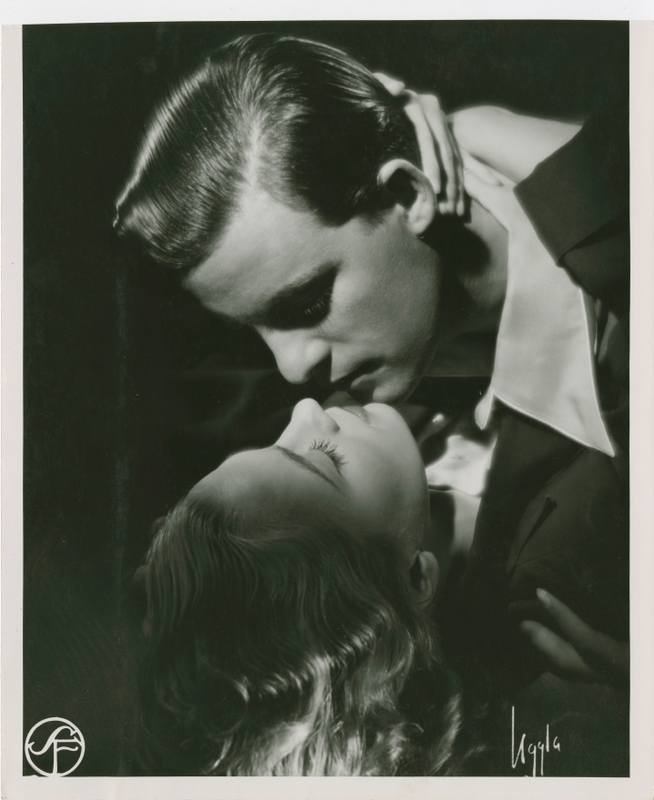 In the UK, for example, Kenneth Tynan wrote that Loving Couples was "one of the most ambitious debuts since Citizen Kane". 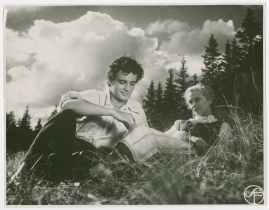 At Cannes the film was banned because of some sexually explicit scenes. 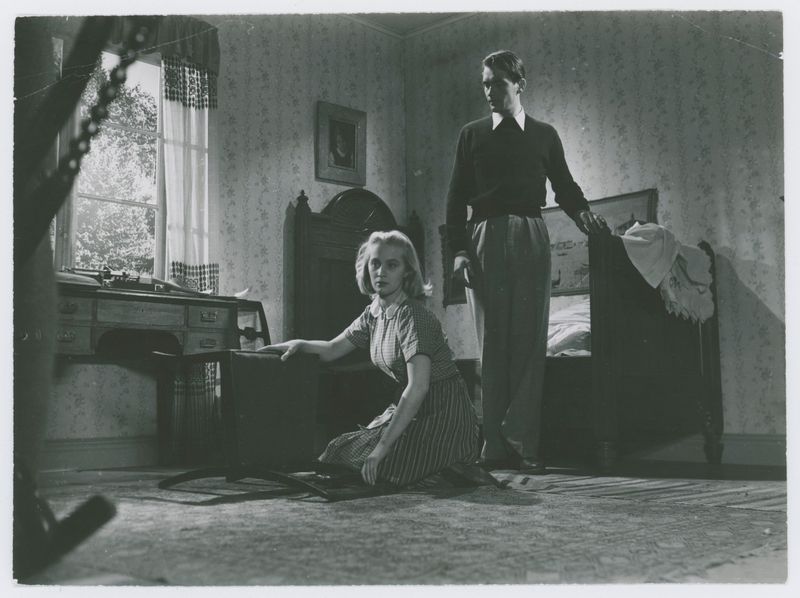 Night Games (Nattlek, 1966), based on an original screenplay by Zetterling herself, was a kind of nightmare version of the themes and images that Zetterling had lifted from von Krusenstjerna. 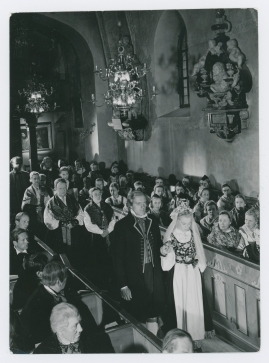 The film's portrayal of incestuous love caused both offence and scandal, this time at the film festival in Venice. 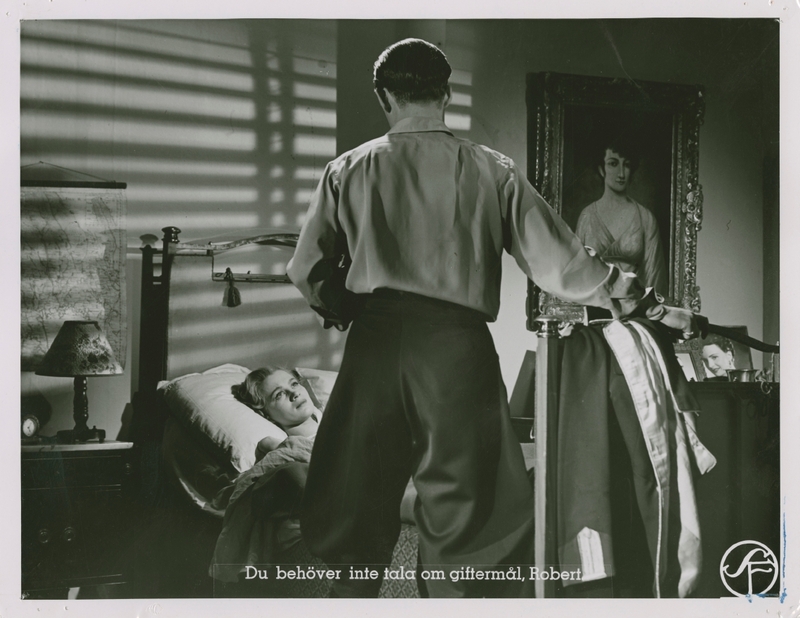 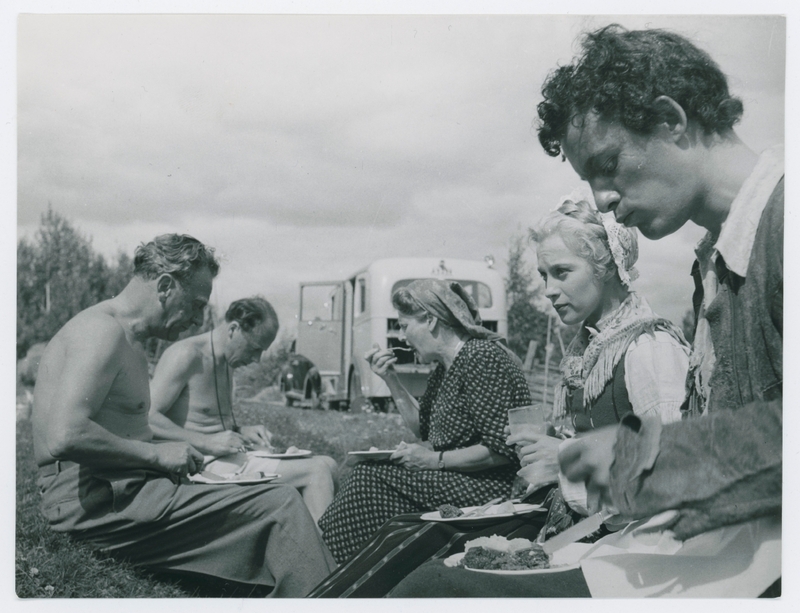 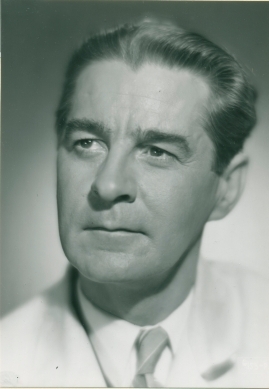 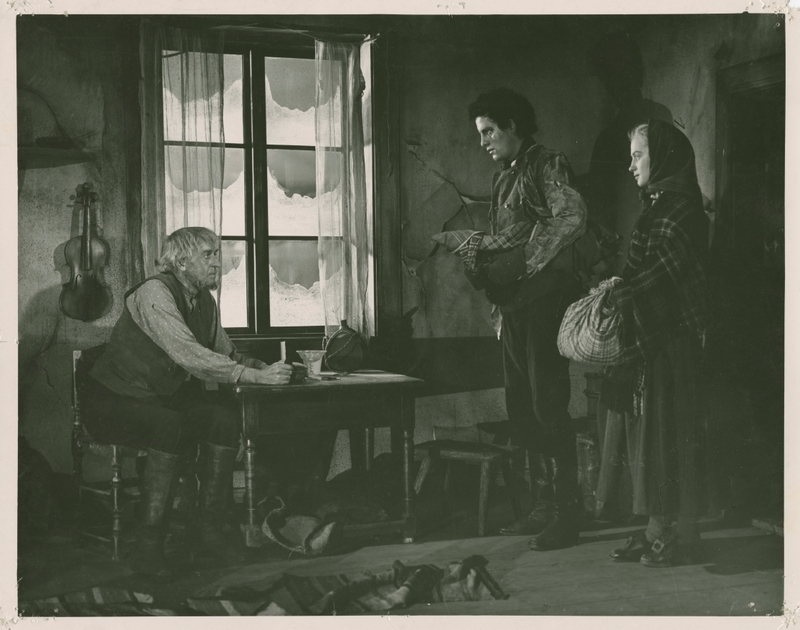 Writing in Dagens Nyheter, Mauritz Edström called it "one of the most intelligent and important of Swedish films." 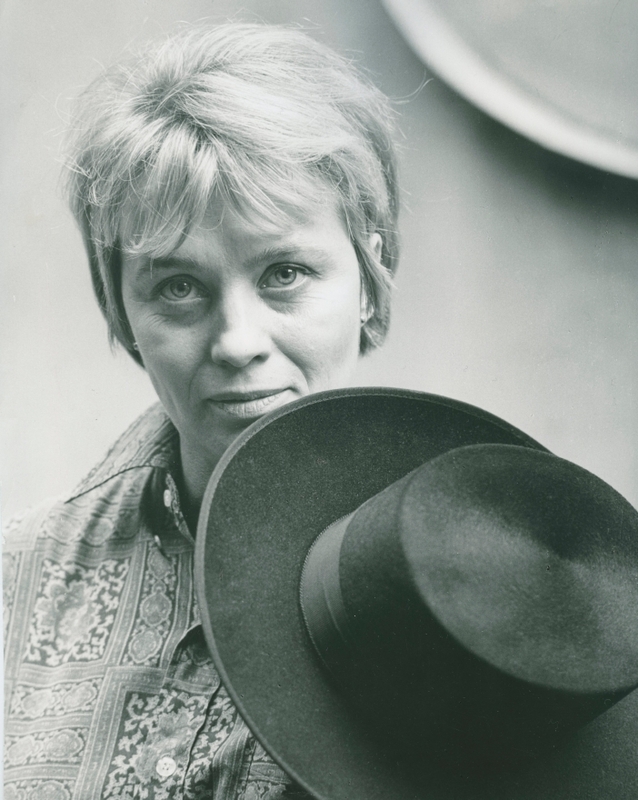 Her next film, Doctor Glas (Dr. Glas, 1968), was a radical film version of Hjalmar Söderberg's novel starring Per Oscarsson in the title role. Production funding for the film came chiefly from Denmark. Panned by the critics at the time, the film is regarded today as one of the first in a line of cinematic experiments with narrative perspective. 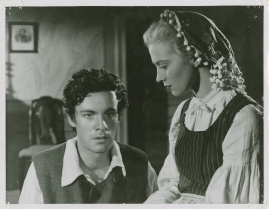 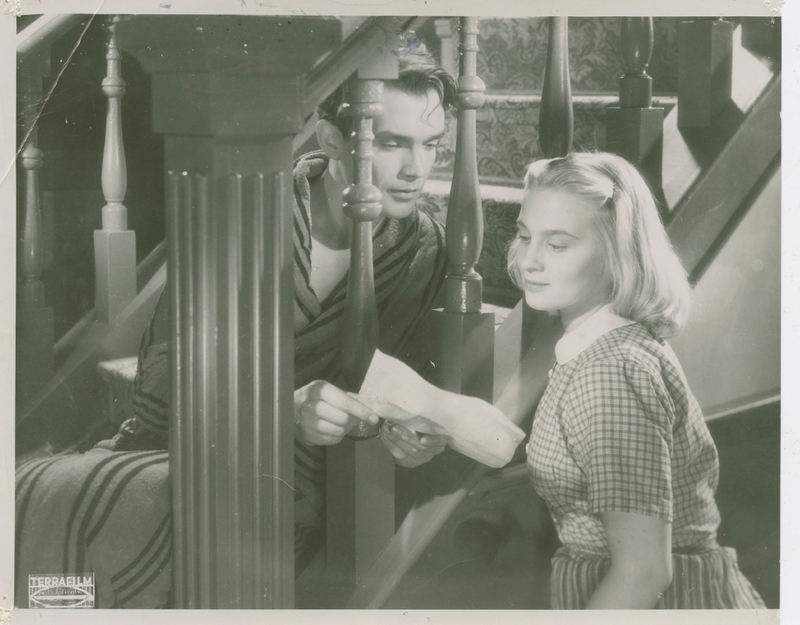 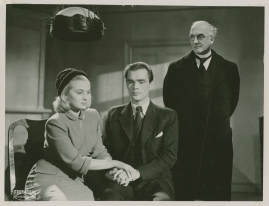 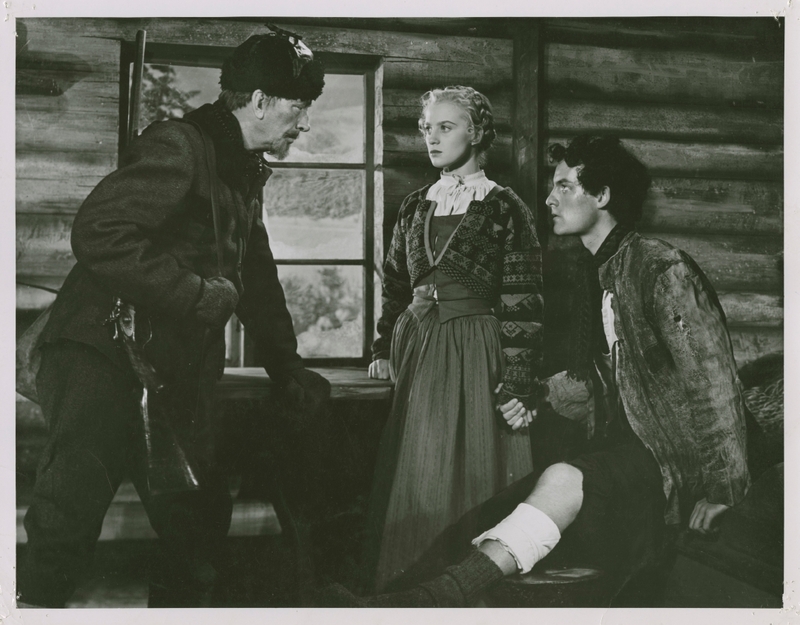 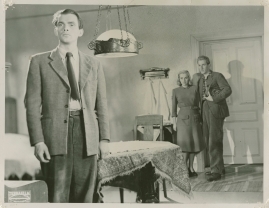 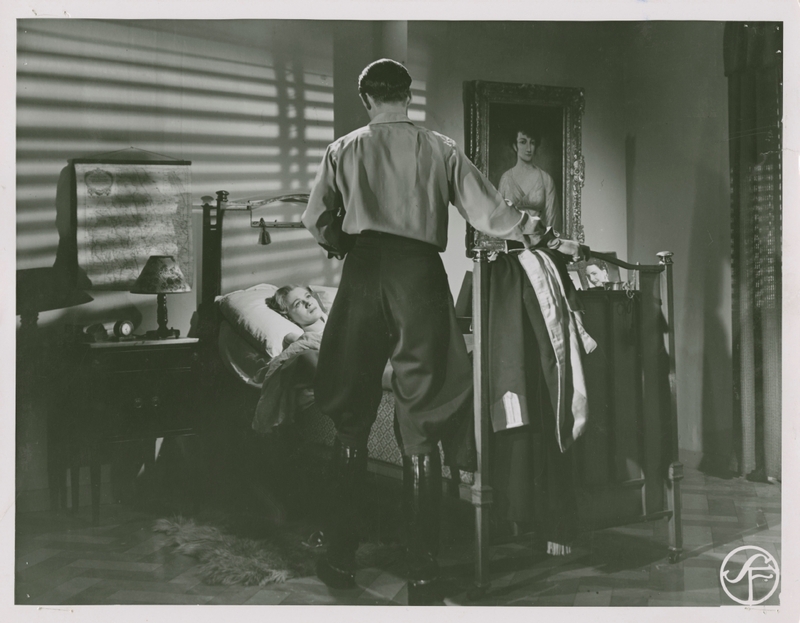 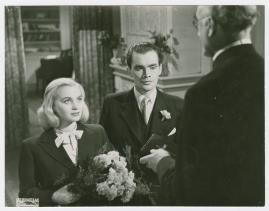 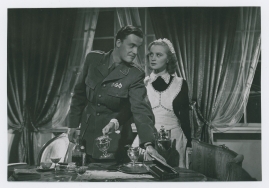 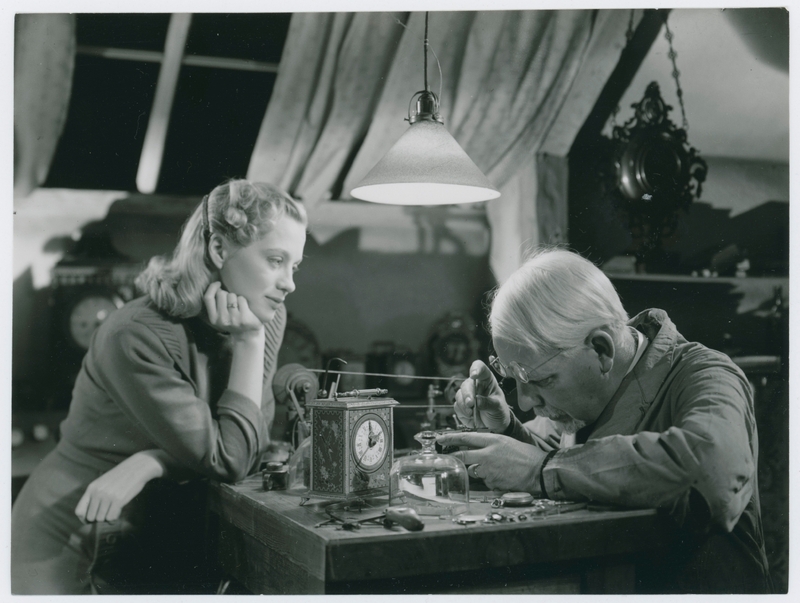 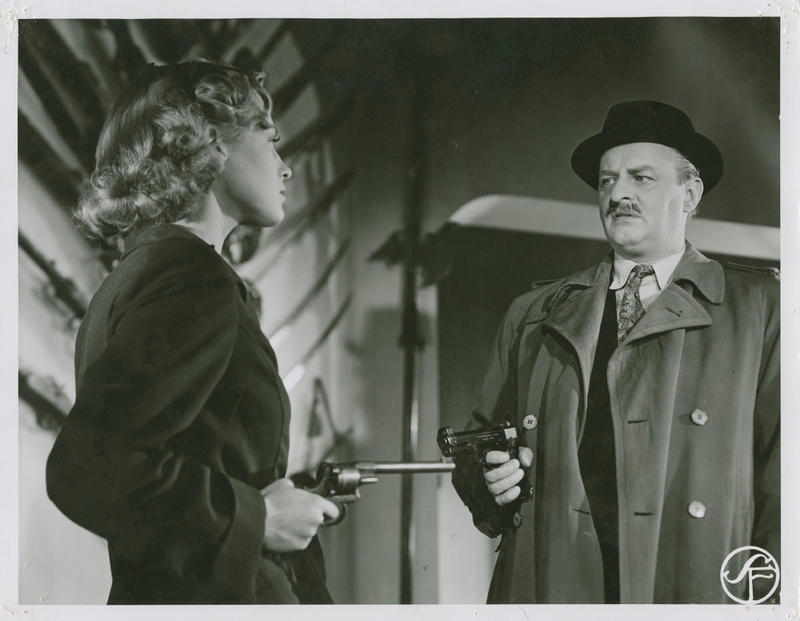 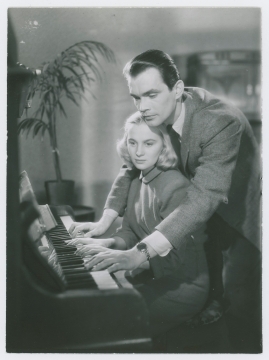 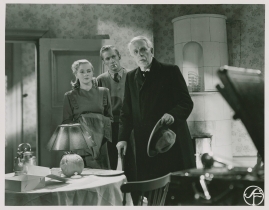 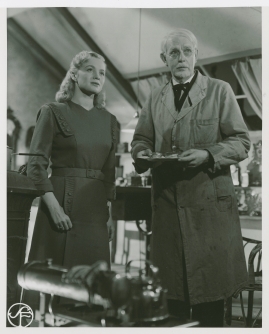 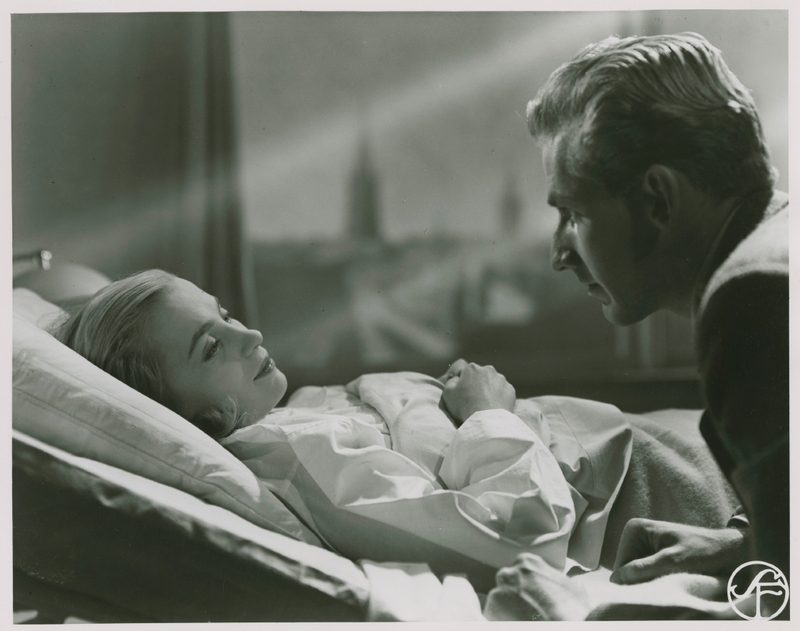 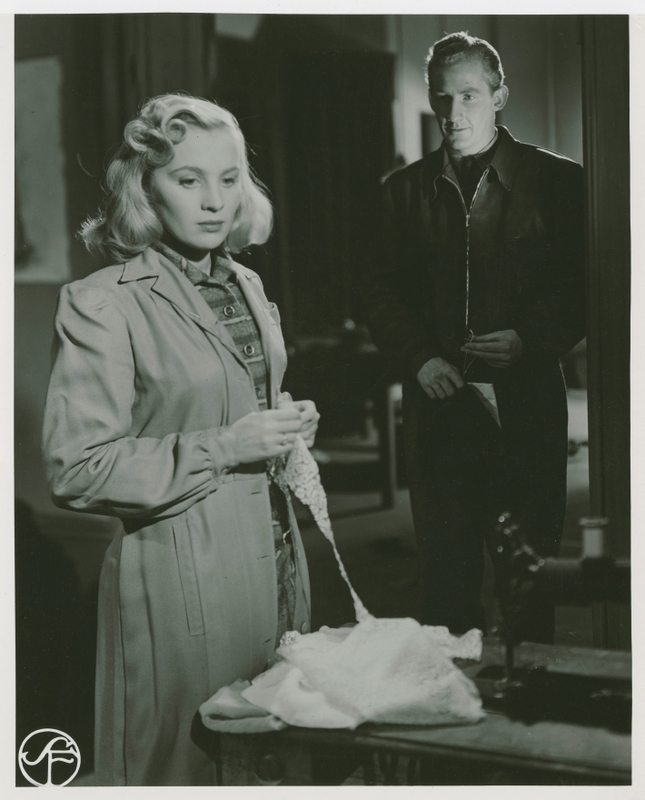 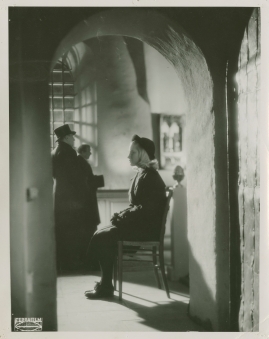 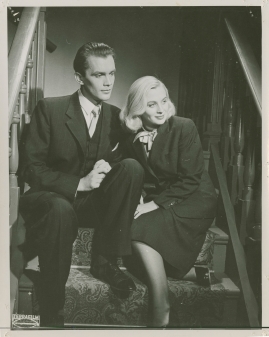 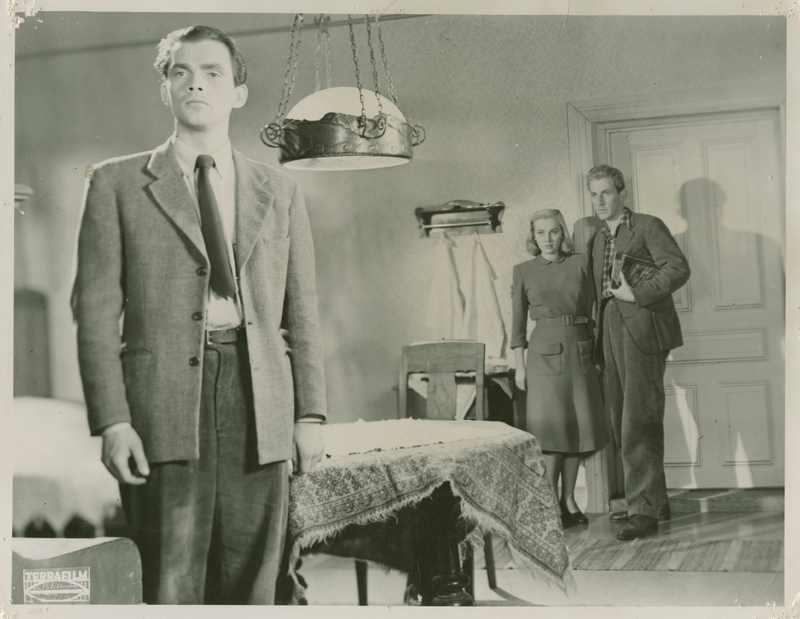 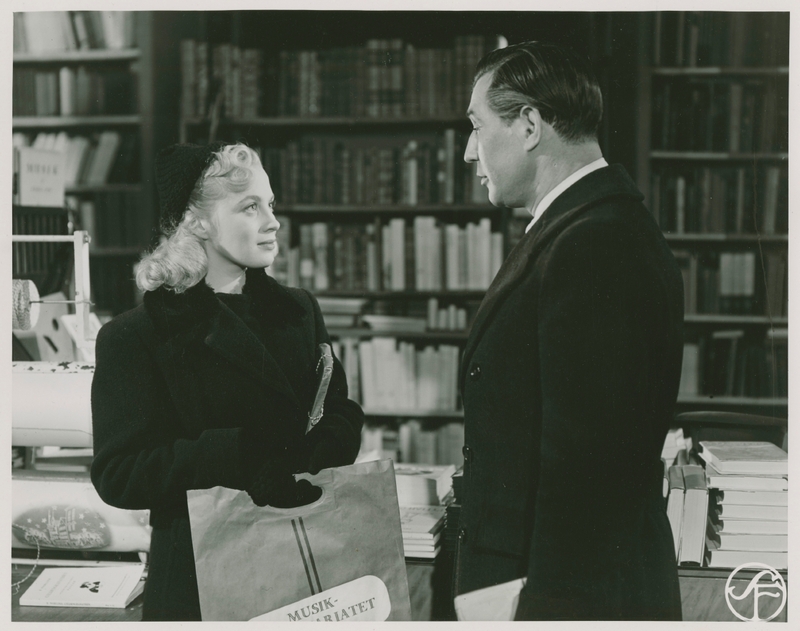 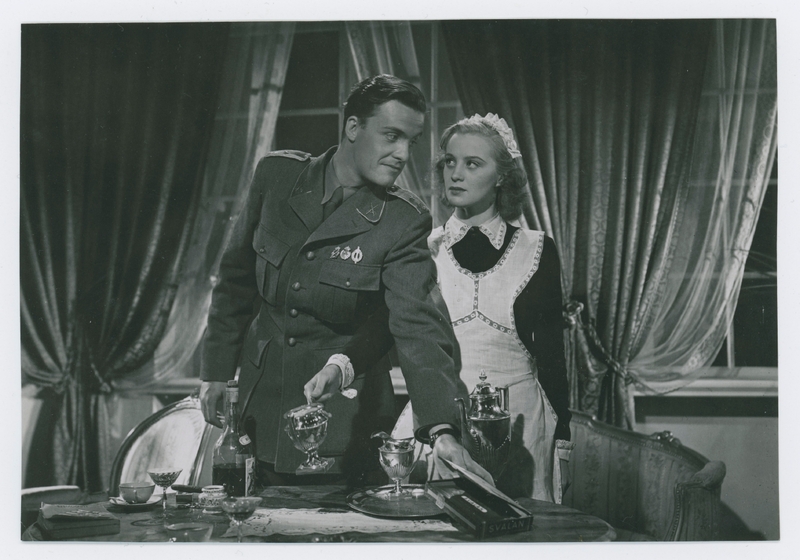 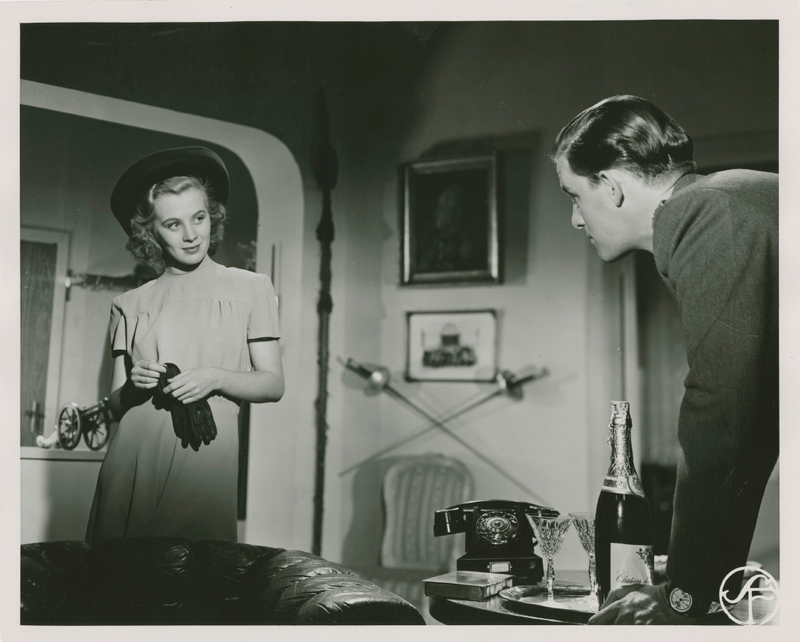 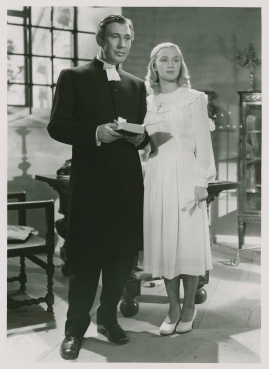 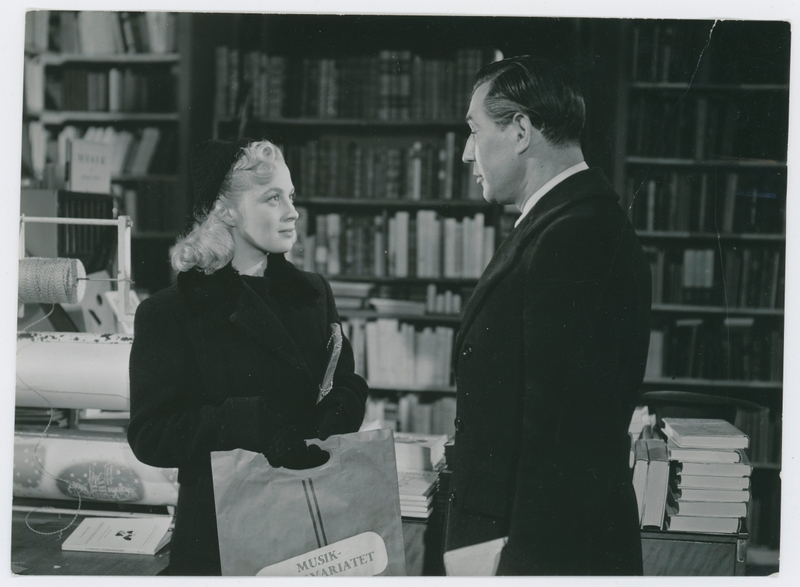 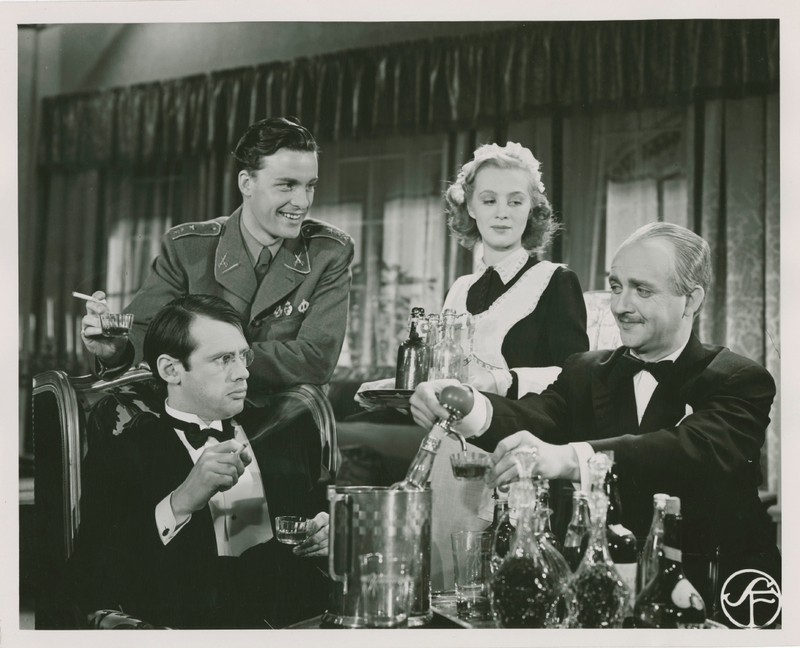 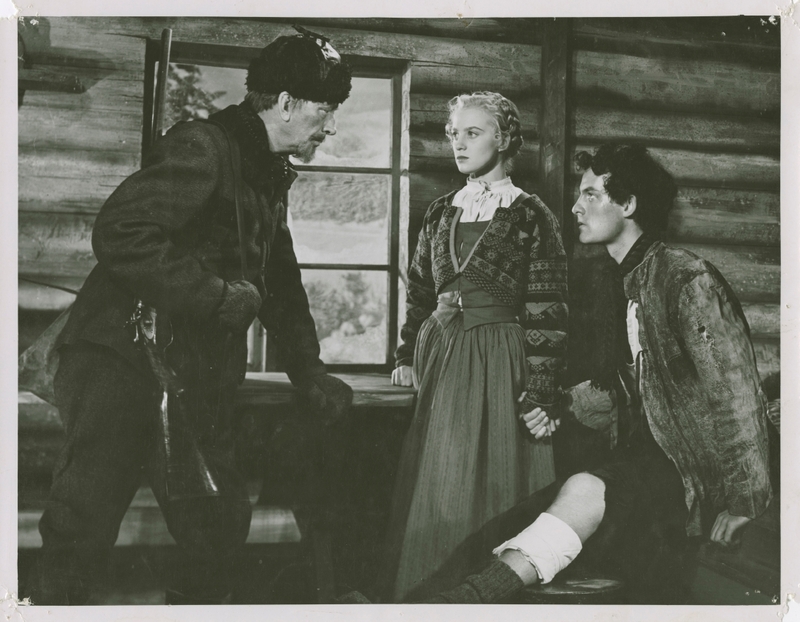 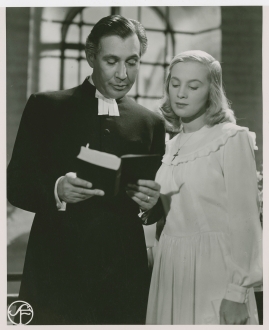 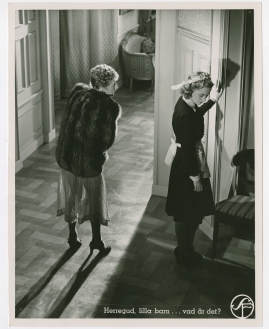 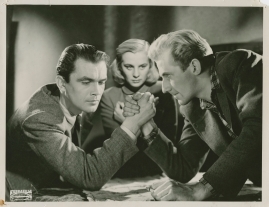 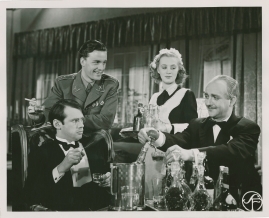 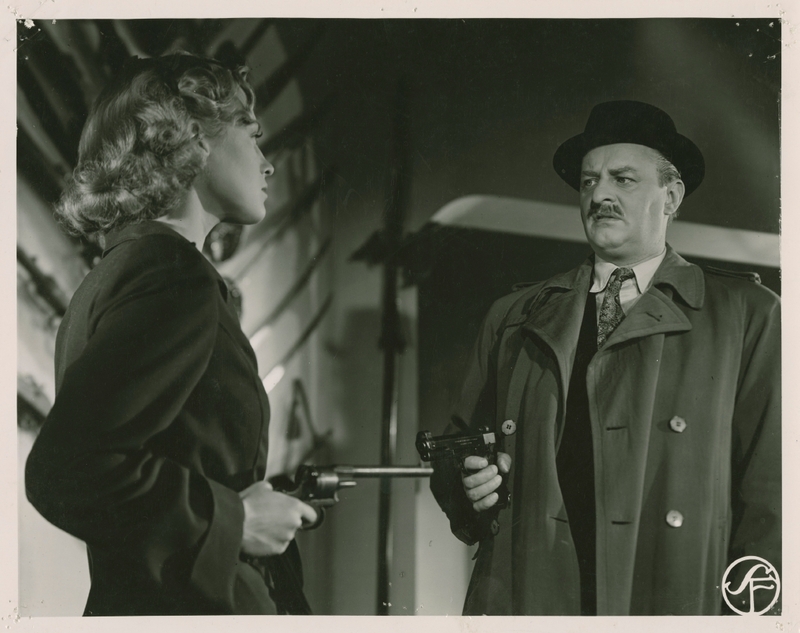 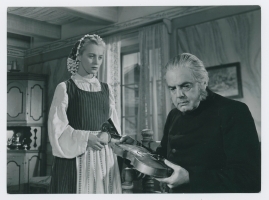 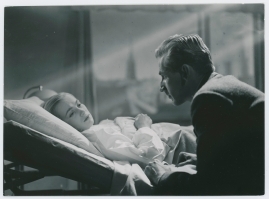 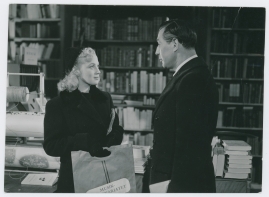 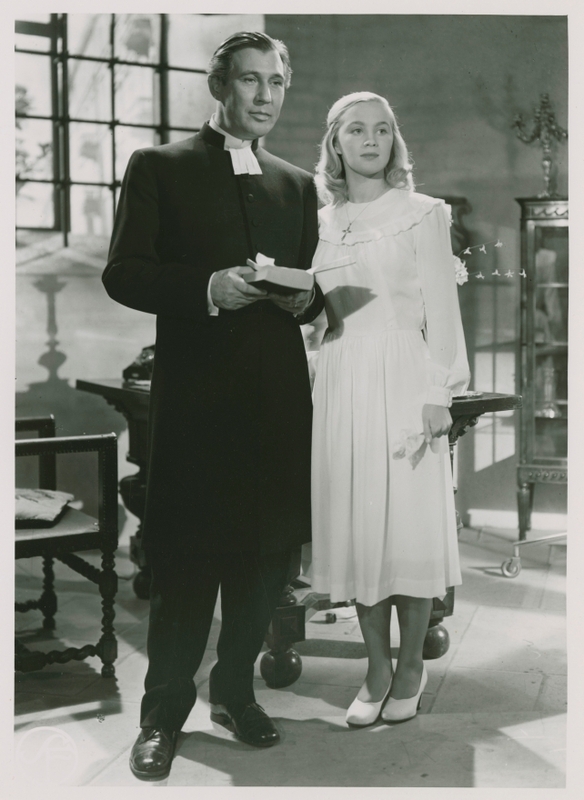 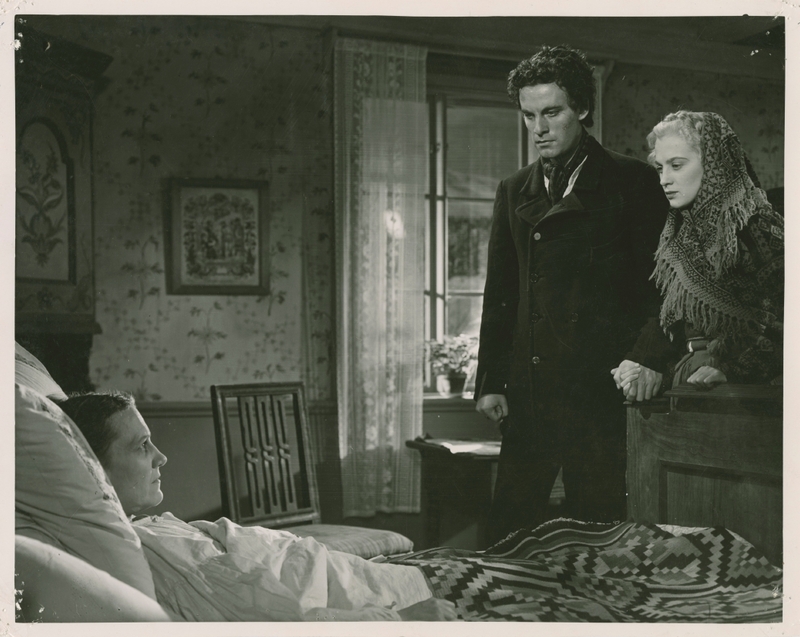 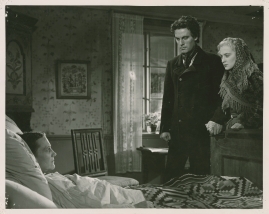 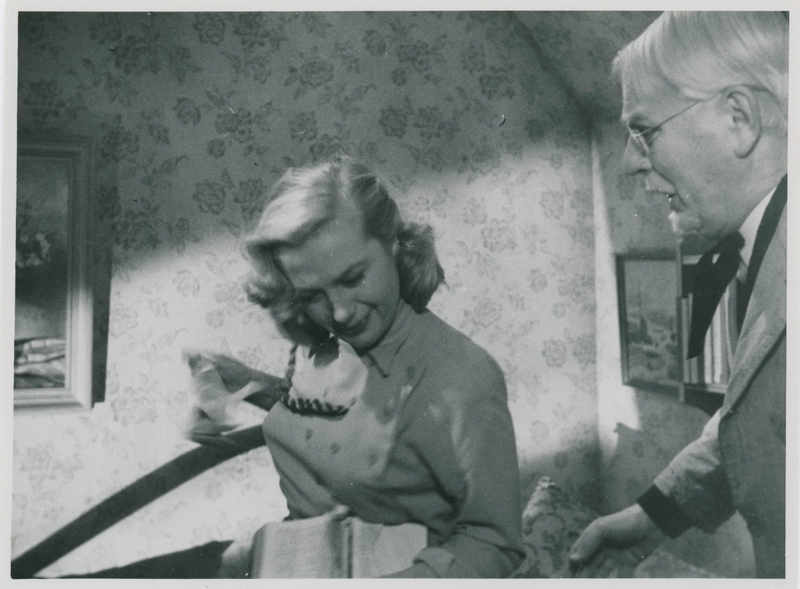 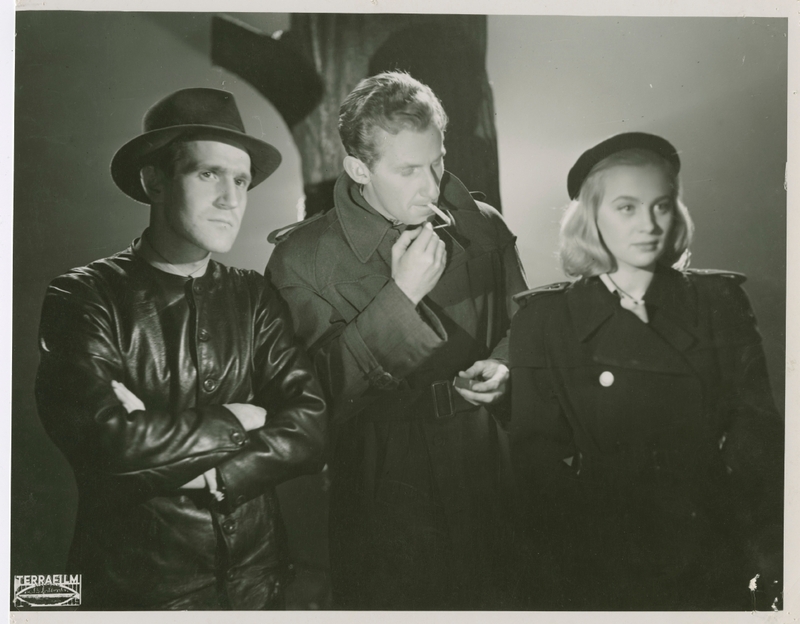 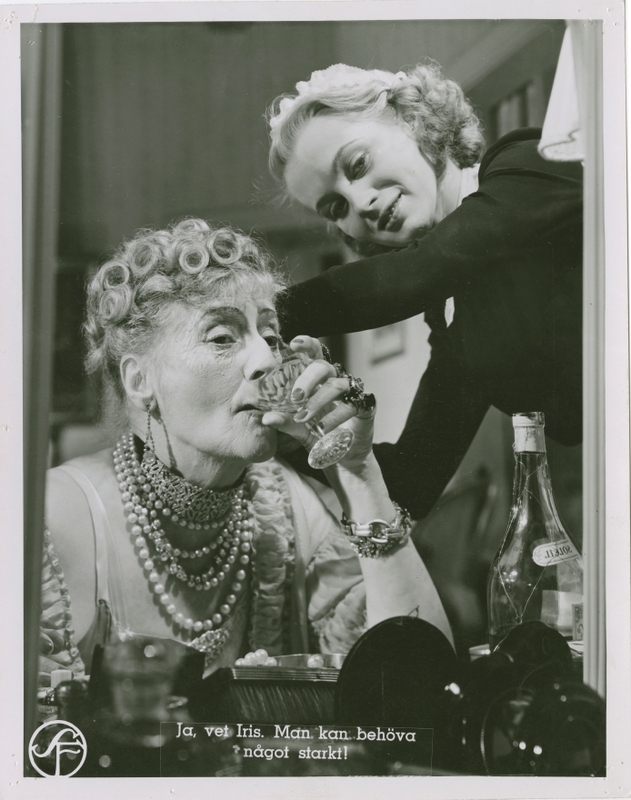 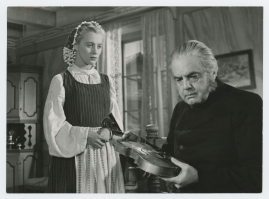 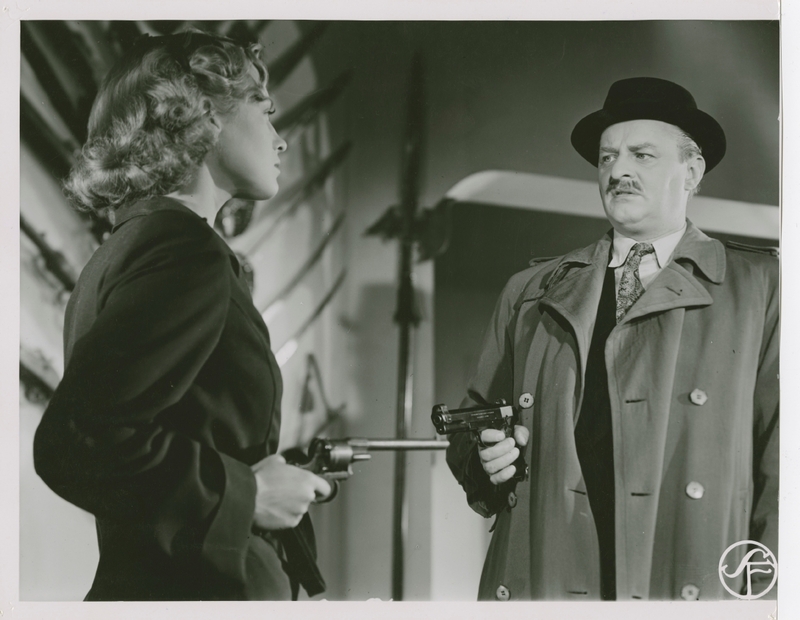 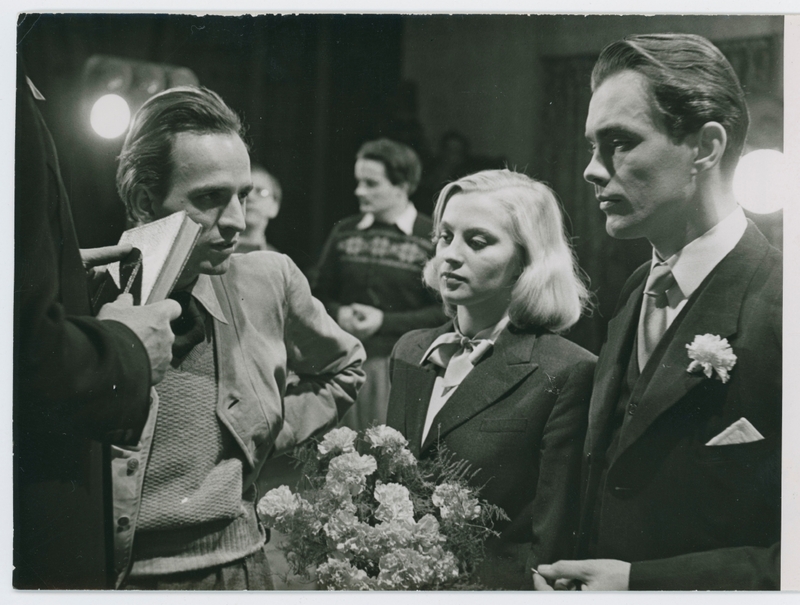 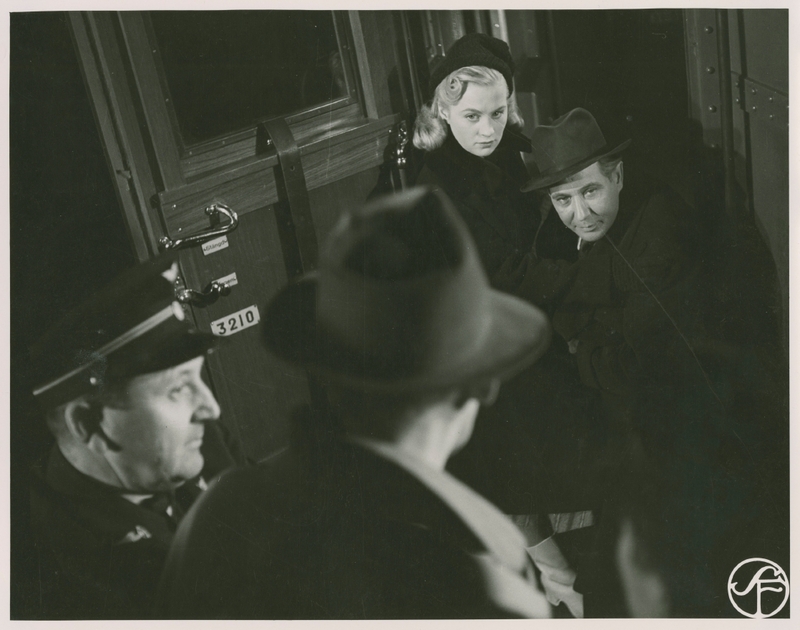 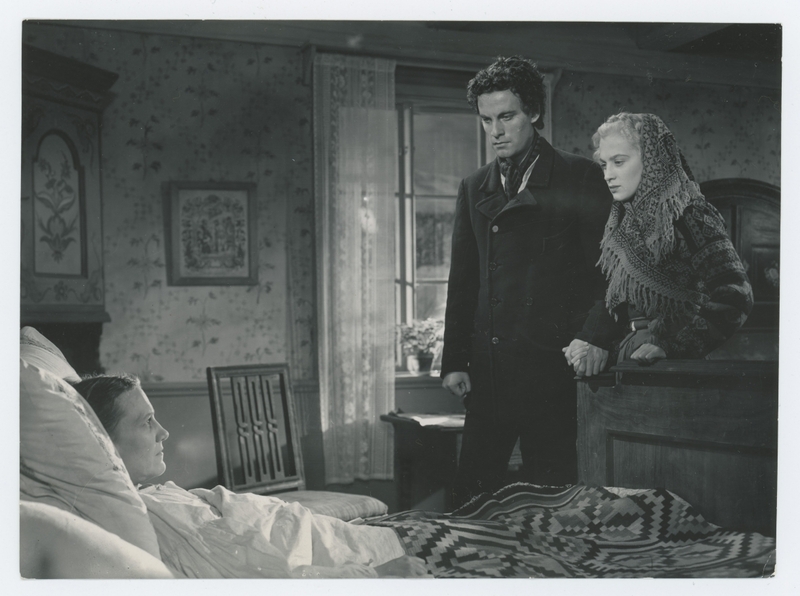 One of Zetterling's earliest film parts had been a minor role in Rune Carlsten's Doctor Glas (Doktor Glas) of 1942, the first ever film adaptation of this novel. With The Girls (Flickorna, 1968) Zetterling staged a playful study of prejudice, politics and gender roles told through the eyes of three actresses who are on tour with a production of Aristophanes' "Lysistrata". 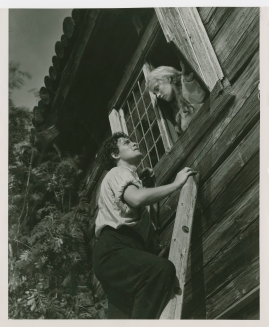 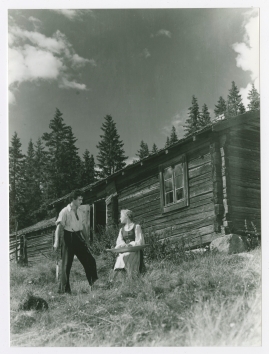 Male critics at the time were nonplussed by the film, and it was to be a further 18 years before Zetterling made another feature film in Sweden. 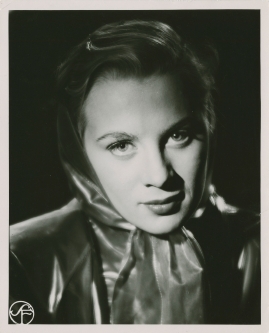 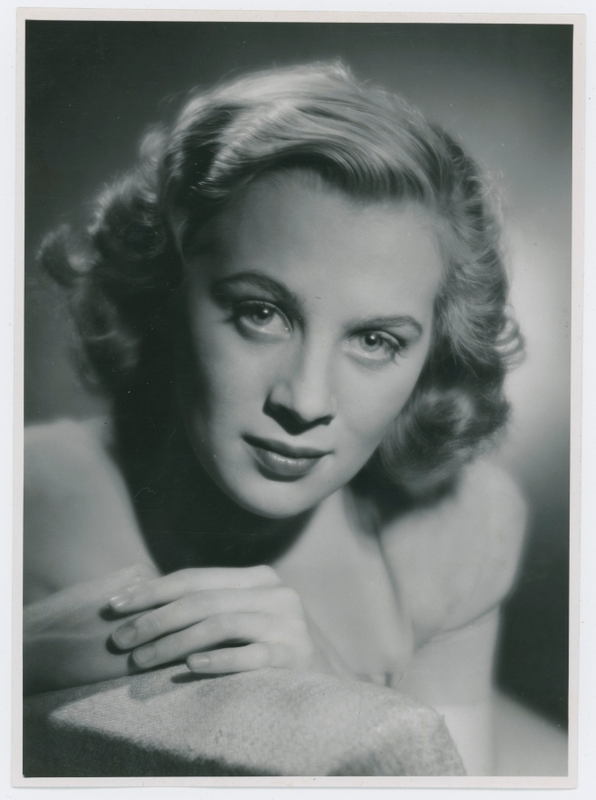 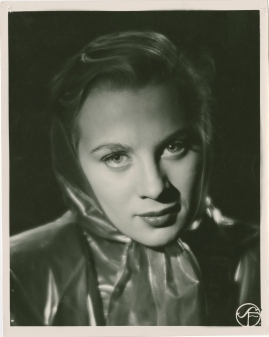 During the 1970s Zetterling went back to short films and documentaries, including a contribution to a documentary about the 1972 Munich Olympics and a film portrait of Stockholm which was entered into an international showcase of shorts. Her fifth feature Scrubbers (1982), a hard look at life in a girls' borstal in the spirit of Ken Loach, was produced in the UK. 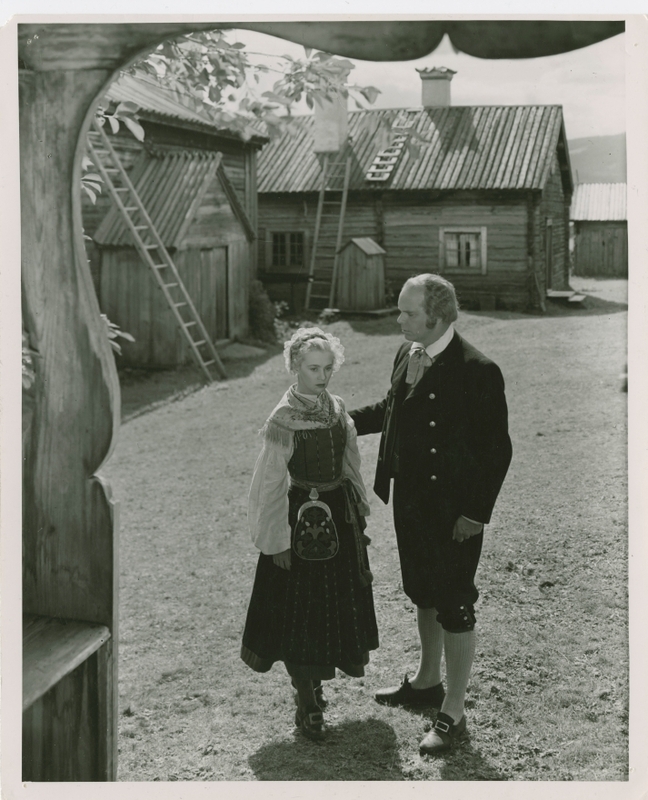 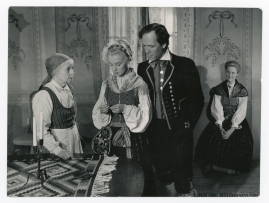 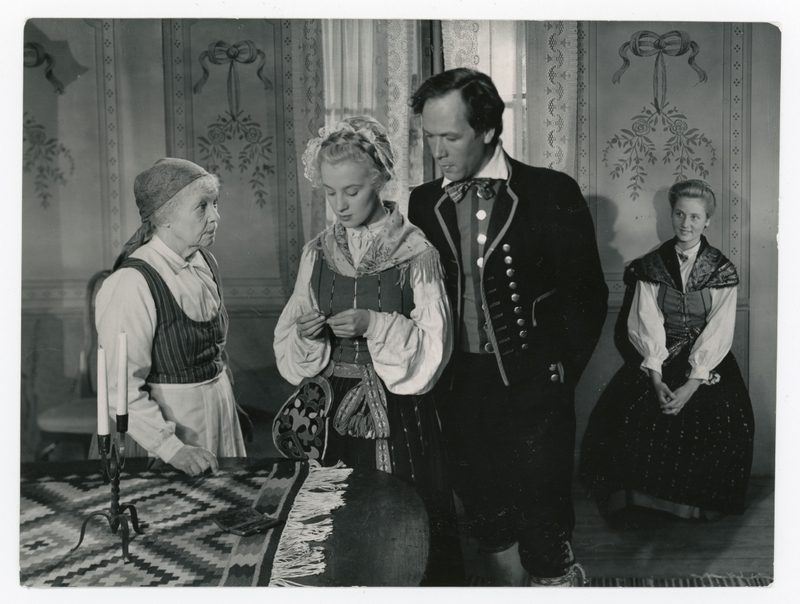 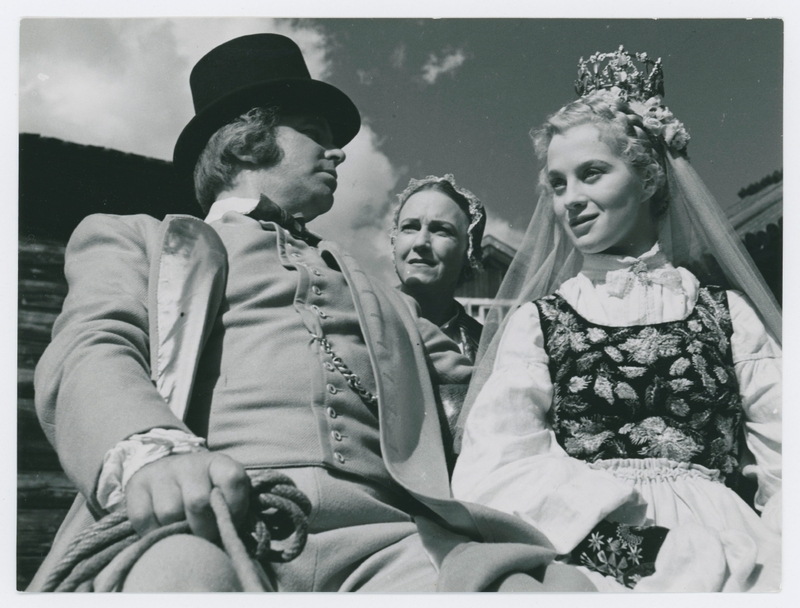 It was not until 1986 that Zetterling returned to Swedish film with the magnificent Amorosa (1986), a film about Agnes von Krusenstjerna and her unhappy marriage to David Sprengel. 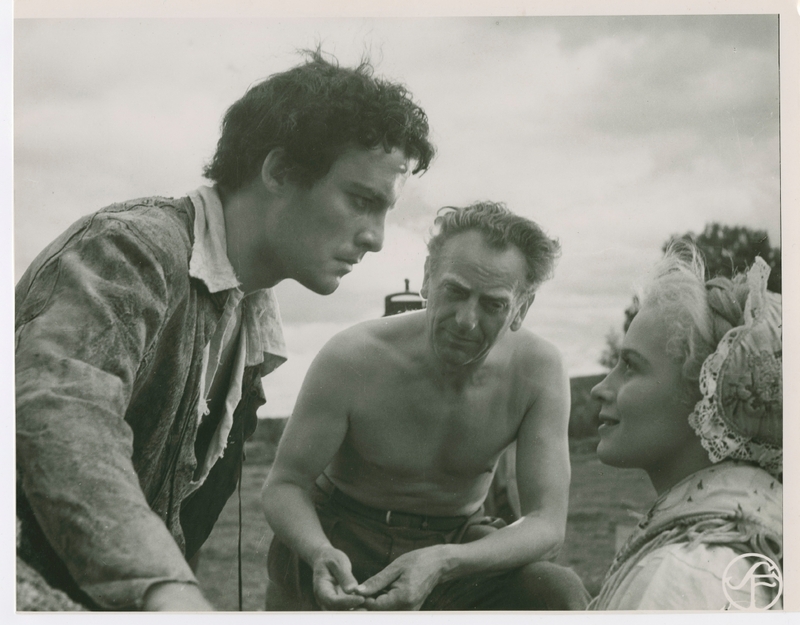 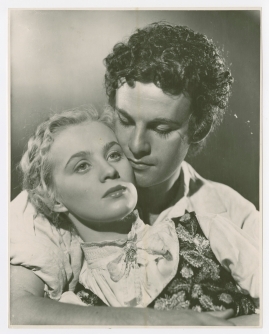 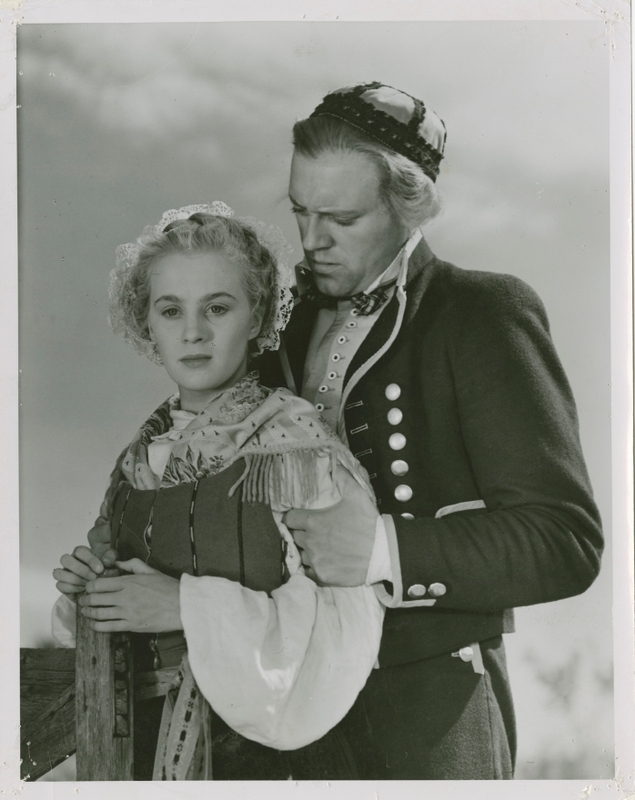 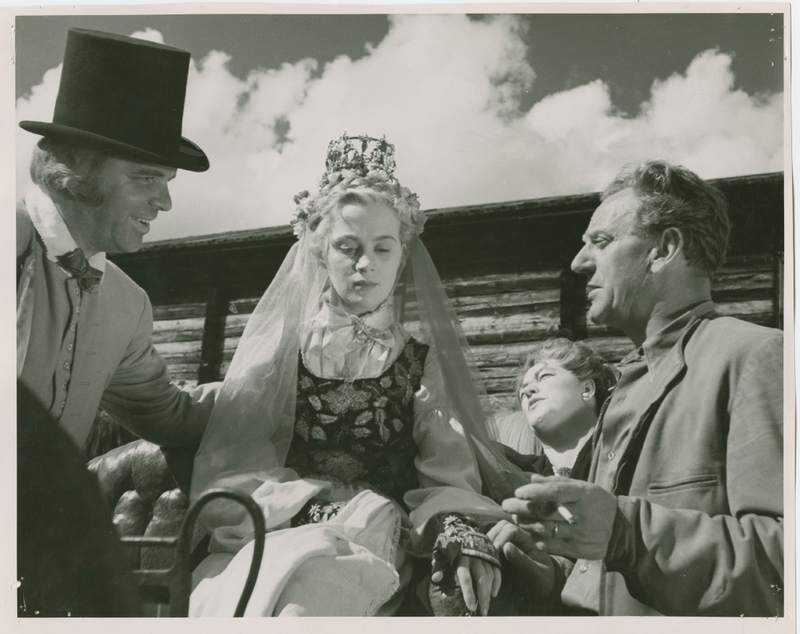 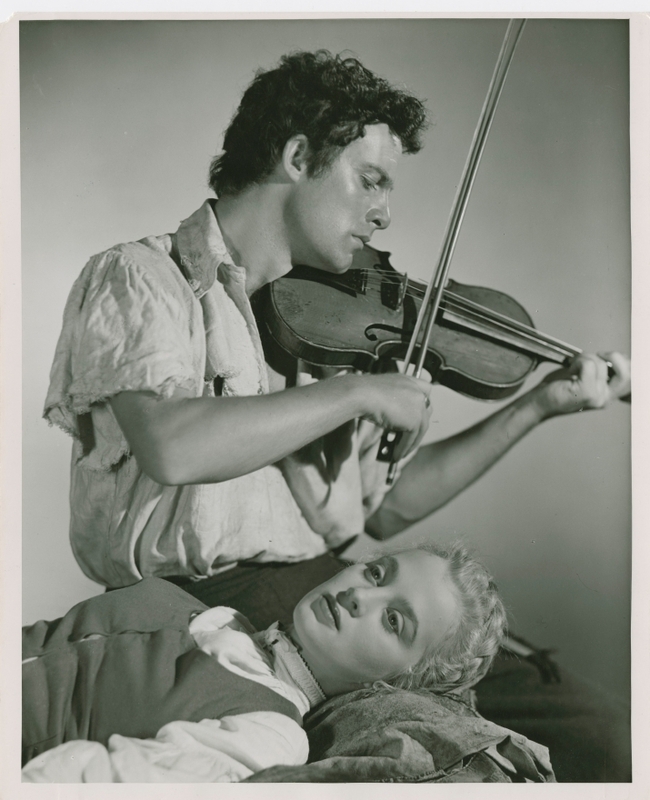 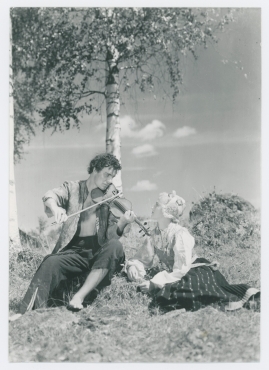 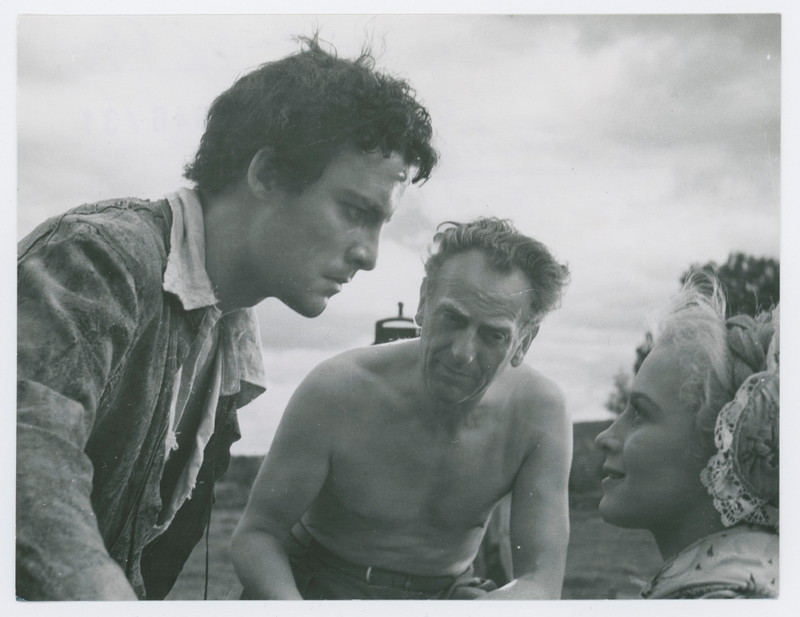 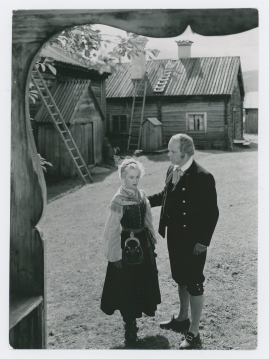 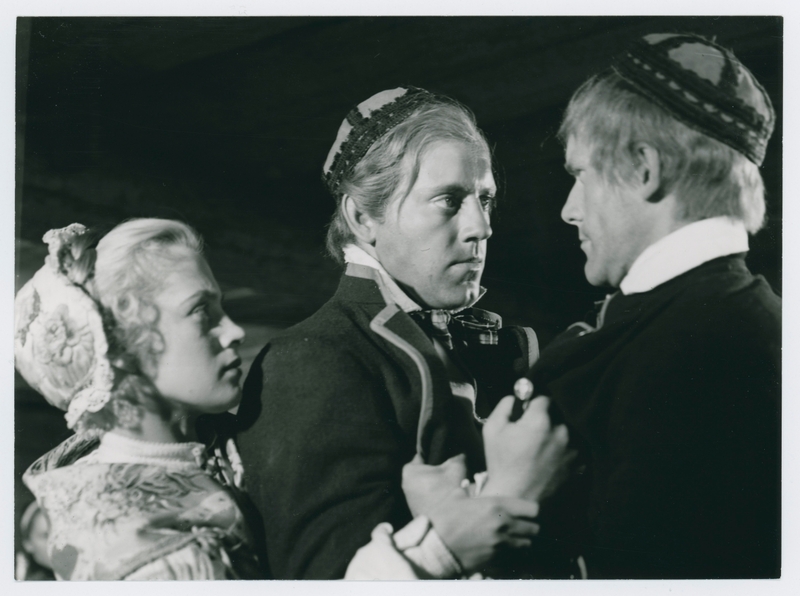 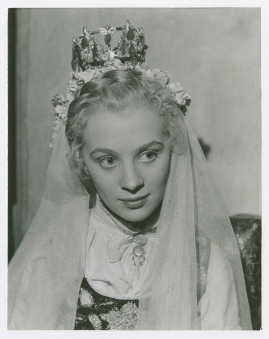 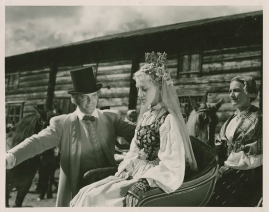 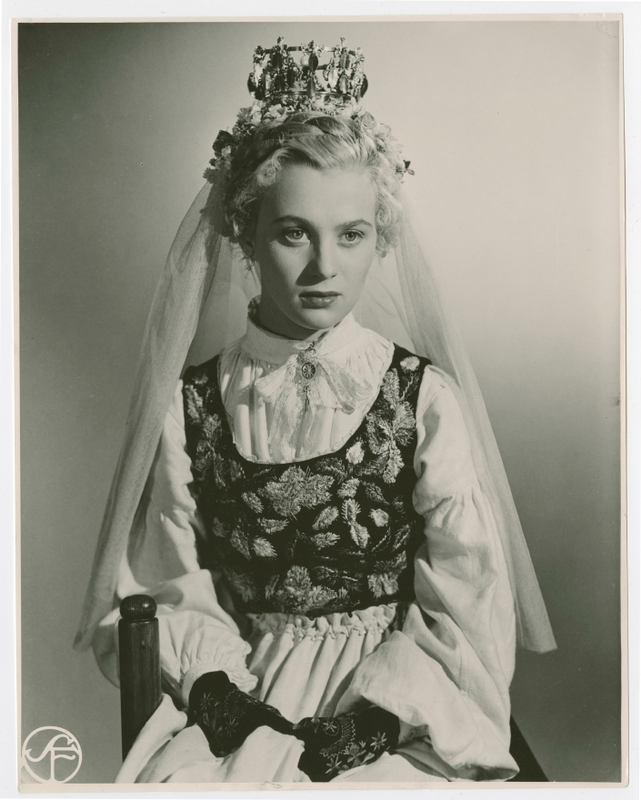 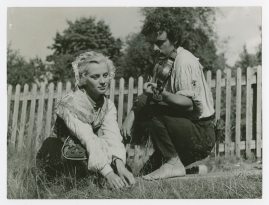 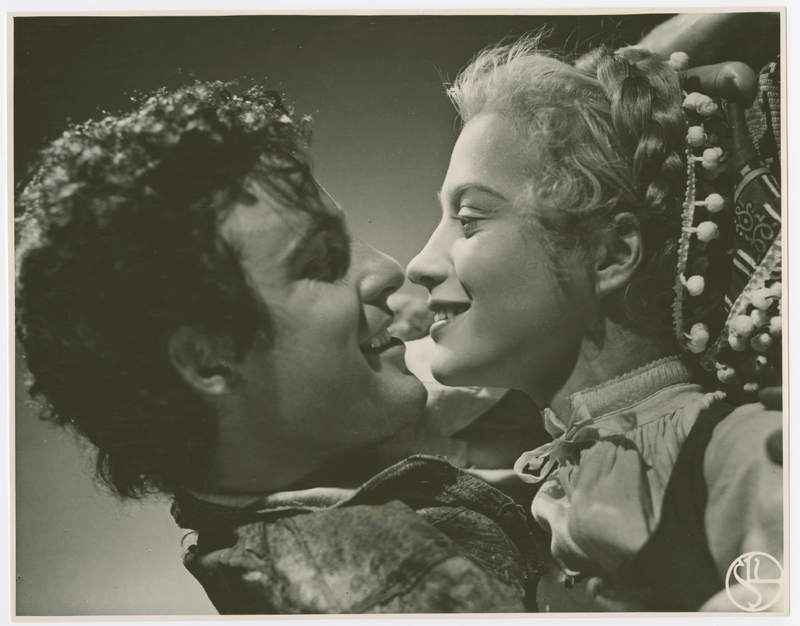 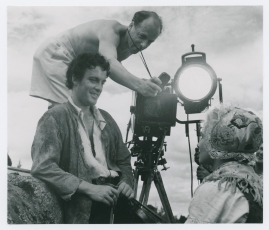 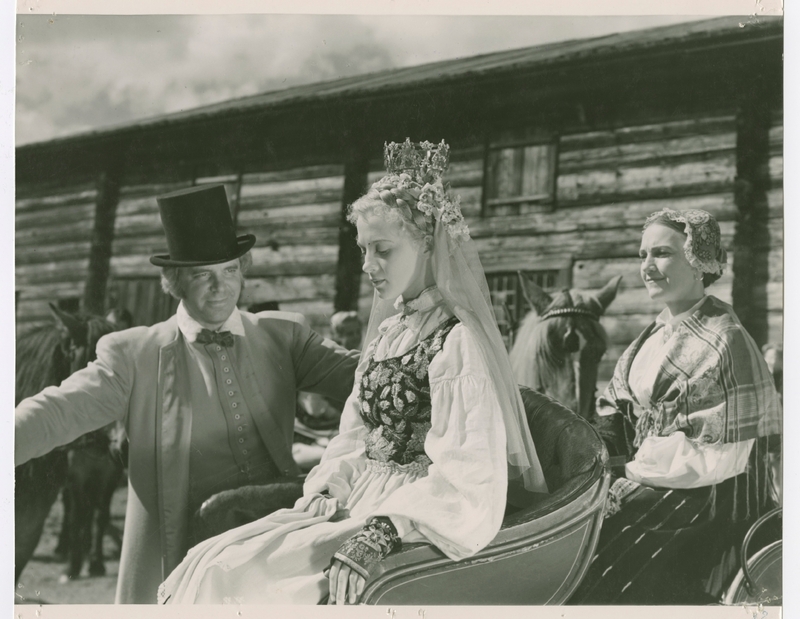 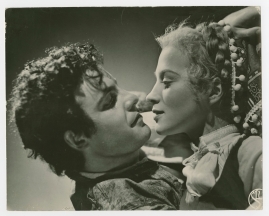 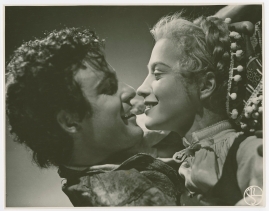 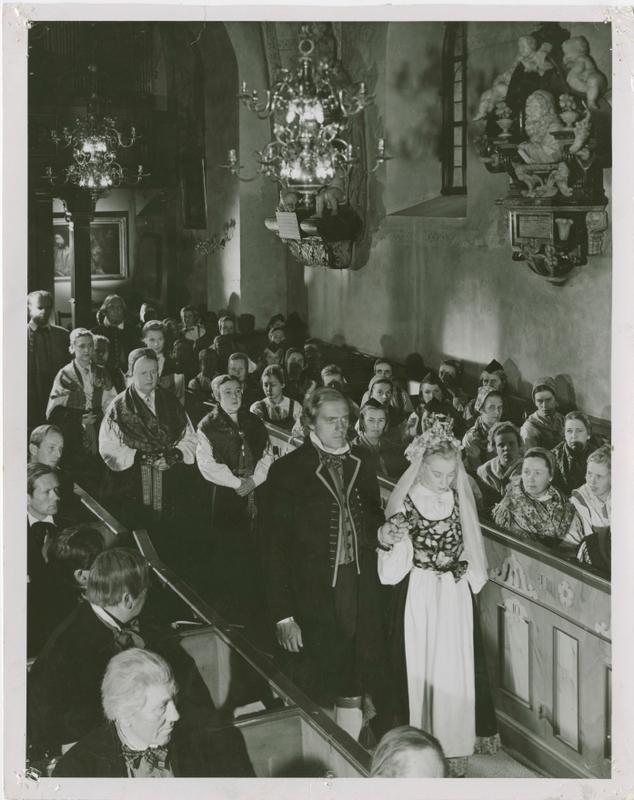 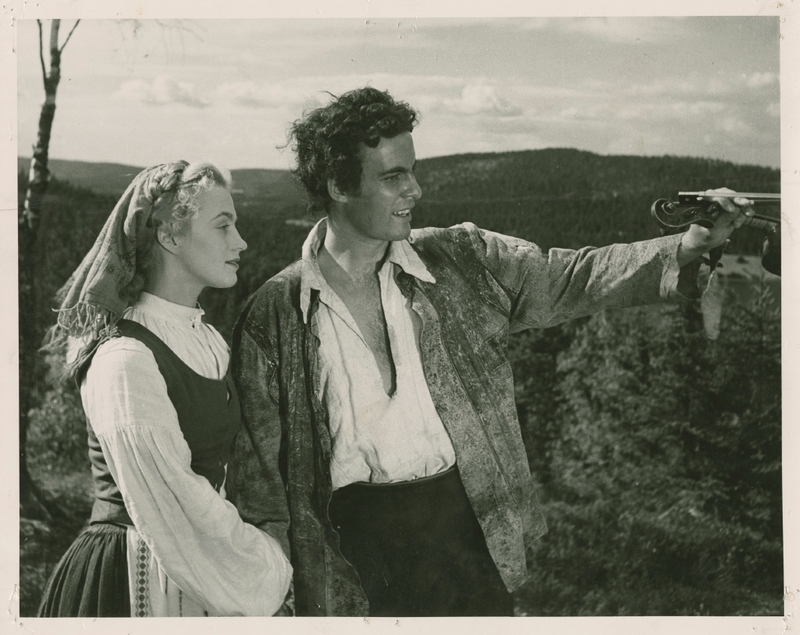 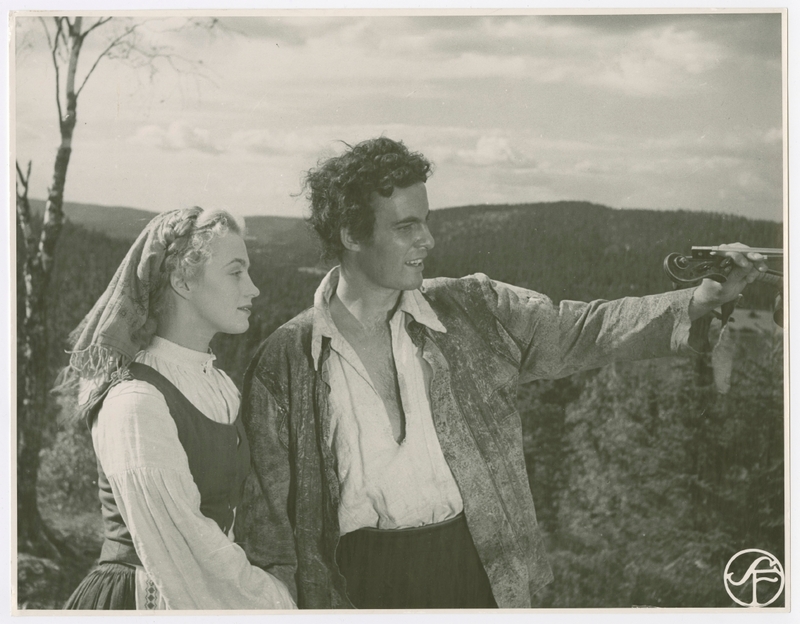 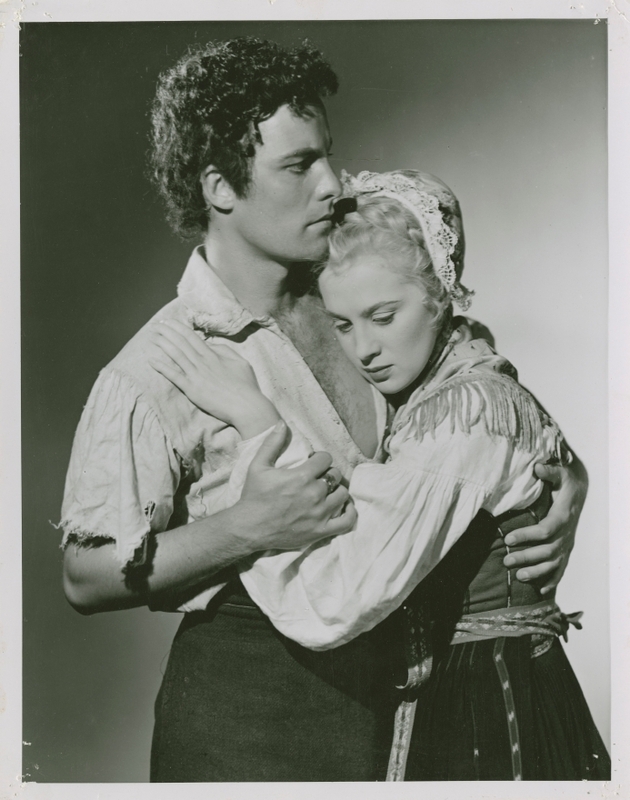 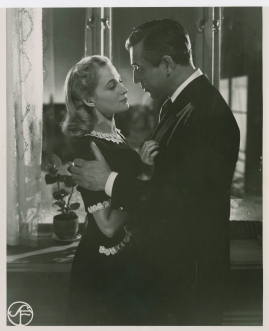 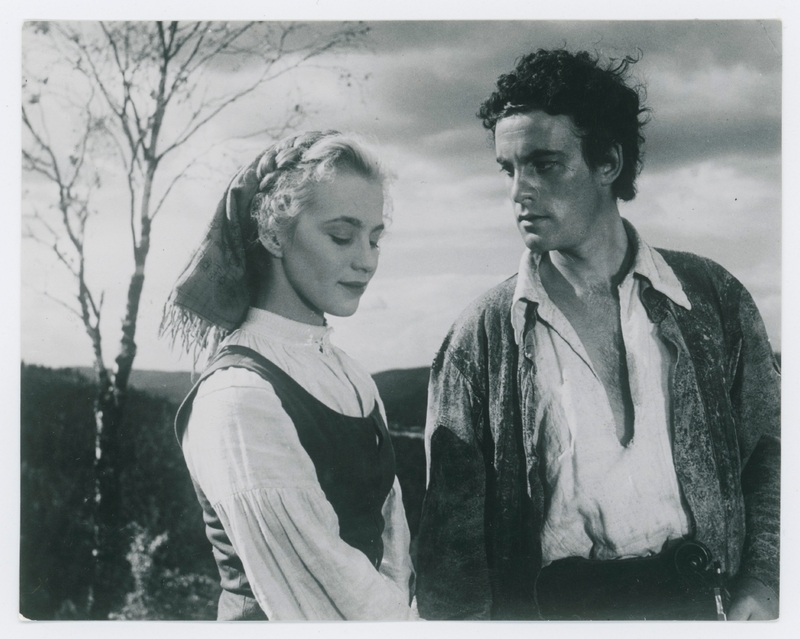 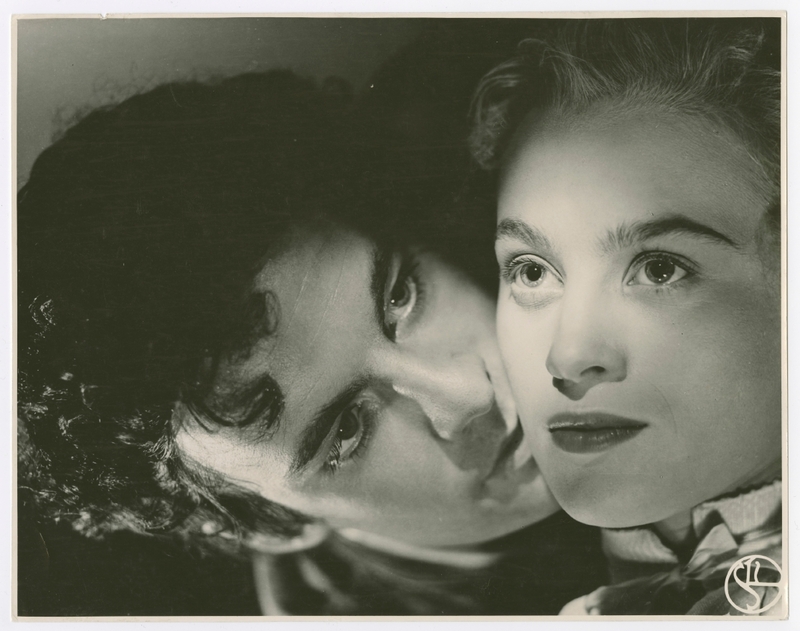 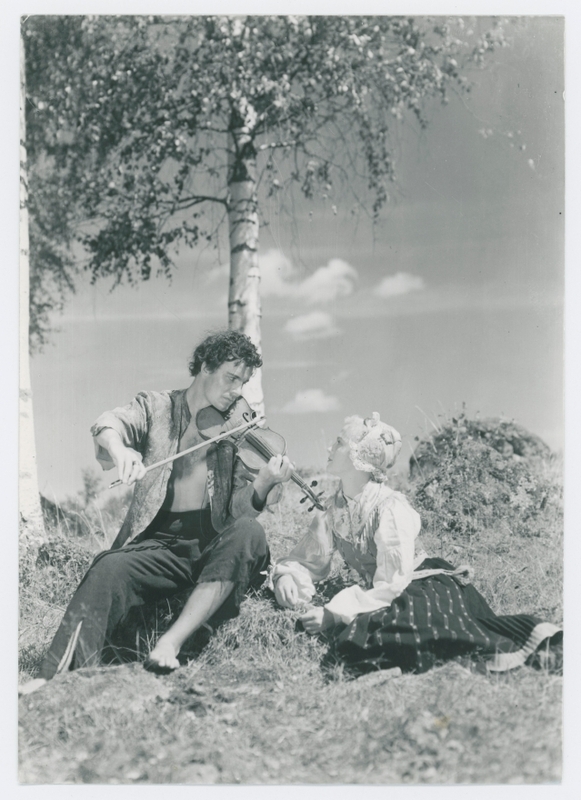 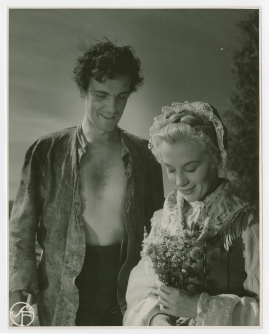 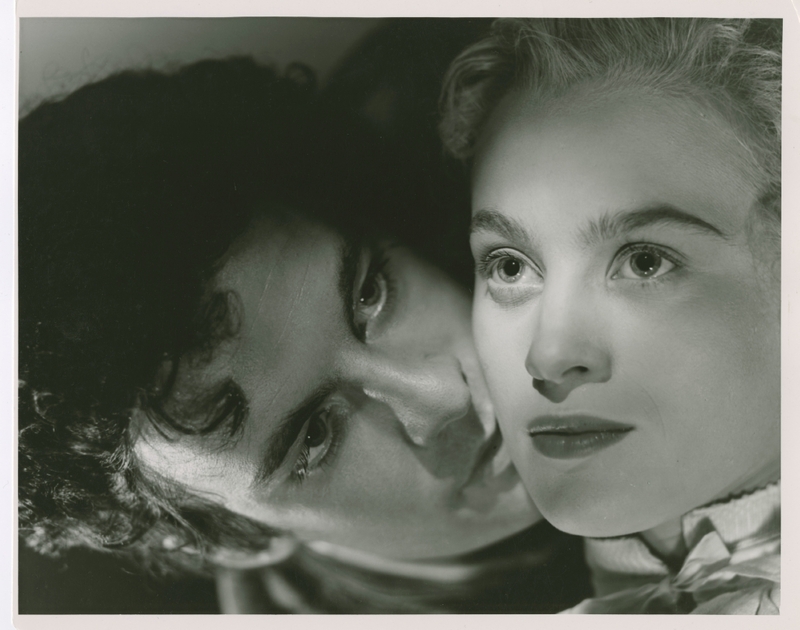 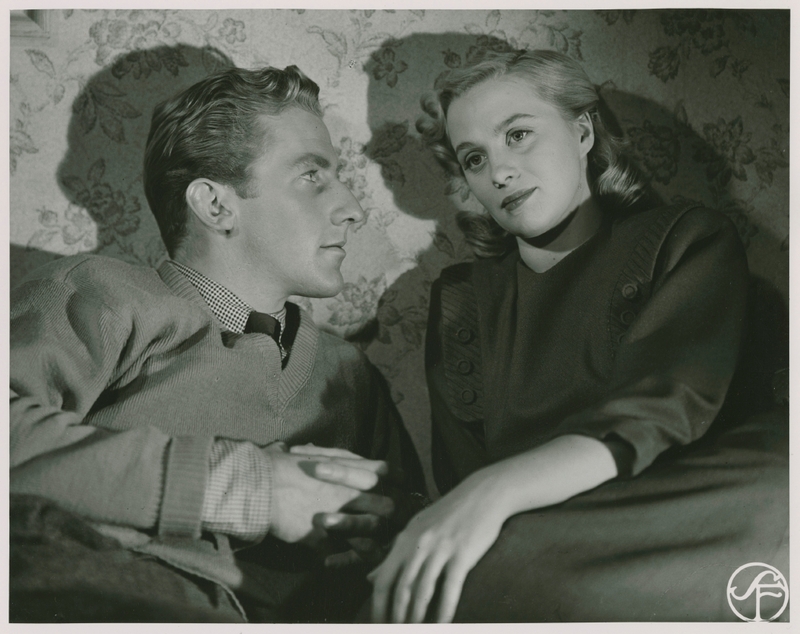 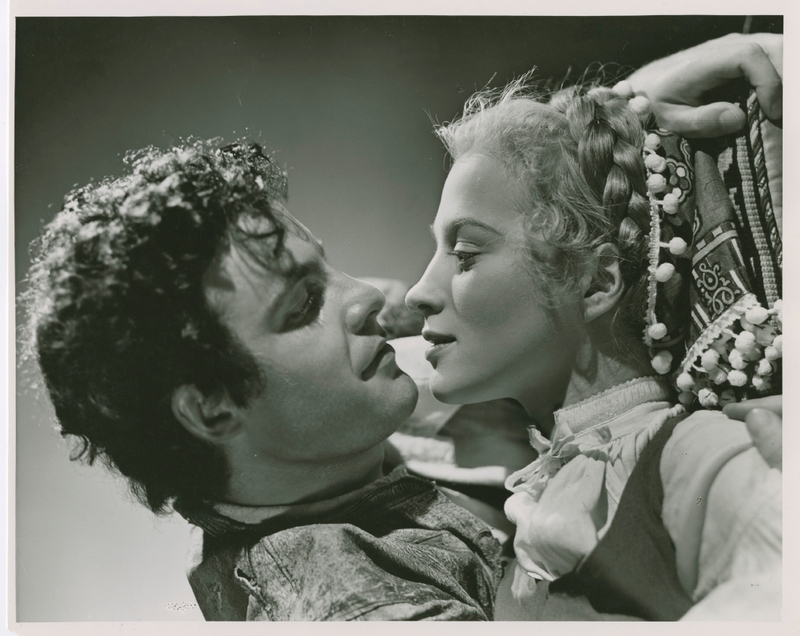 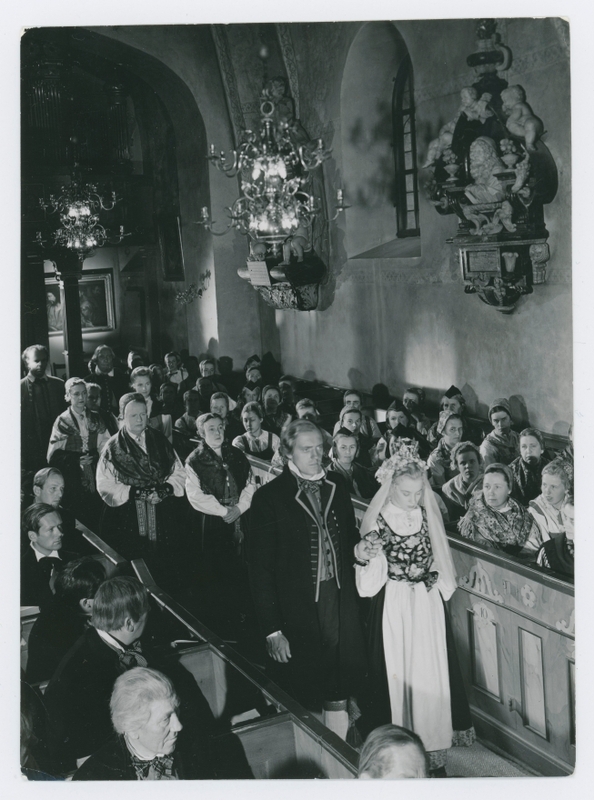 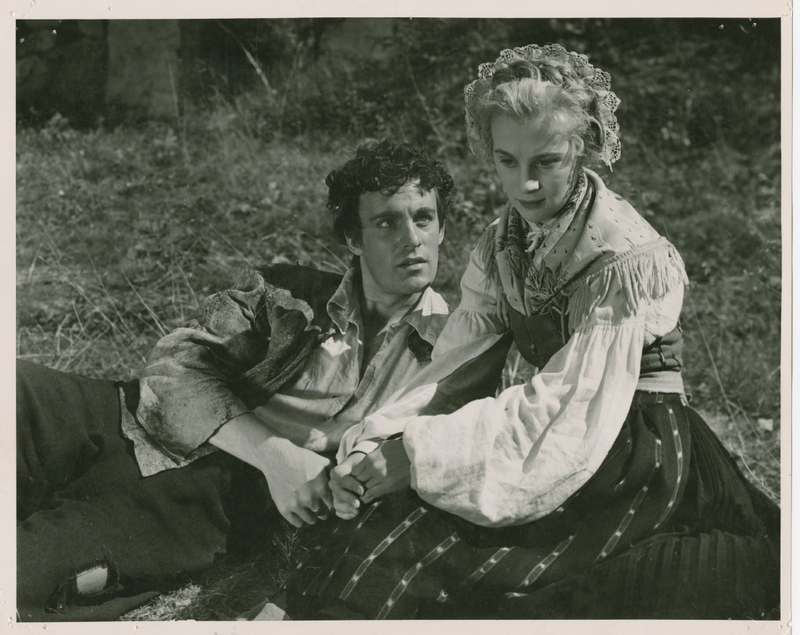 Starring Stina Ekblad and Erland Josephson, the film featured notably lavish scenes such as those of the carnival in Venice, and firmly re-established Zetterling as one of the most creative directors in Swedish cinema. 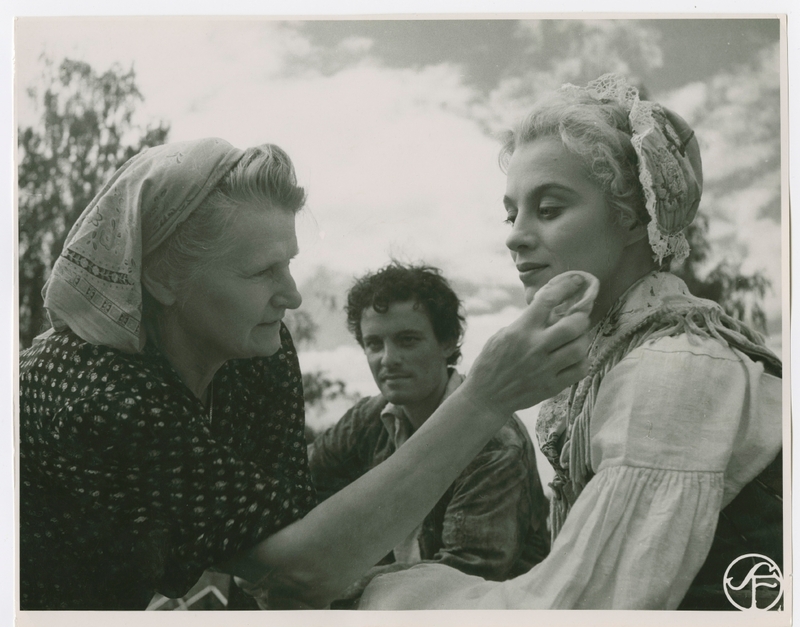 Unfortunately, this was to be her last film. 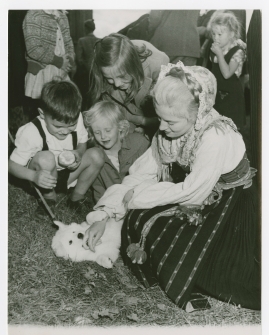 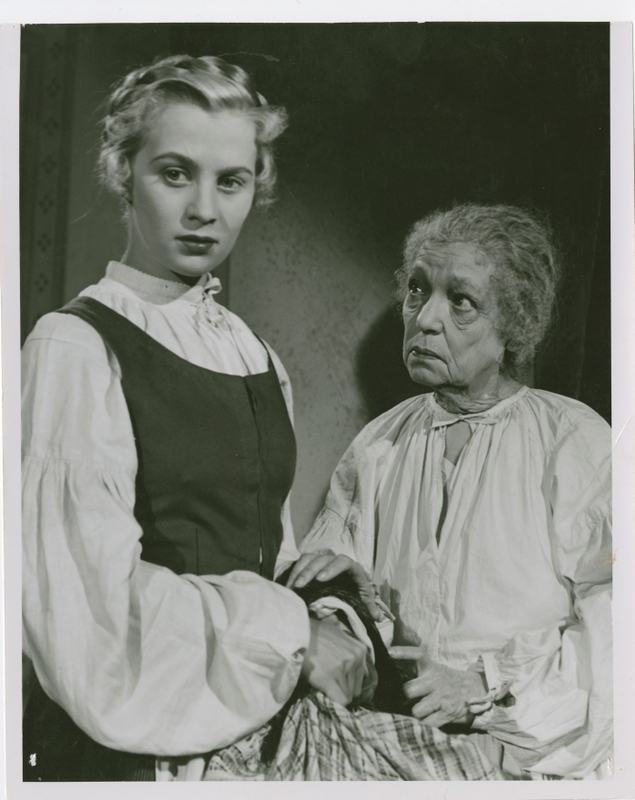 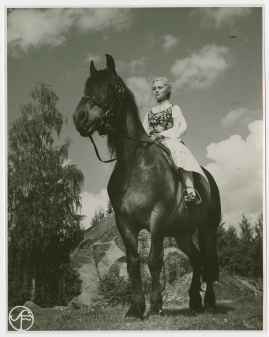 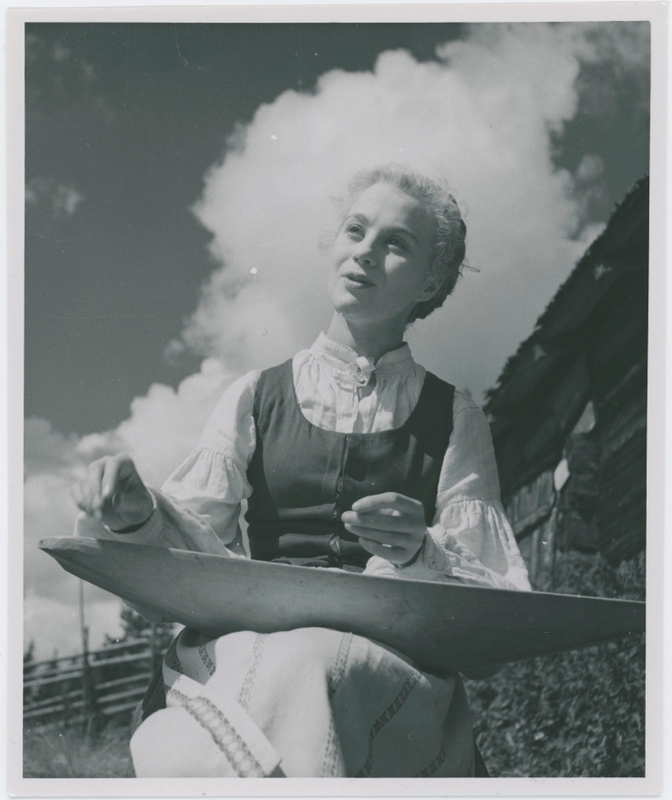 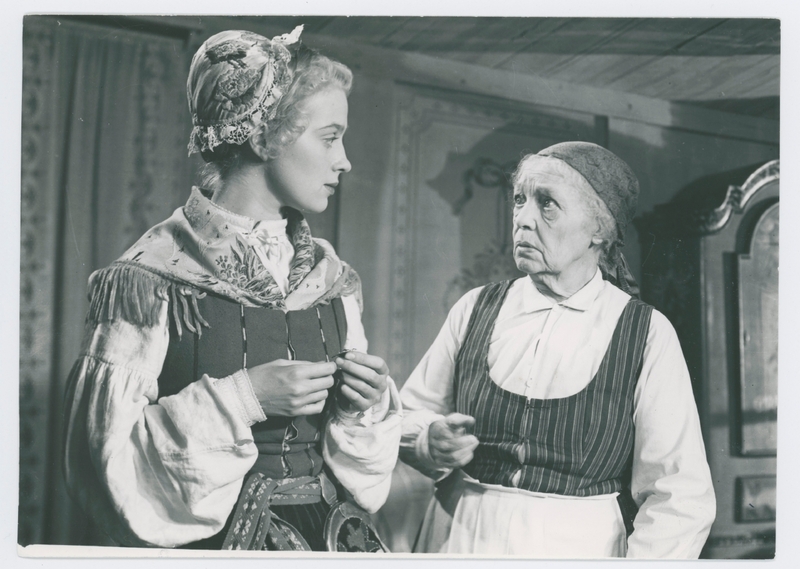 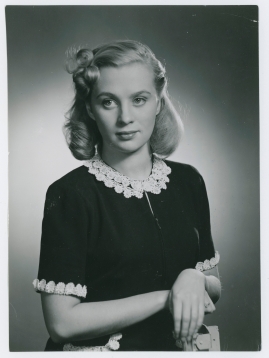 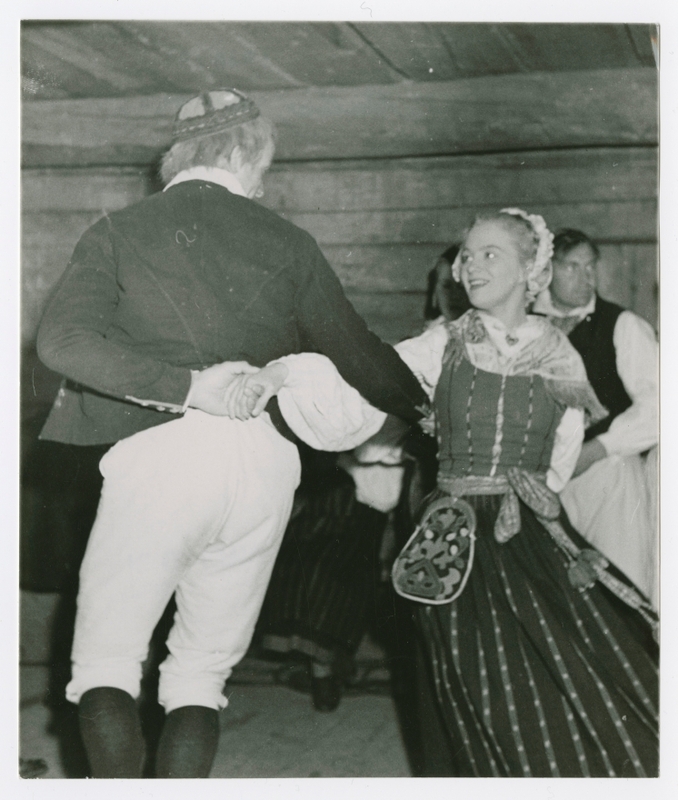 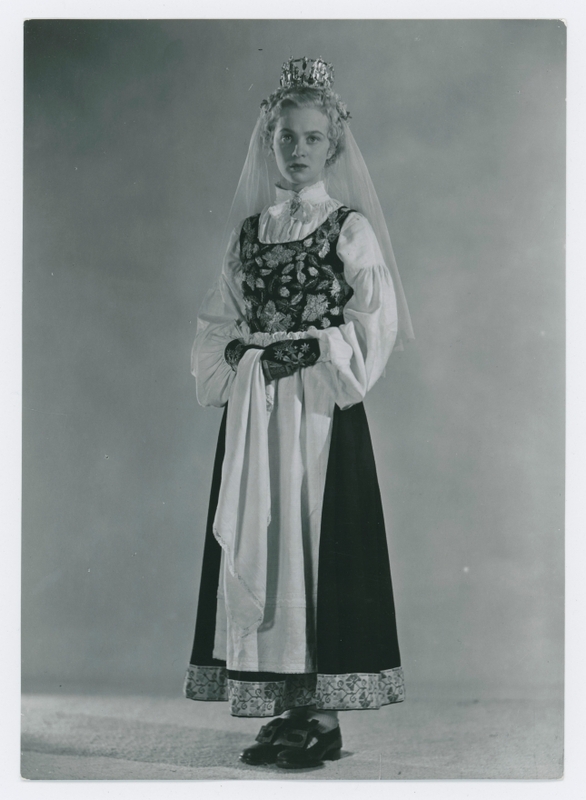 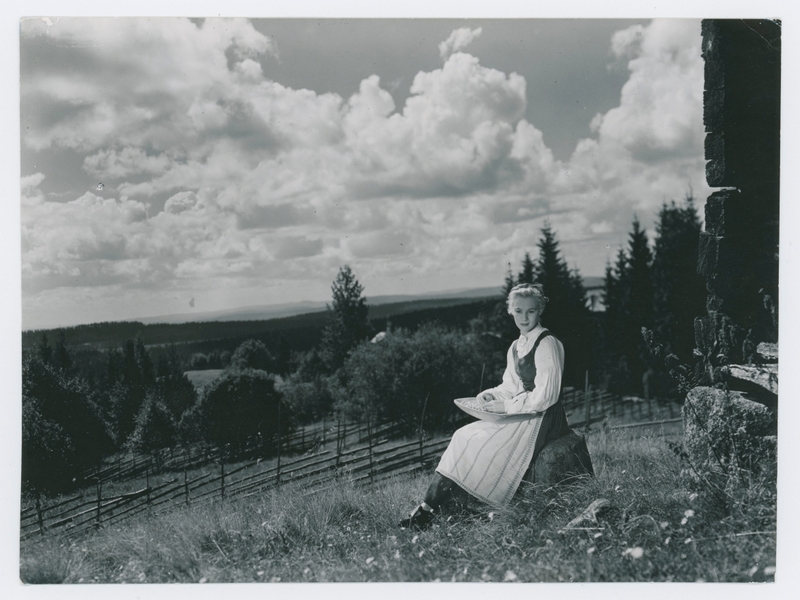 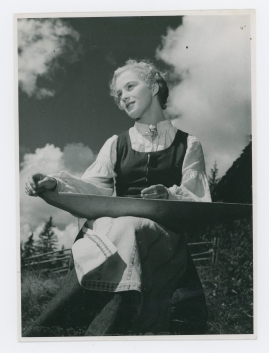 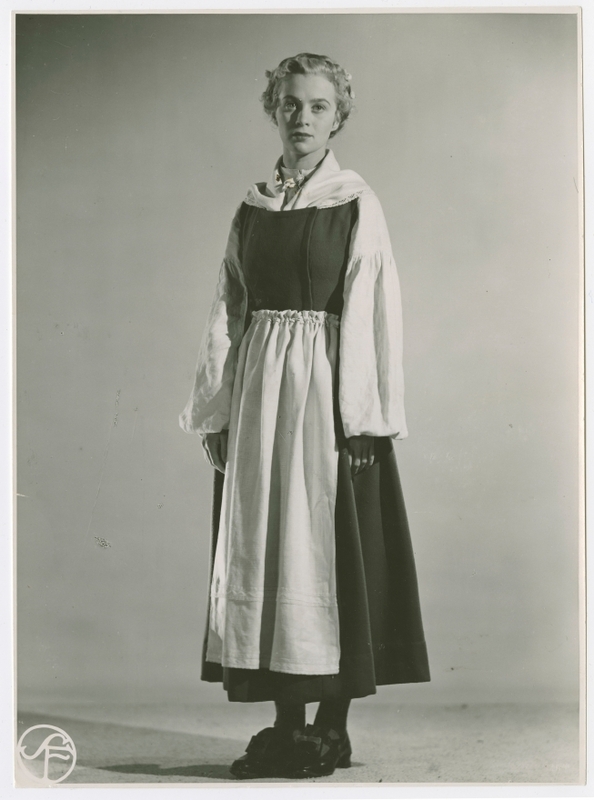 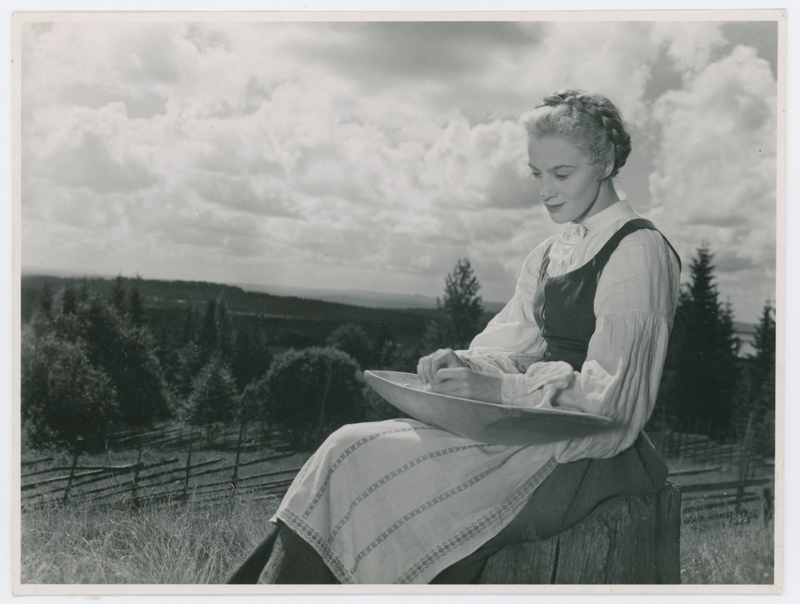 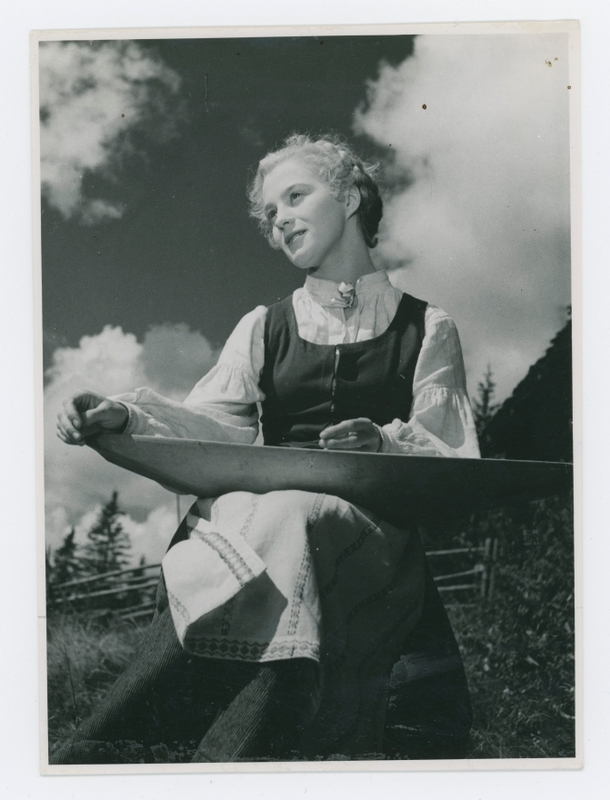 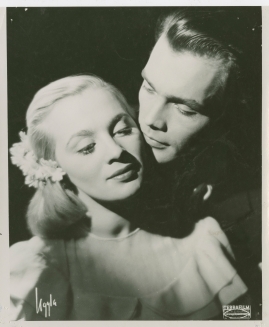 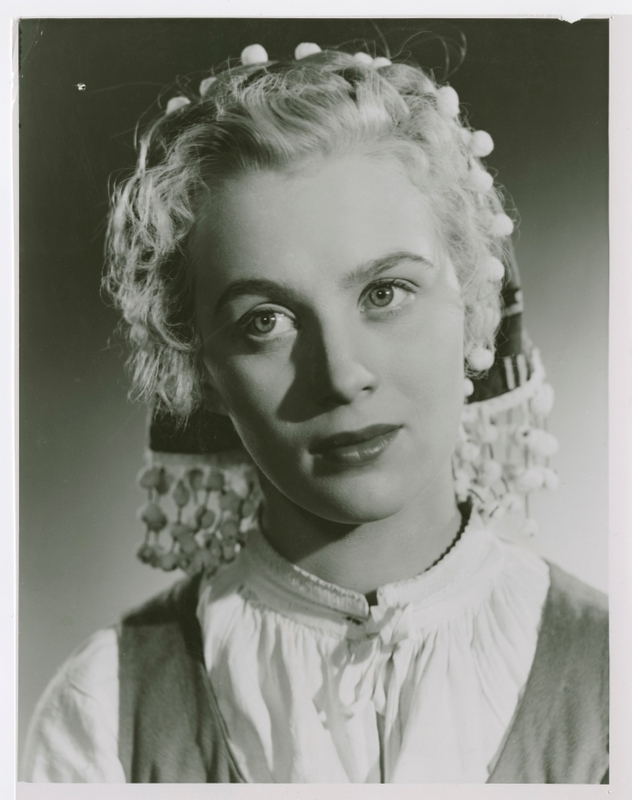 When Mai Zetterling died in 1994 she had been working for some times on a number of projects which had foundered for various reasons, including an adaptation of "Rapport från en skurhink" ('Report from a Scrub Pail'), a novel by Maja Ekelöf. 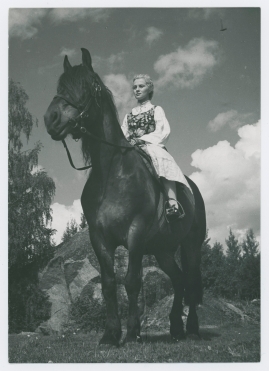 She published a book of memoirs entitled "All Those Tomorrows" ("Osminkat") in 1984. 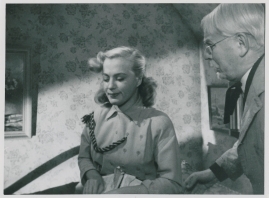 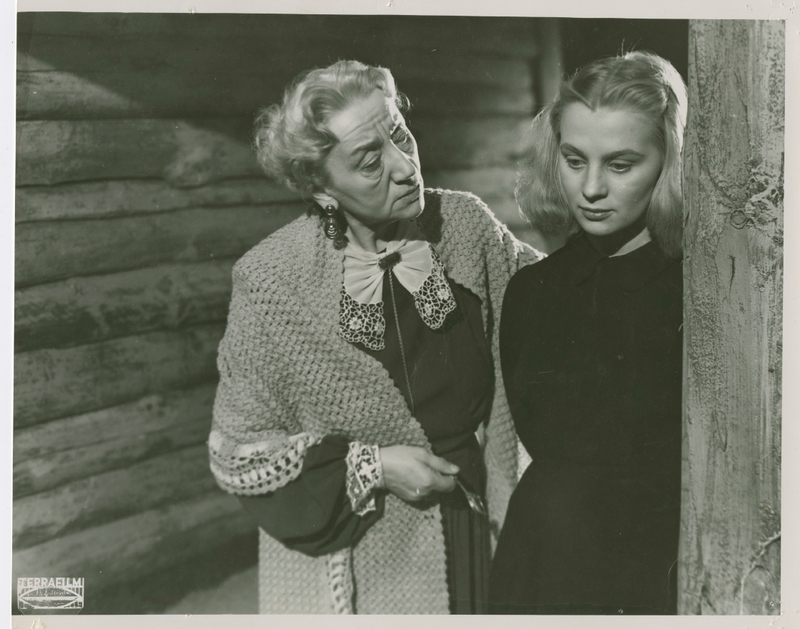 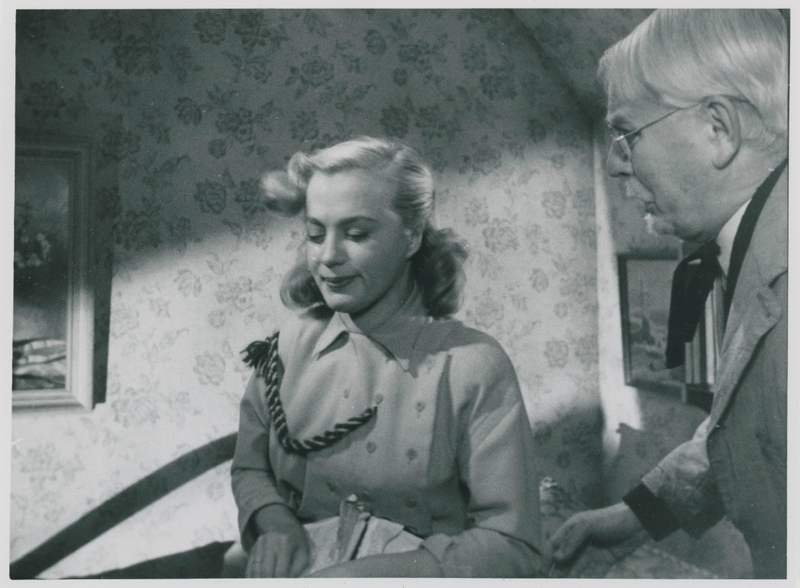 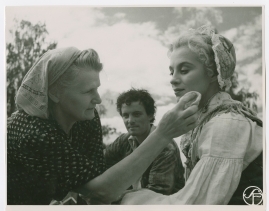 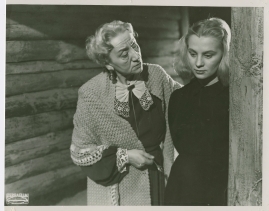 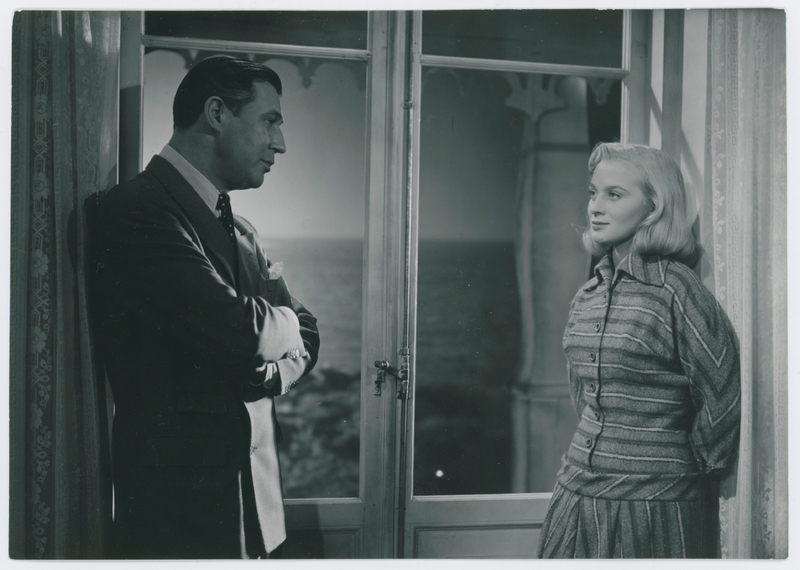 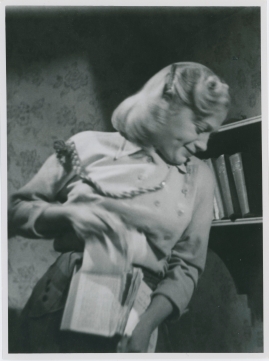 In her 1996 film Lines from the Heart (I rollerna tre), director Christina Olofson feted Zetterling as a pioneer and role model. 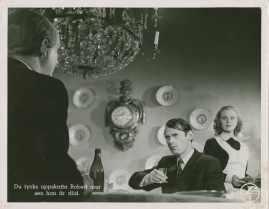 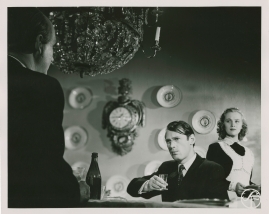 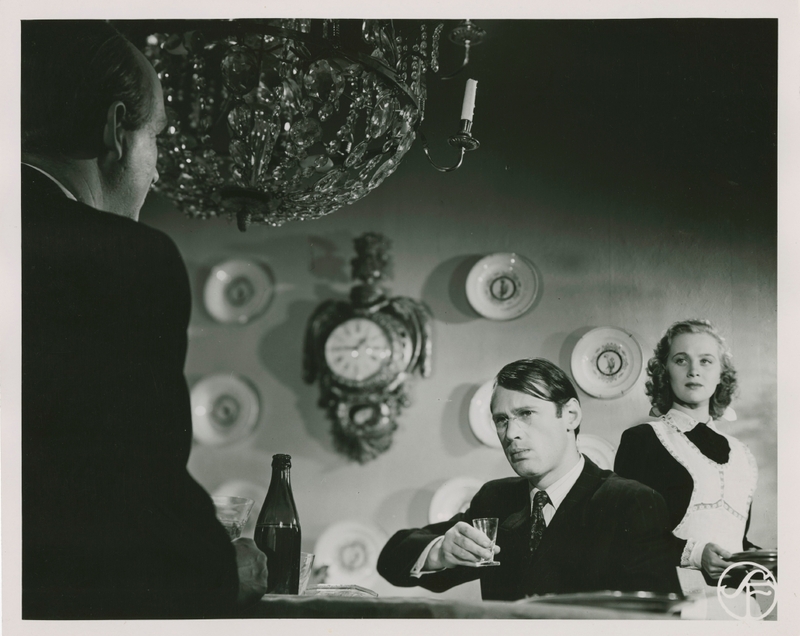 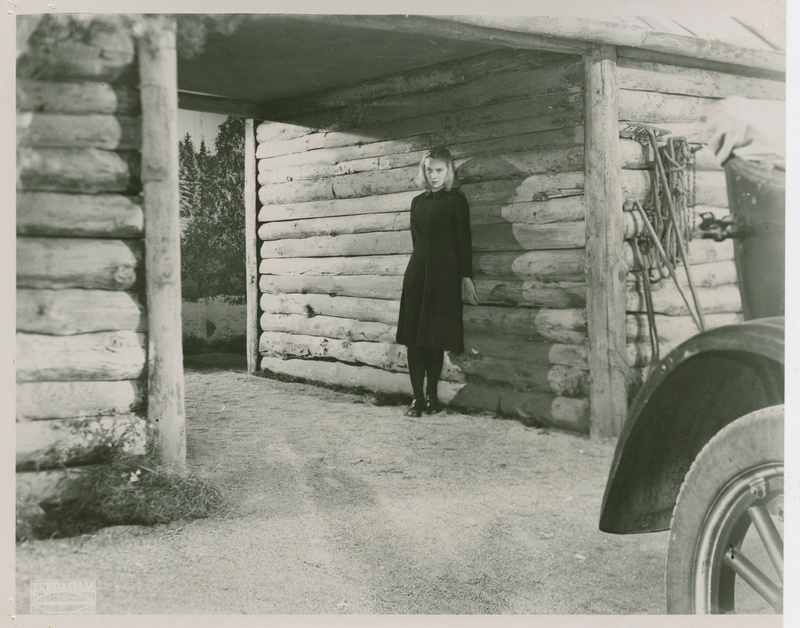 Shot in Zetterling's house in the south of France, the film was made in close collaboration with the three actresses from The Girls: Bibi Andersson, Harriet Andersson and Gunnel Lindblom. 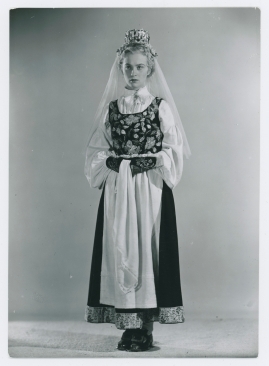 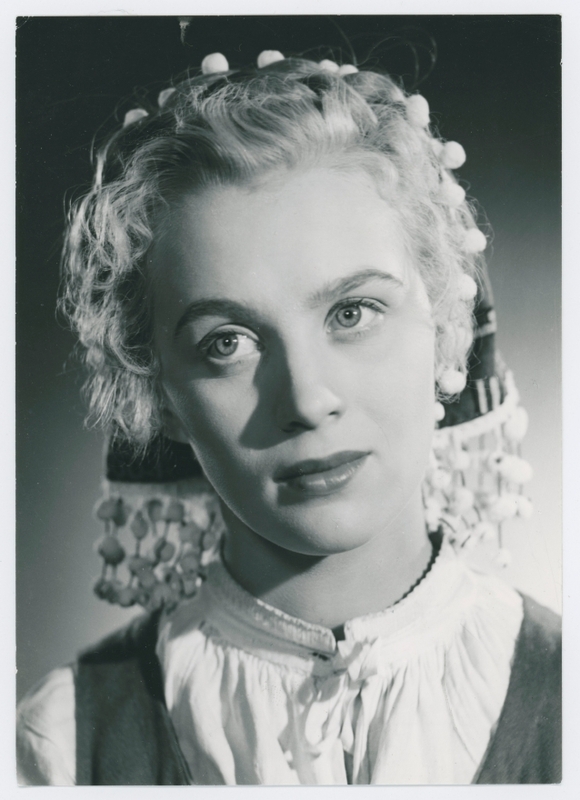 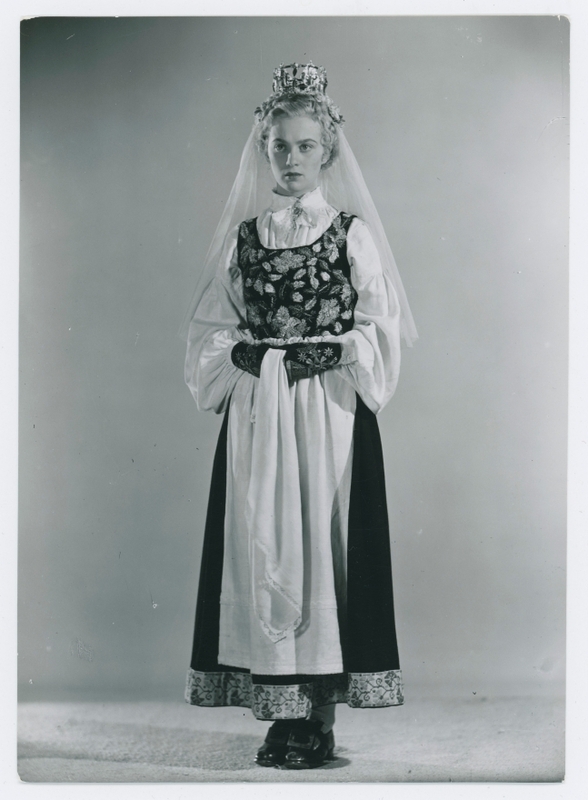 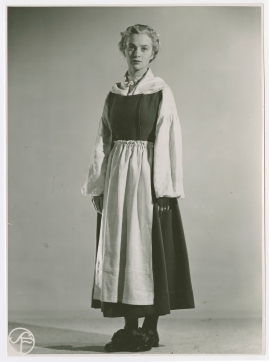 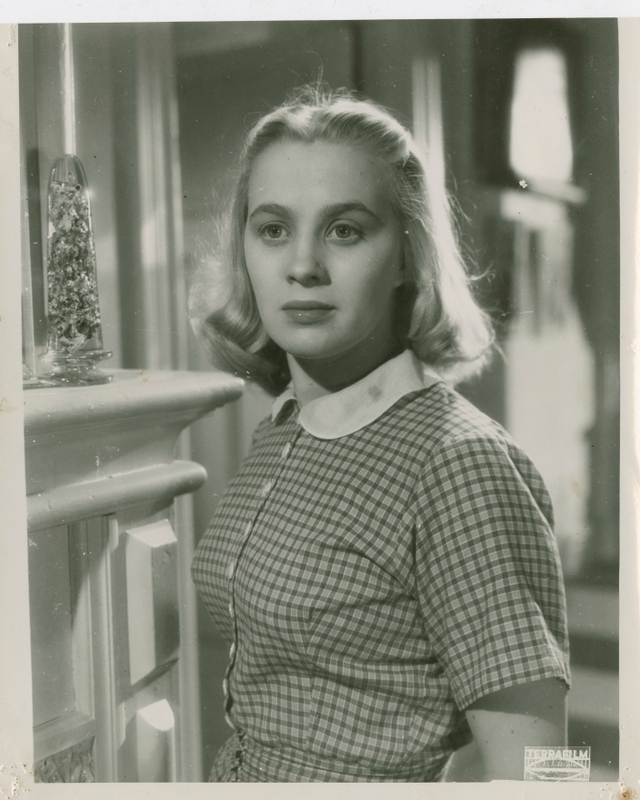 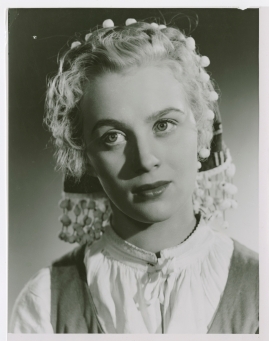 Mai Zetterling's films from the 1960s have also been the subject of a doctoral thesis (Mariah Larsson, "Skenet som bedrog - Mai Zetterling och det svenska sextiotalet", Sekel Förlag, Lund 2006). The Swedish Arts Grants Committee's Mai Zetterling Award is presented annually to a film director of the highest artistic quality who extends the boundaries for short or documentary films.